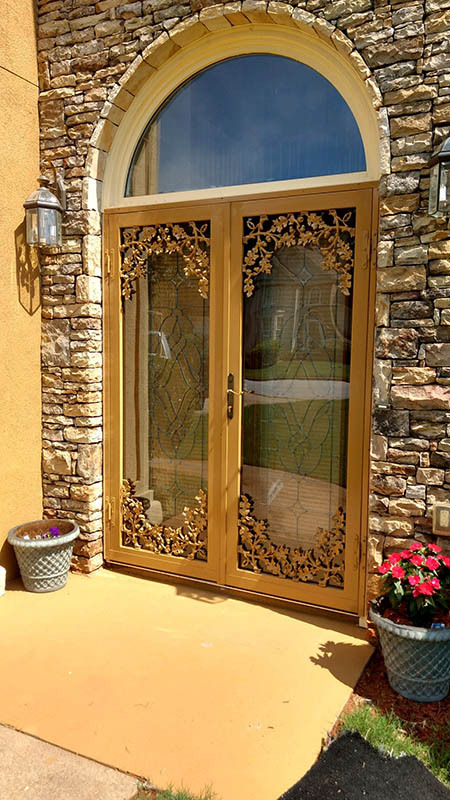 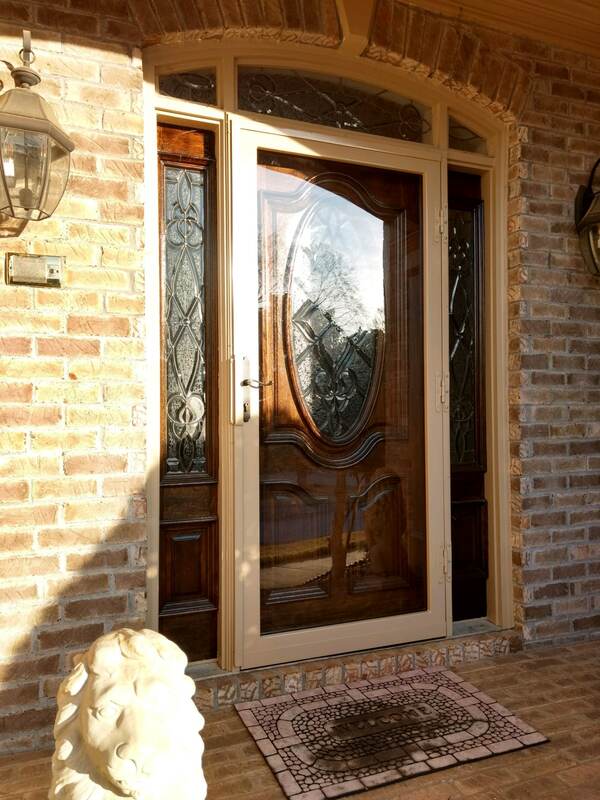 Your doors are an integral part of your property that should be beautiful and welcoming as well as secure and sturdy. 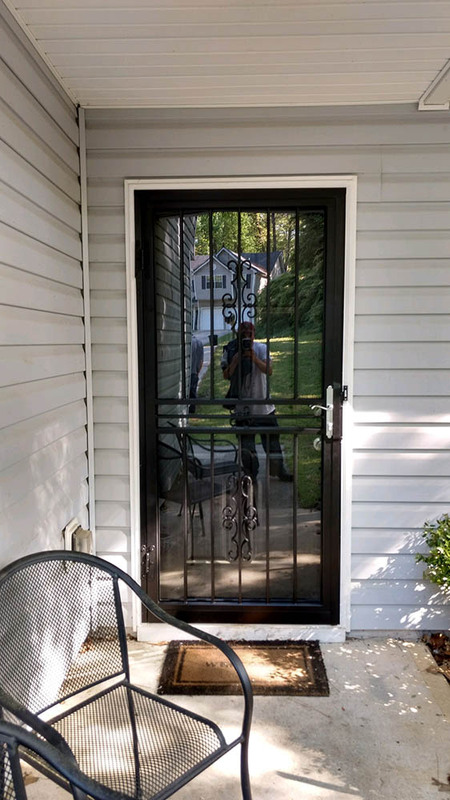 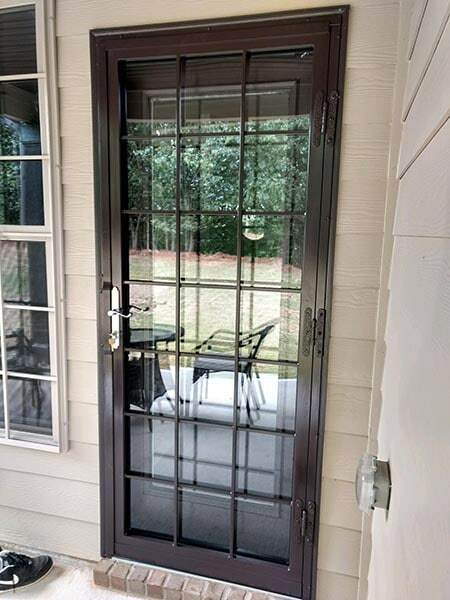 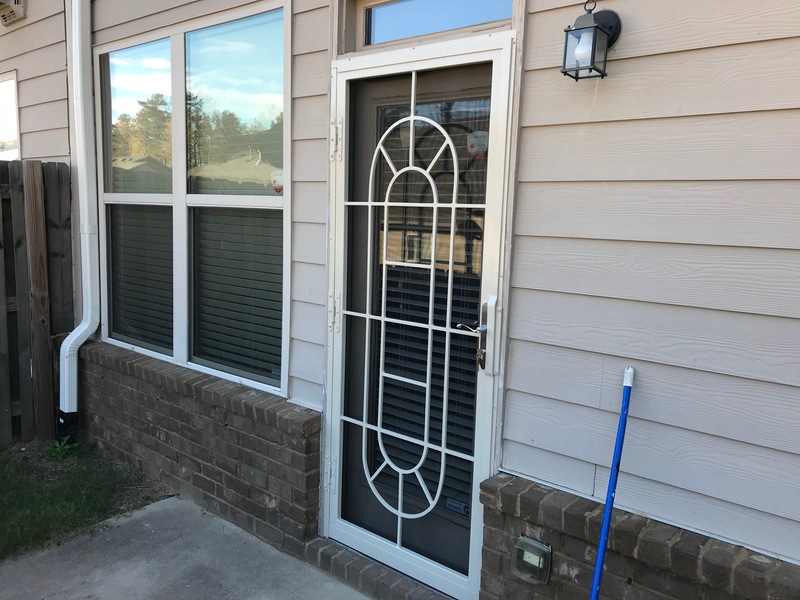 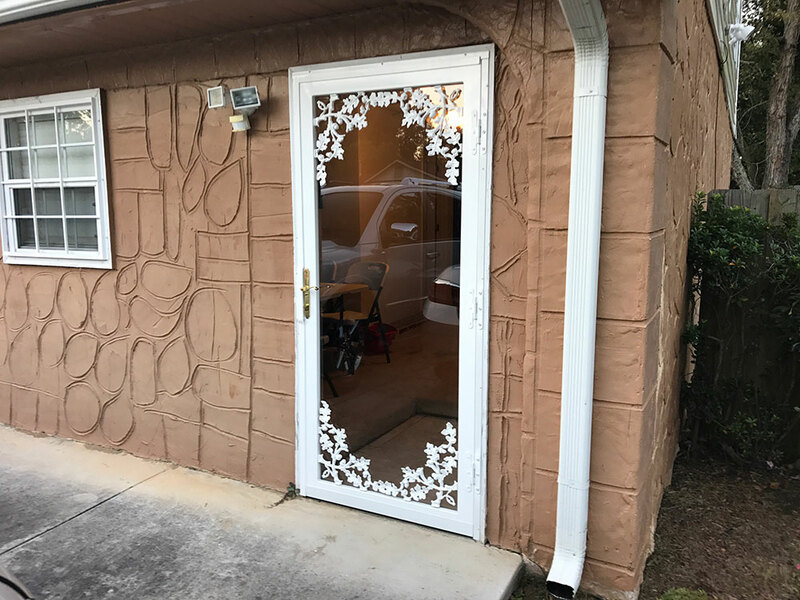 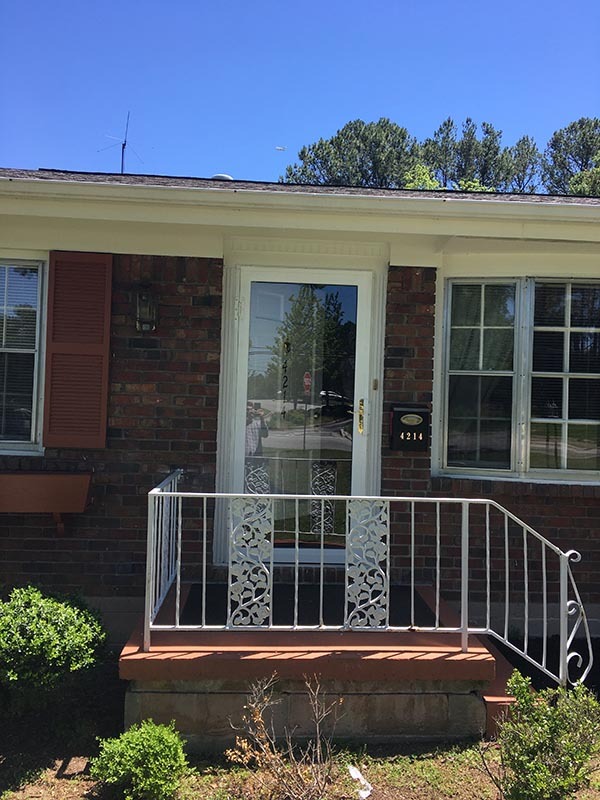 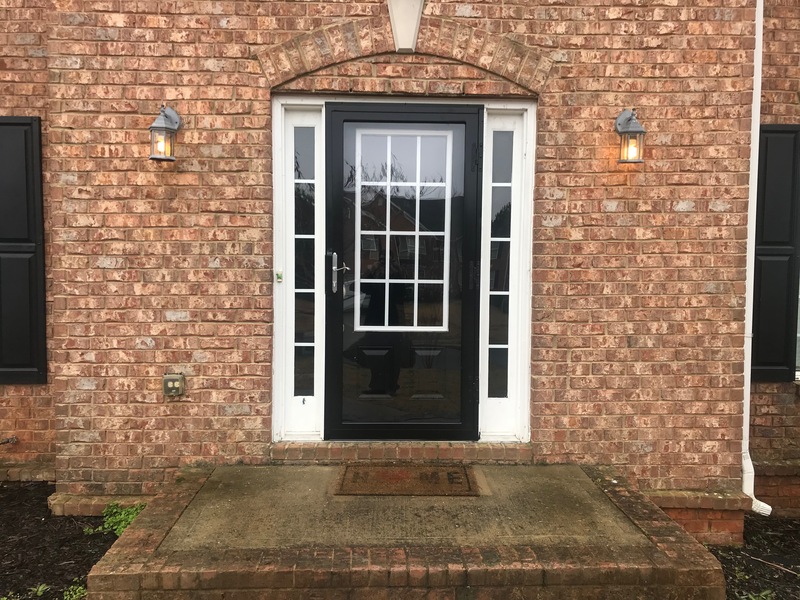 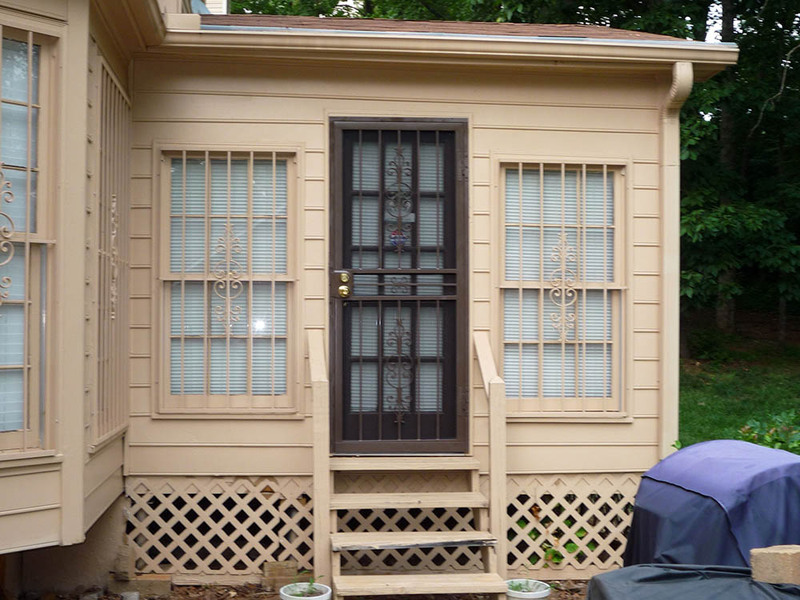 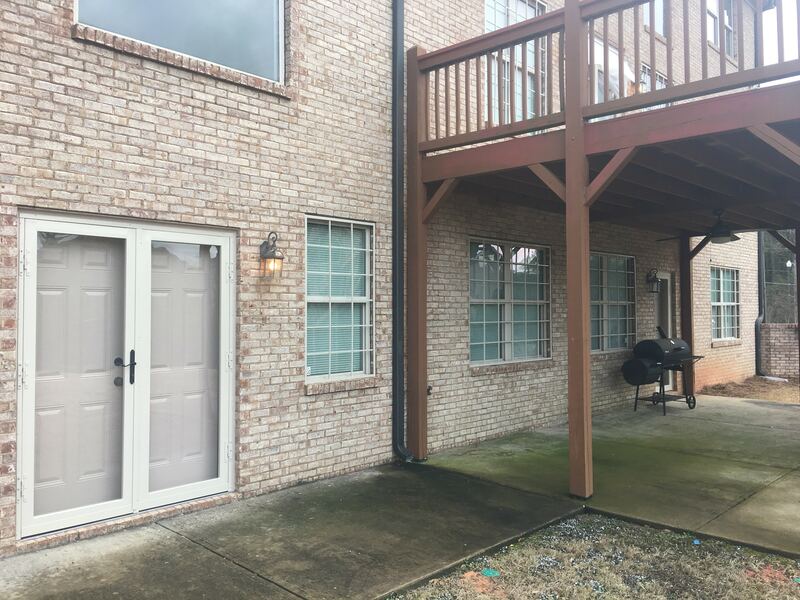 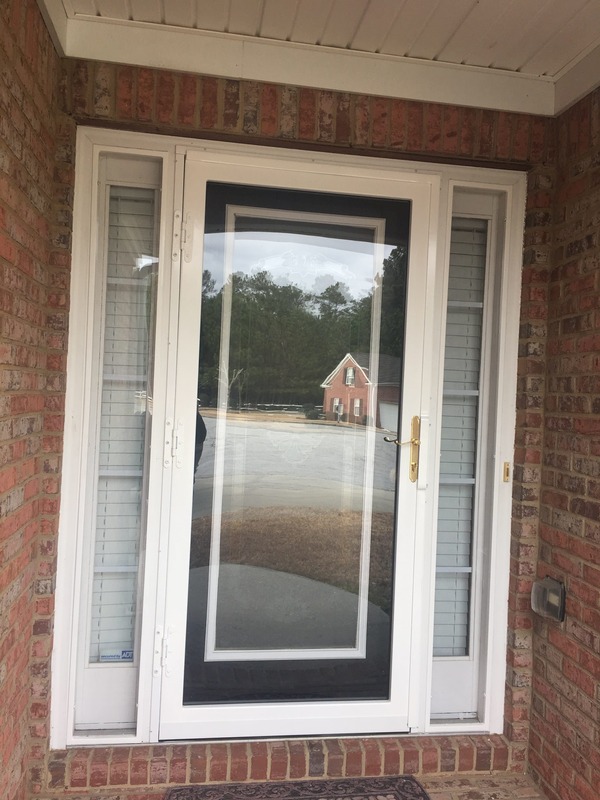 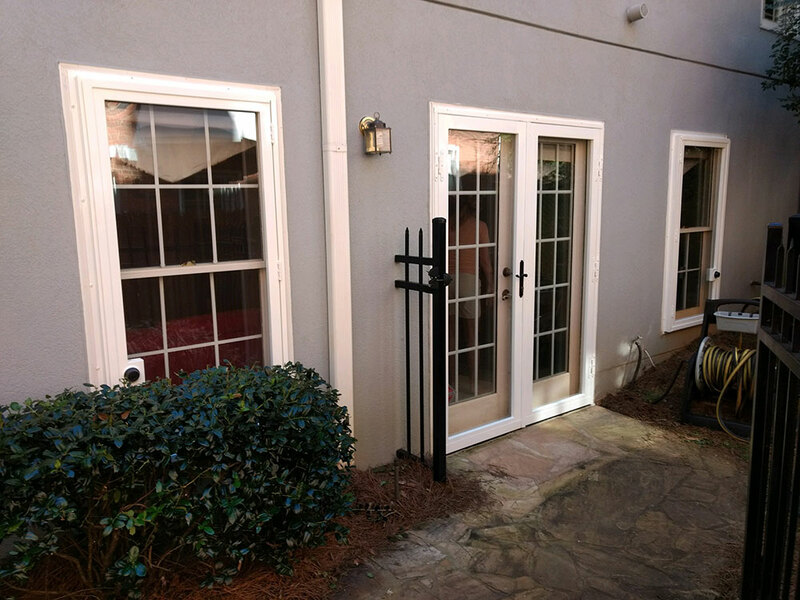 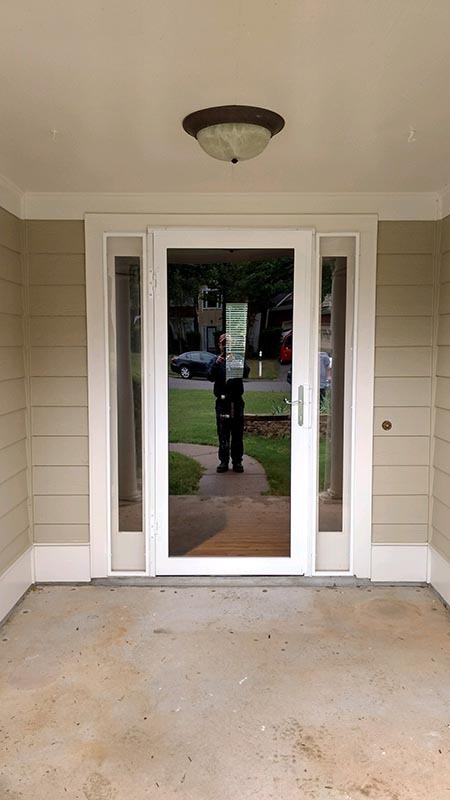 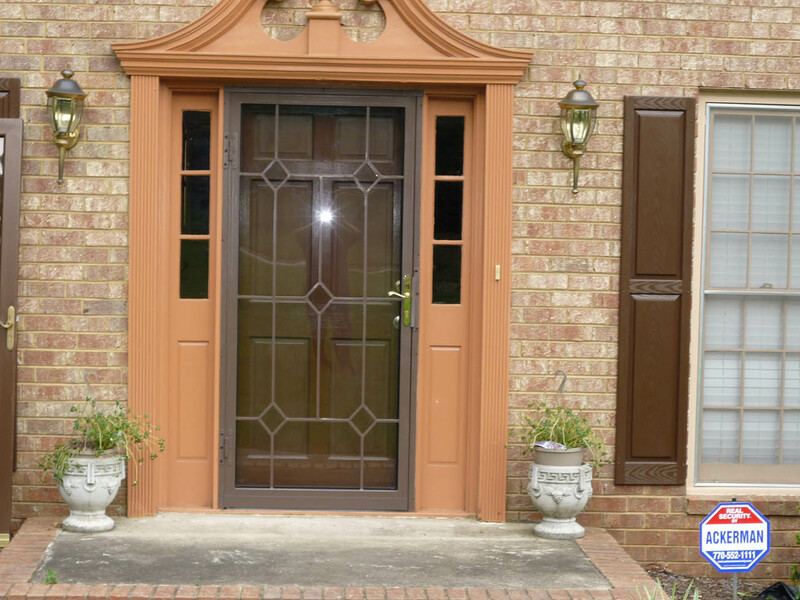 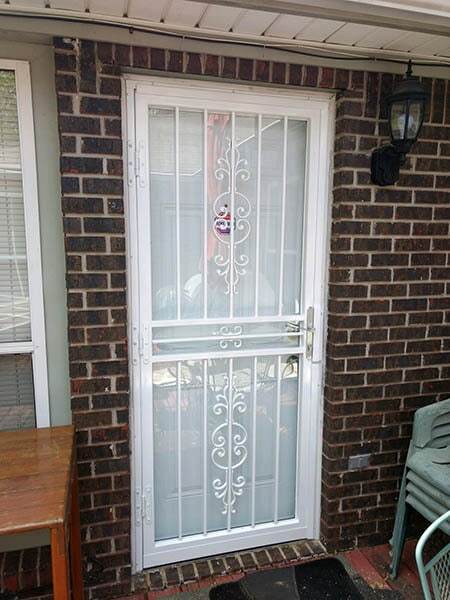 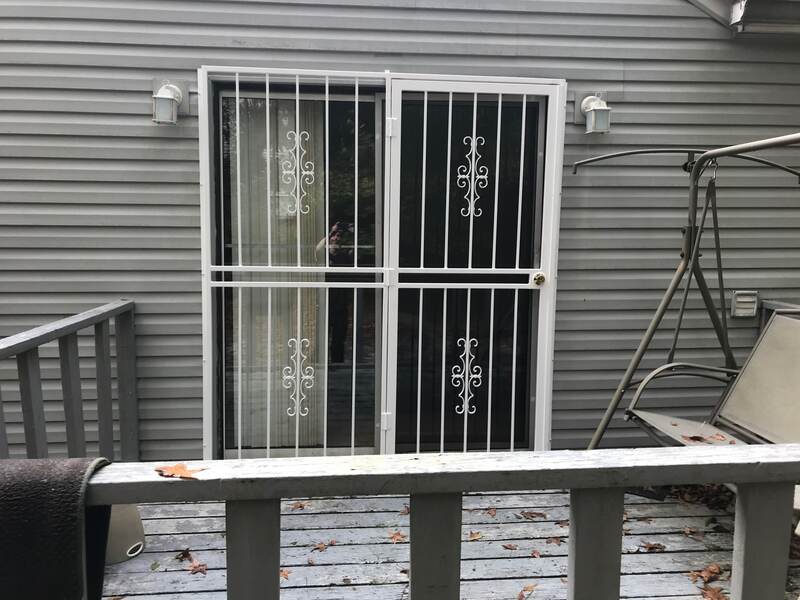 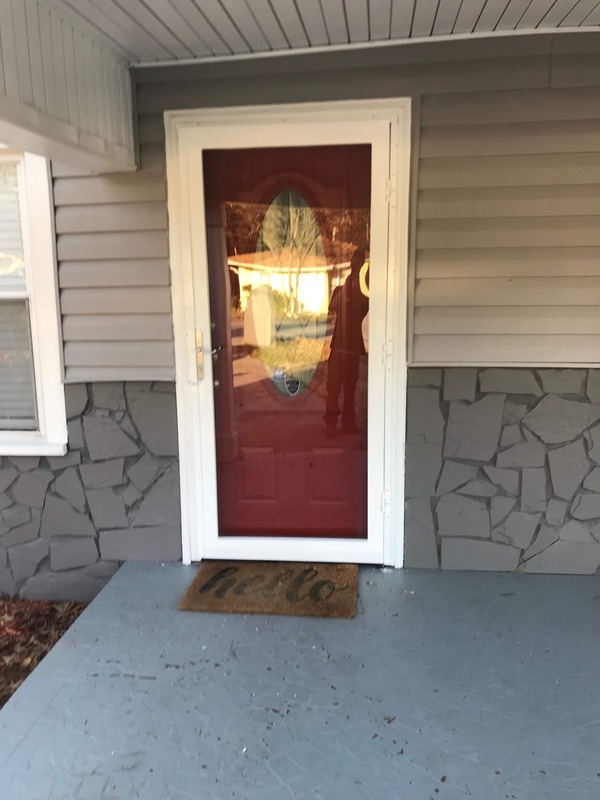 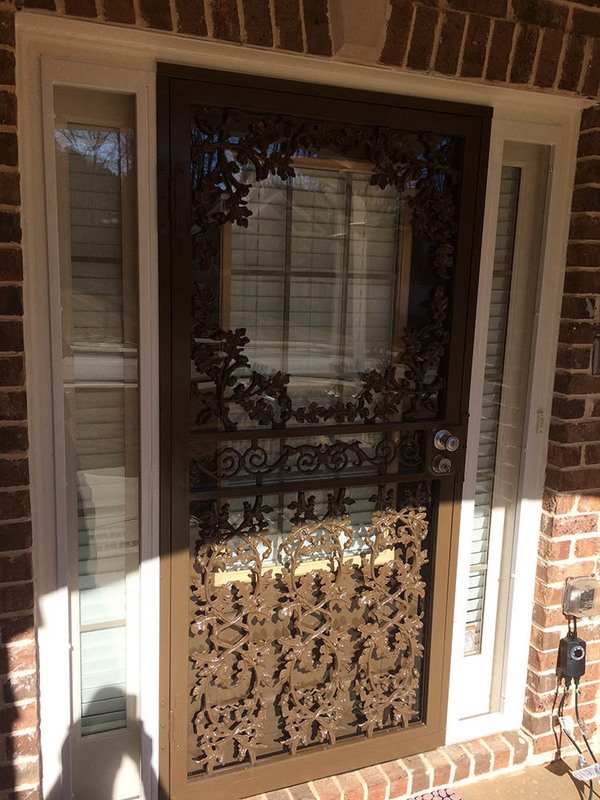 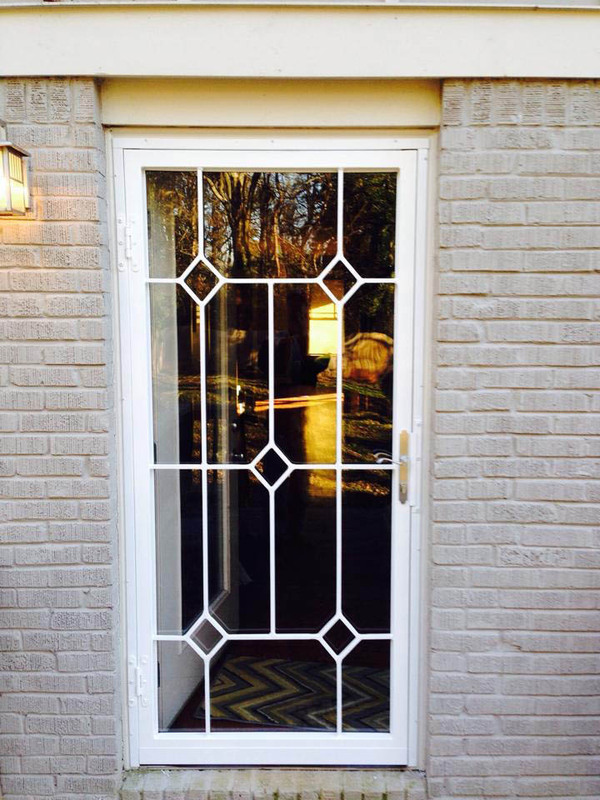 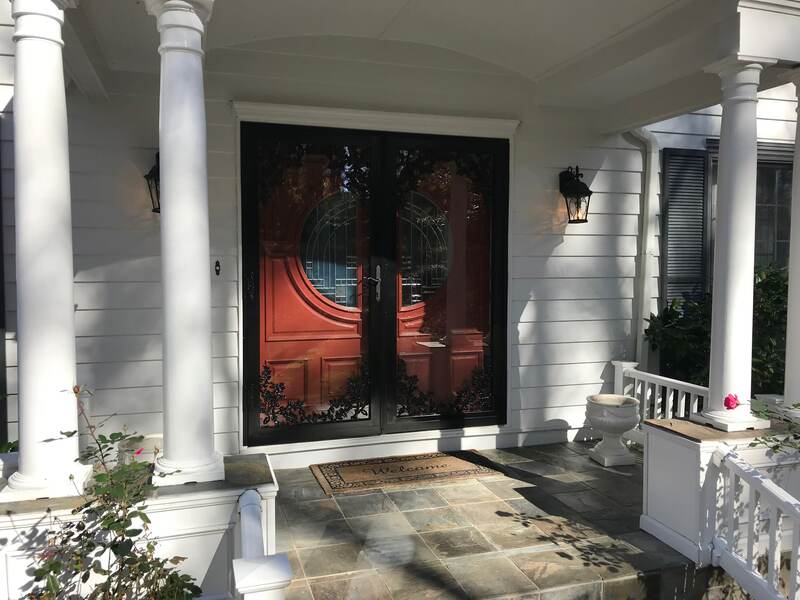 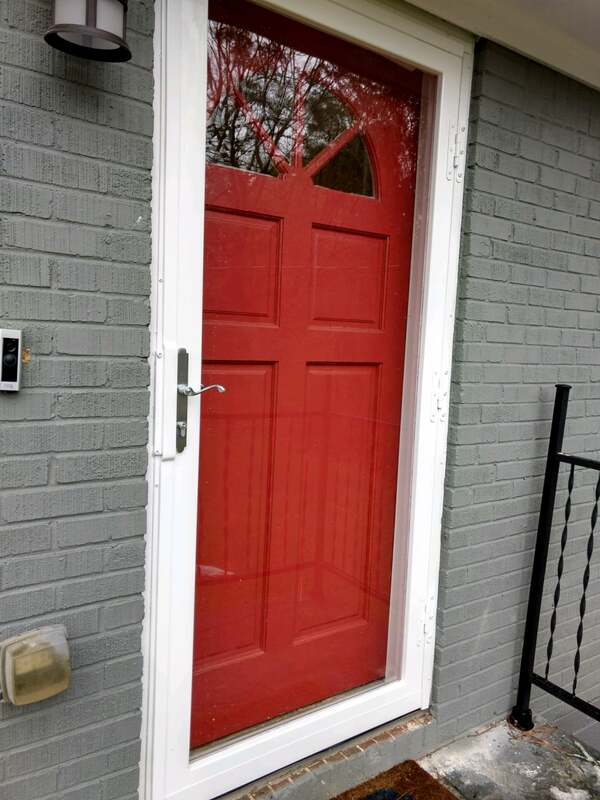 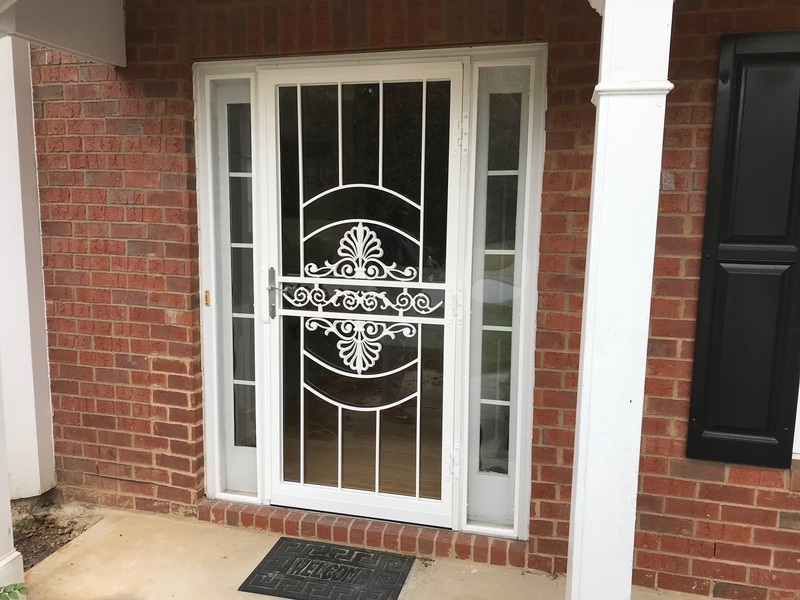 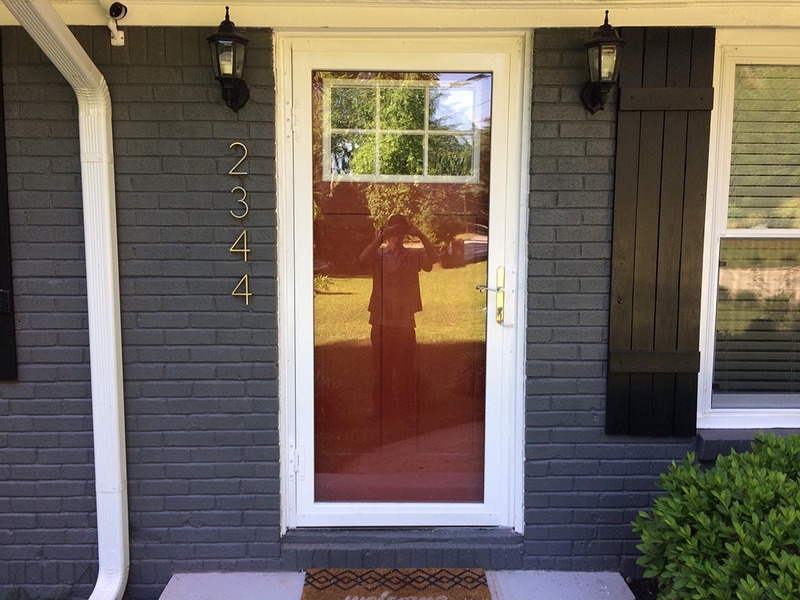 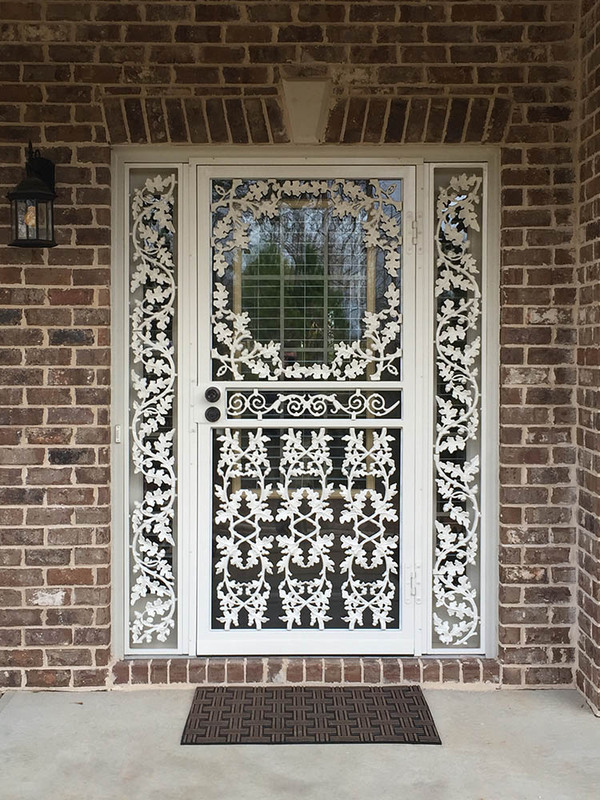 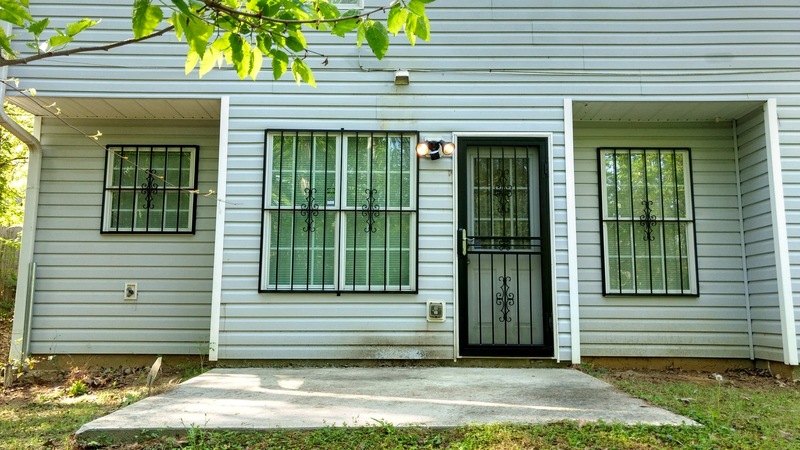 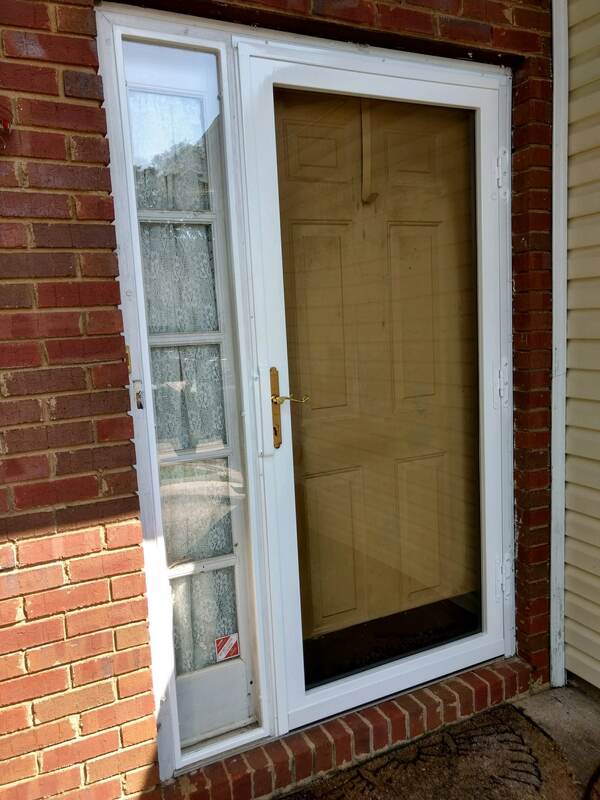 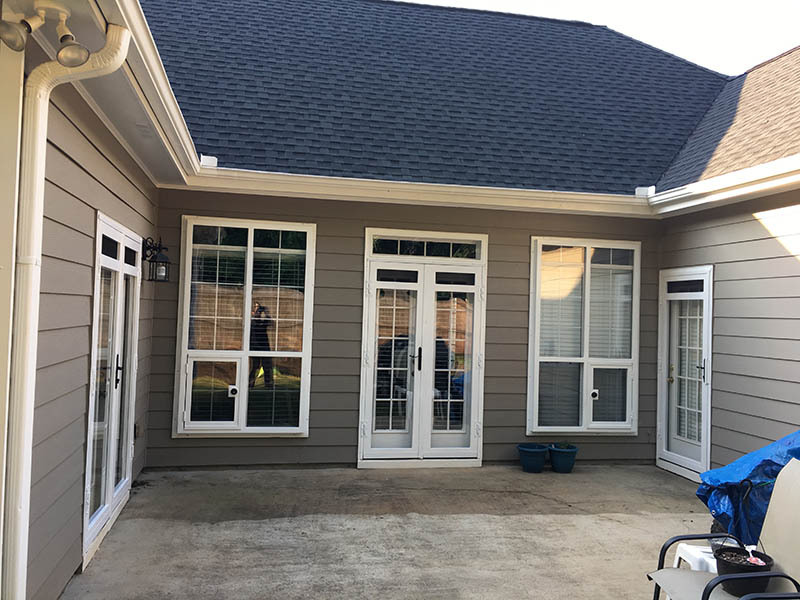 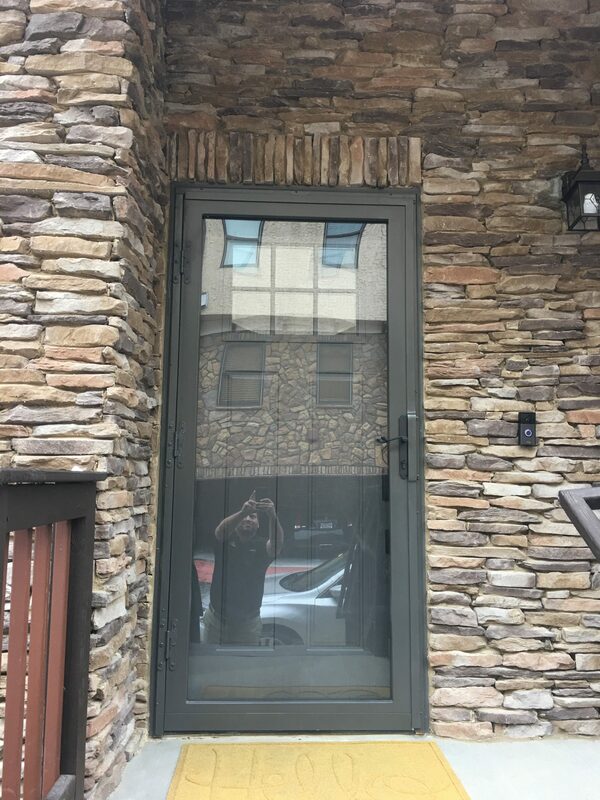 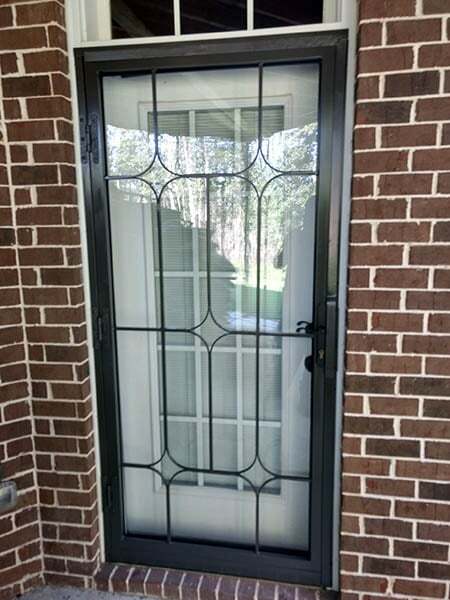 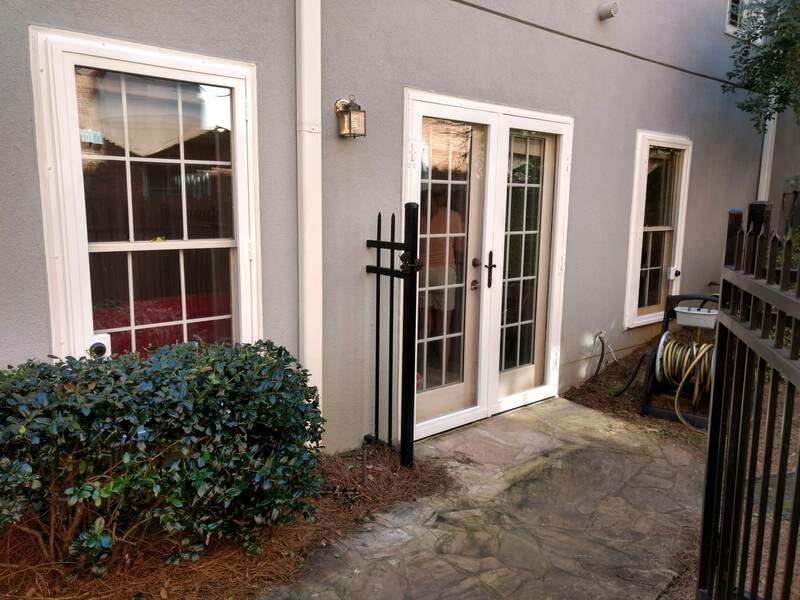 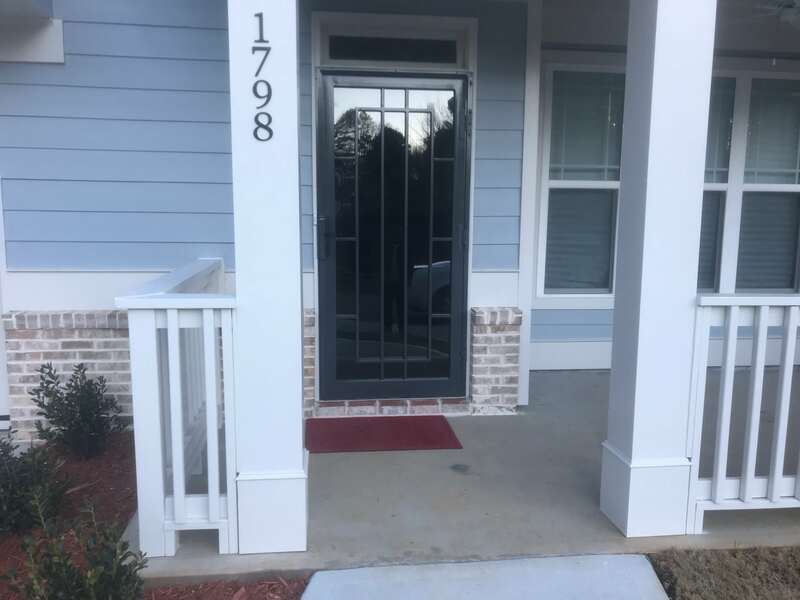 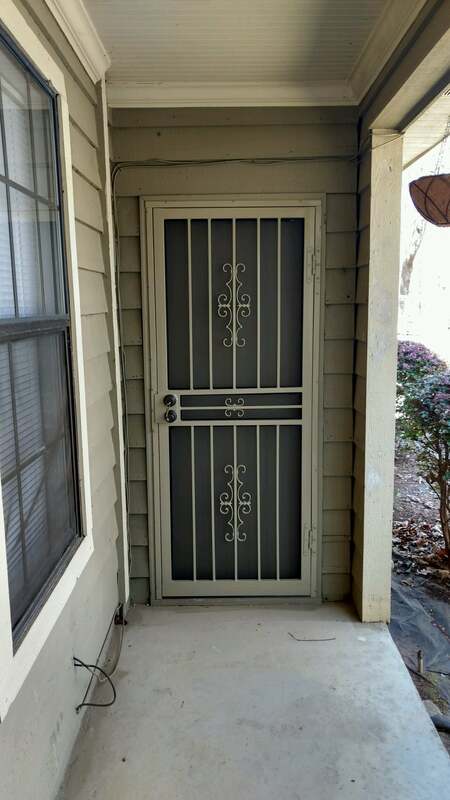 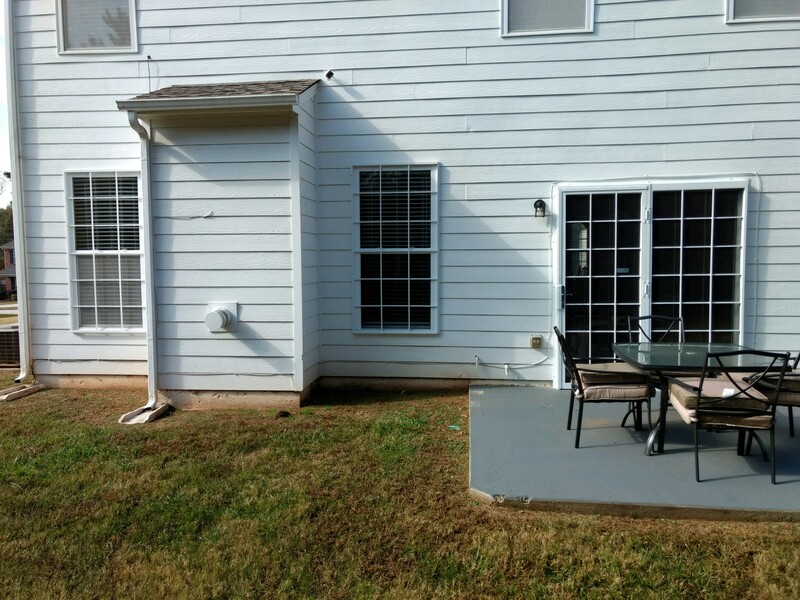 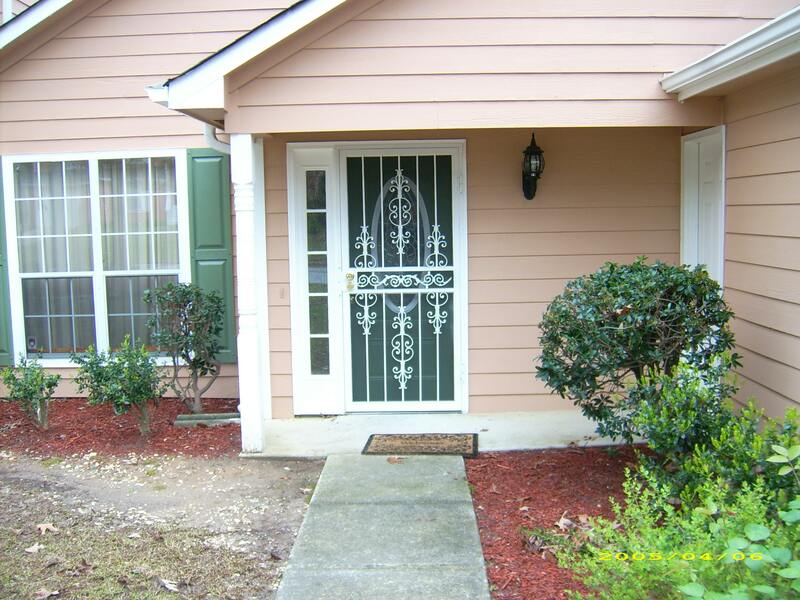 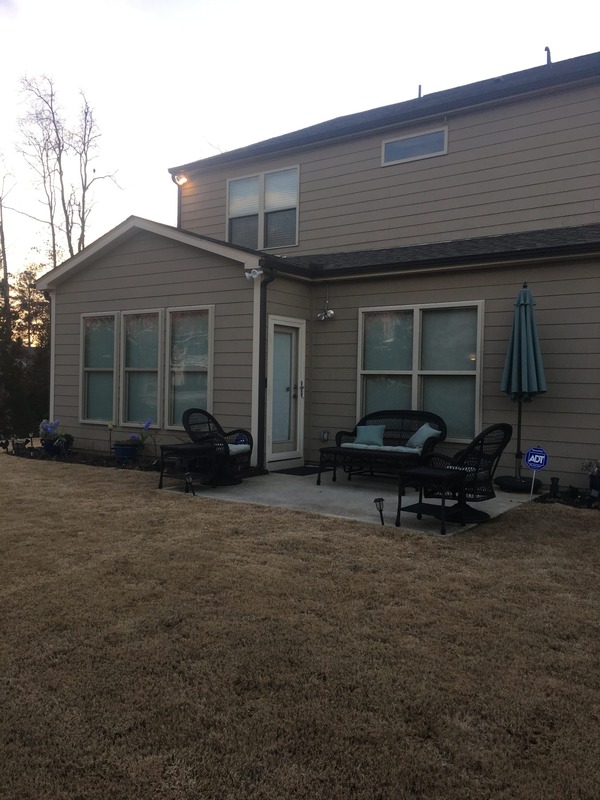 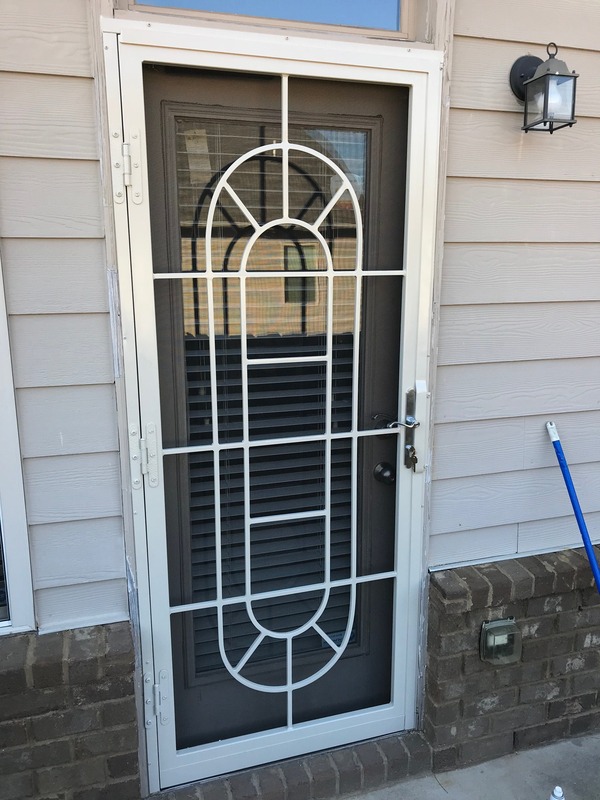 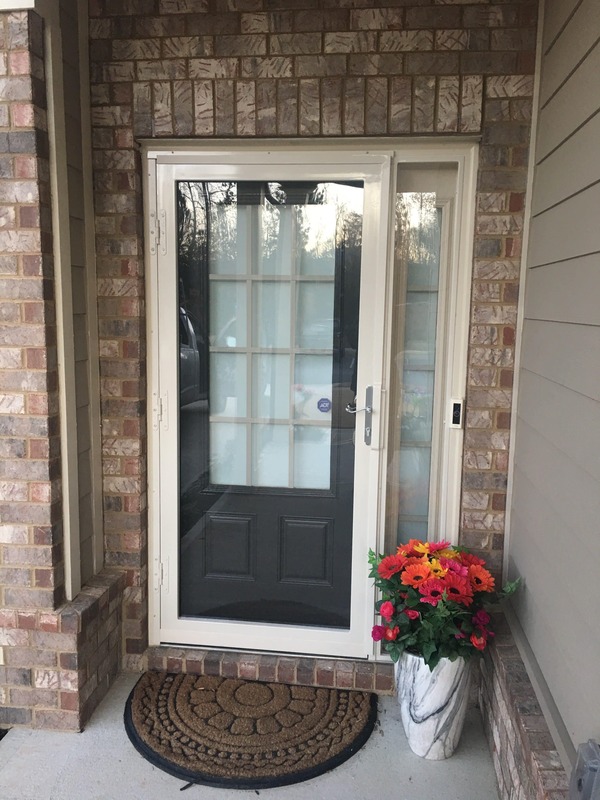 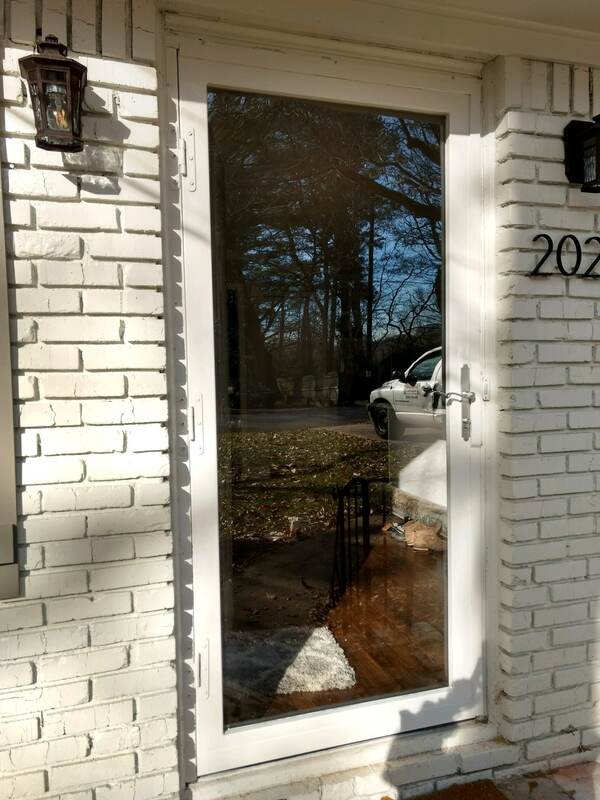 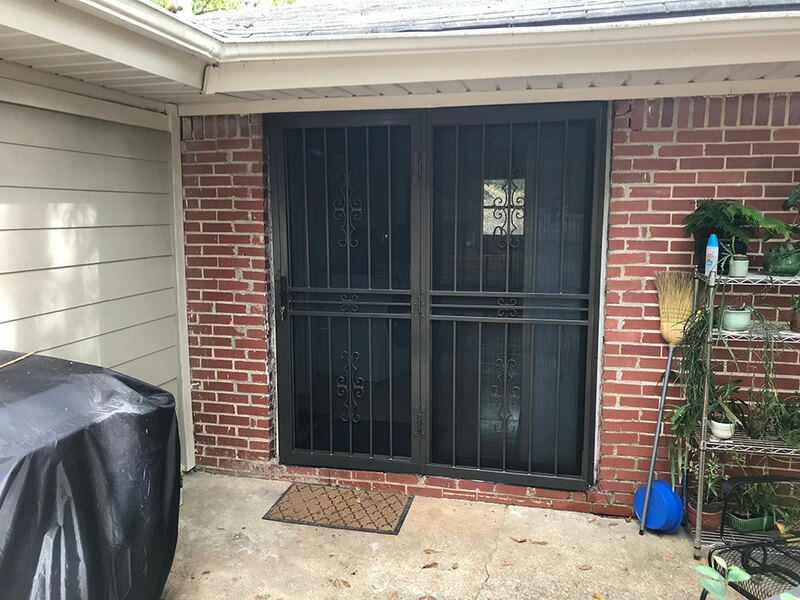 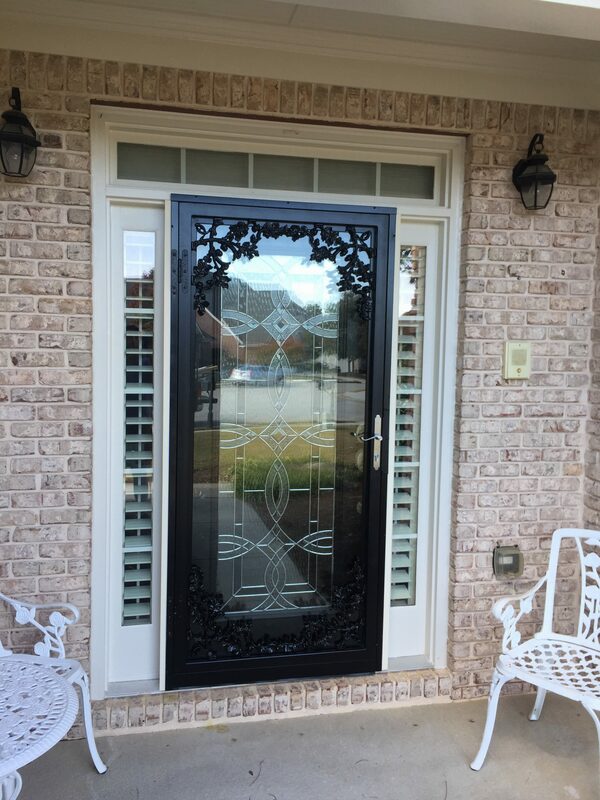 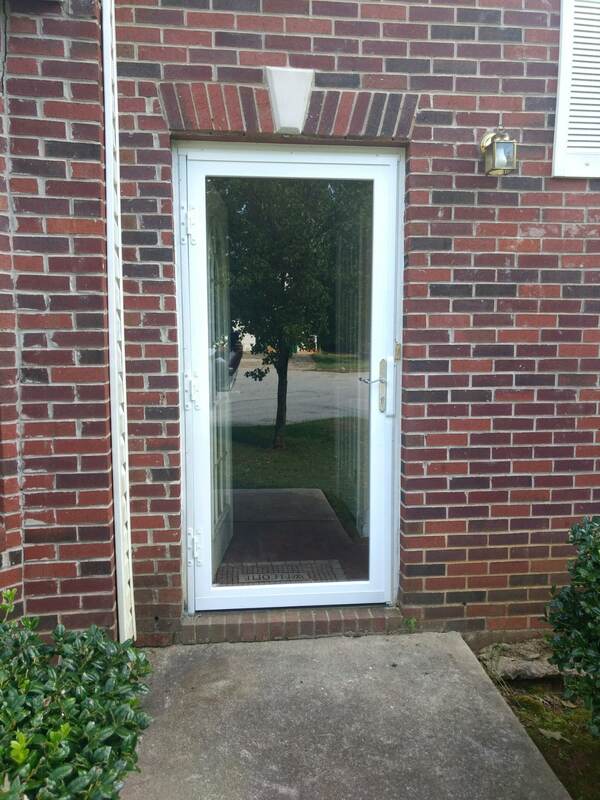 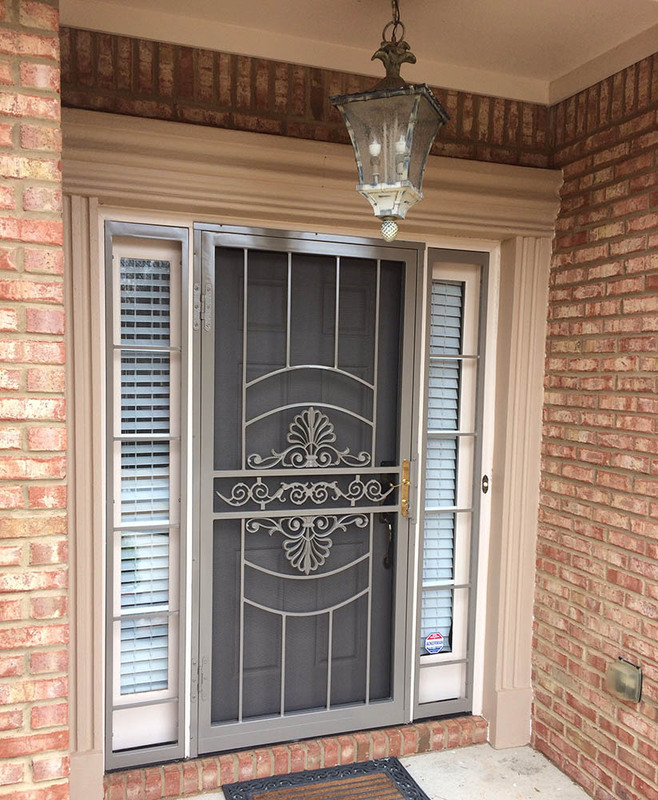 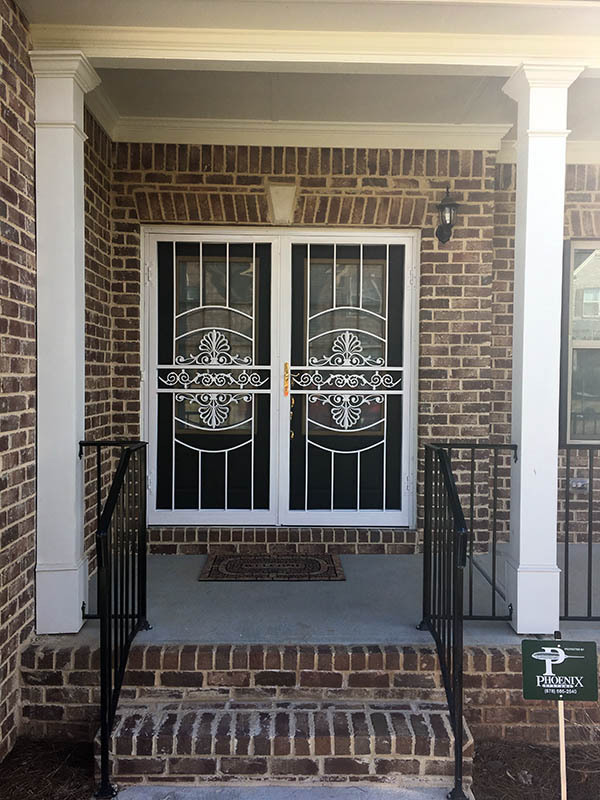 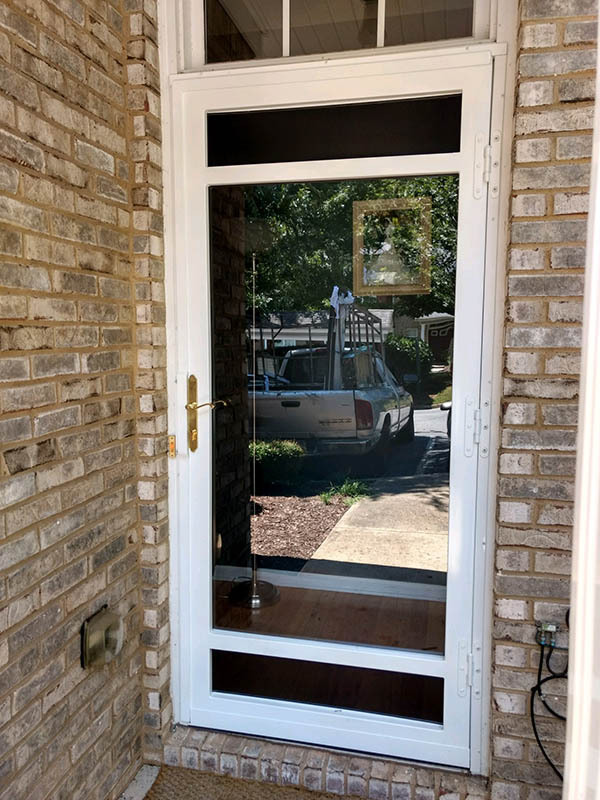 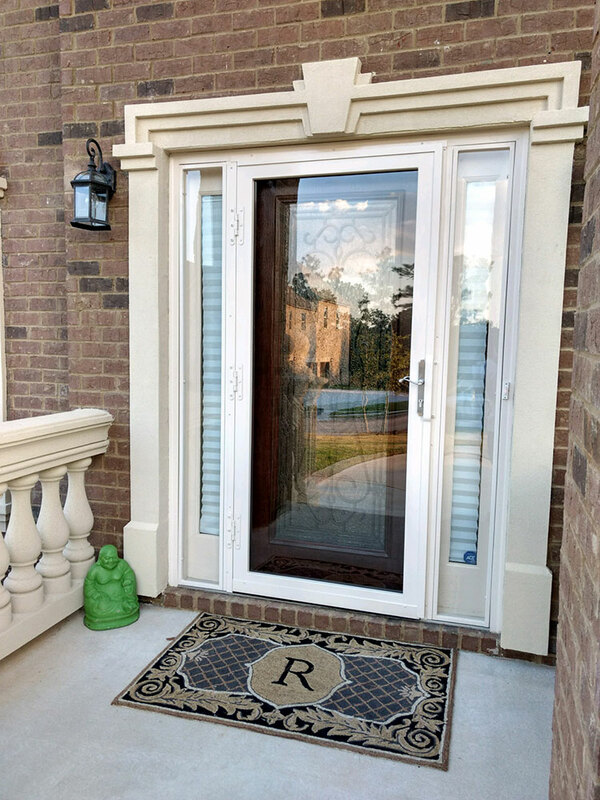 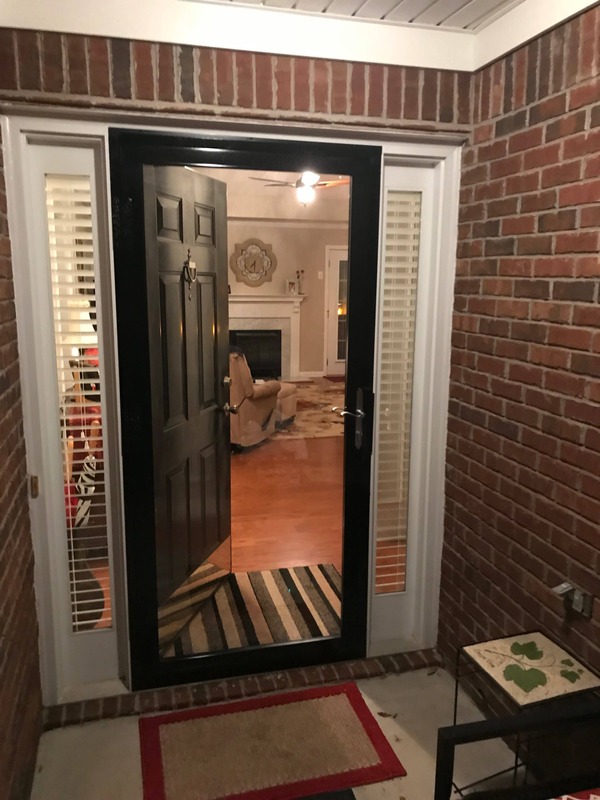 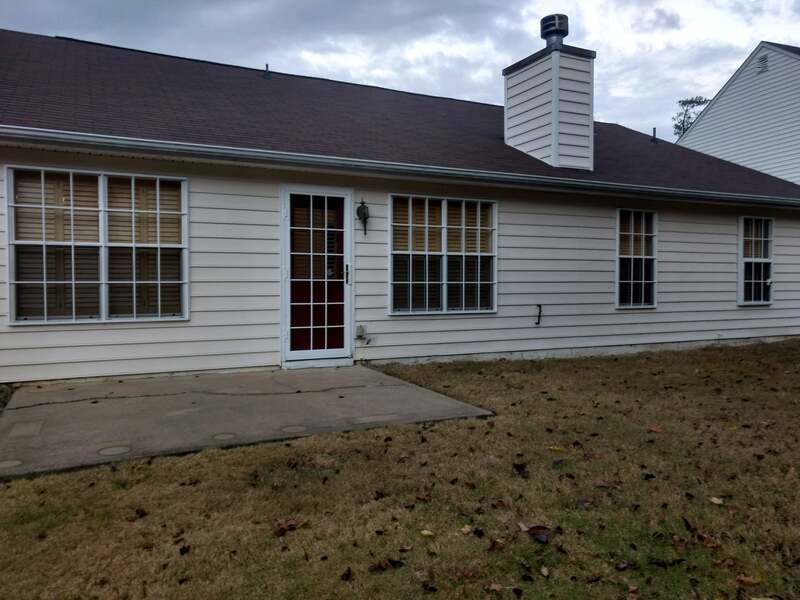 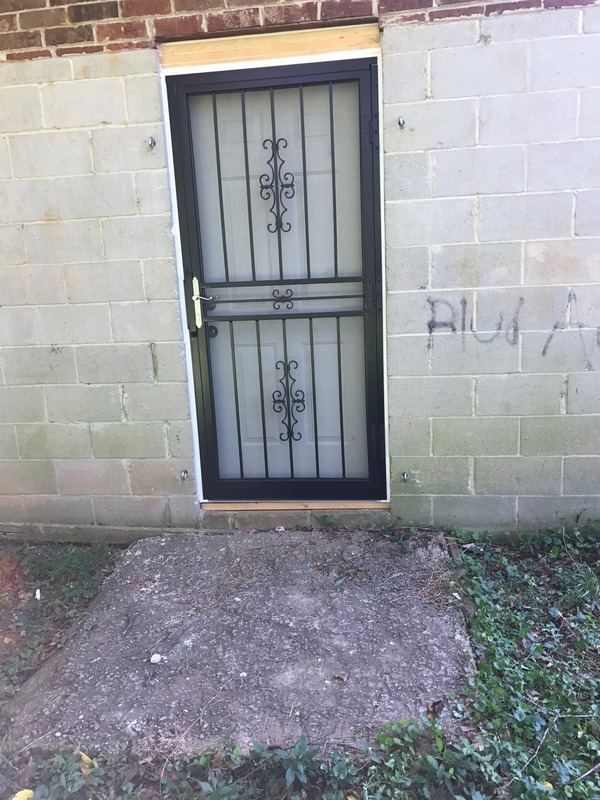 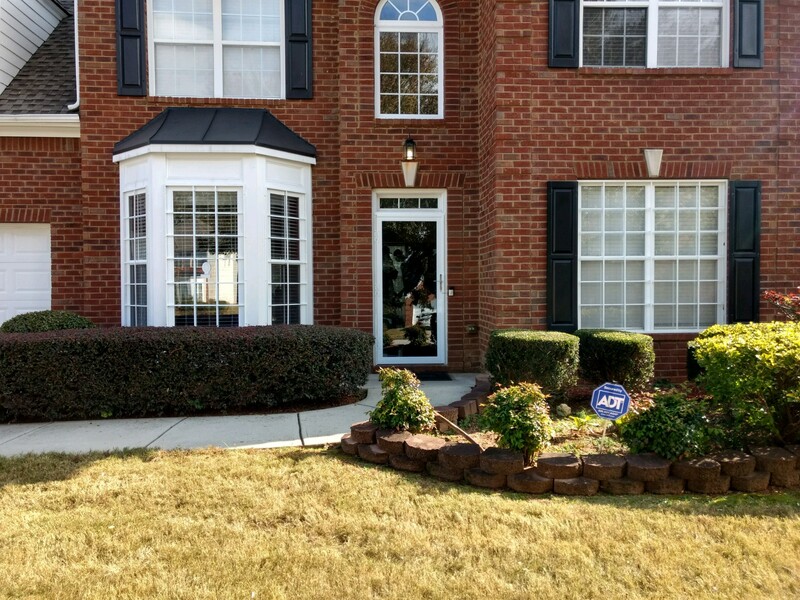 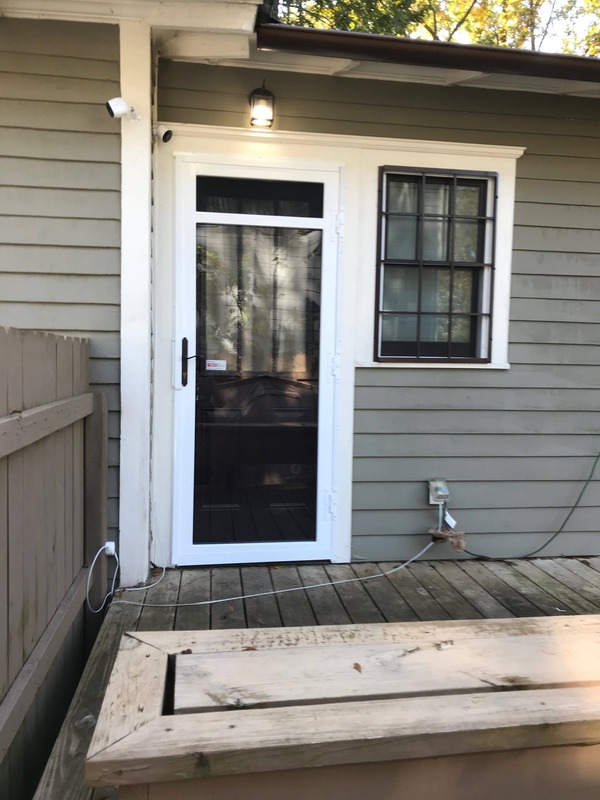 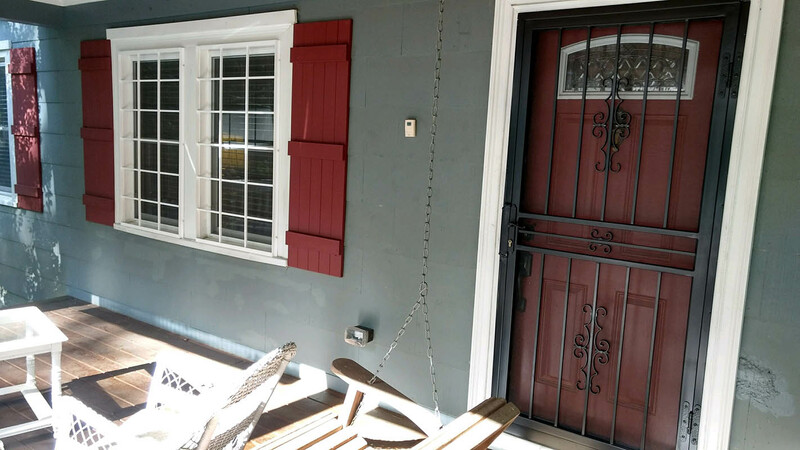 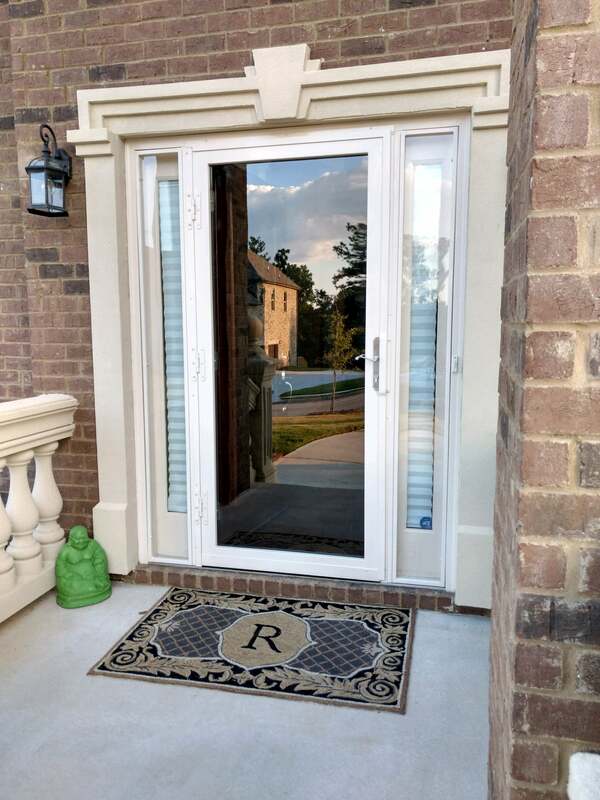 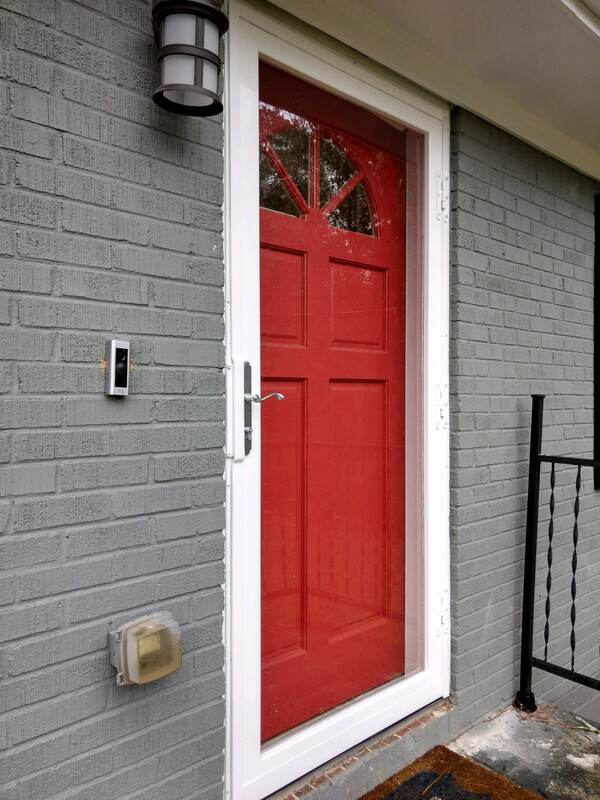 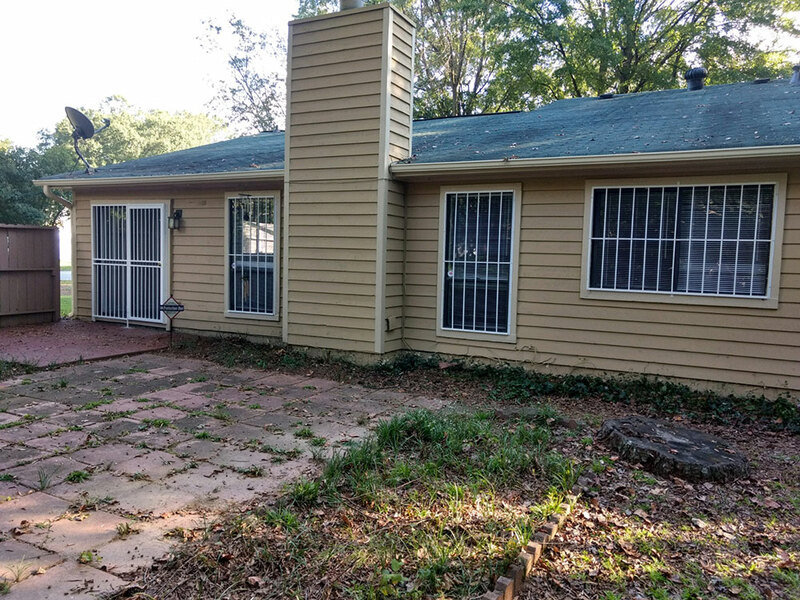 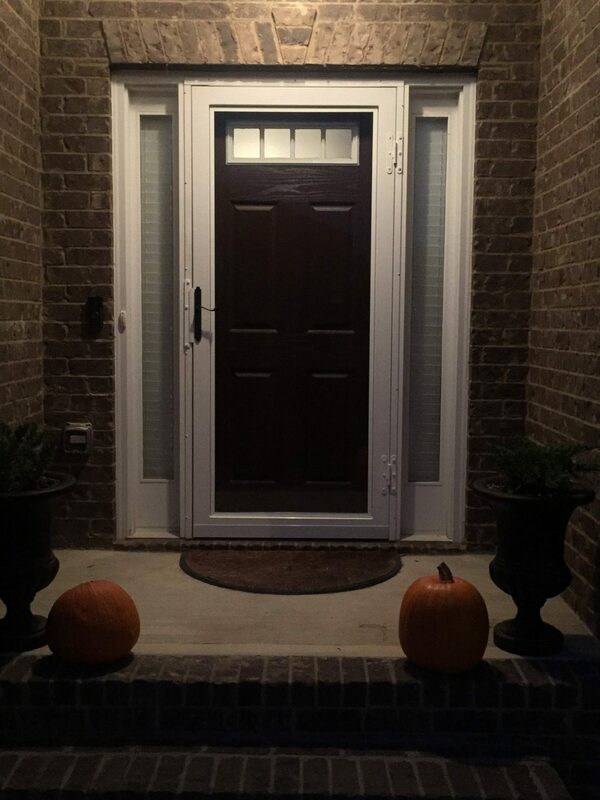 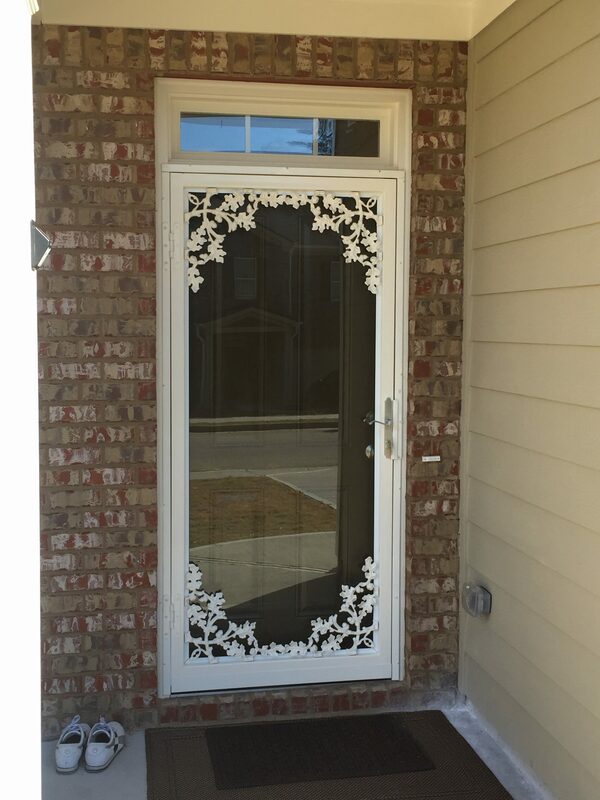 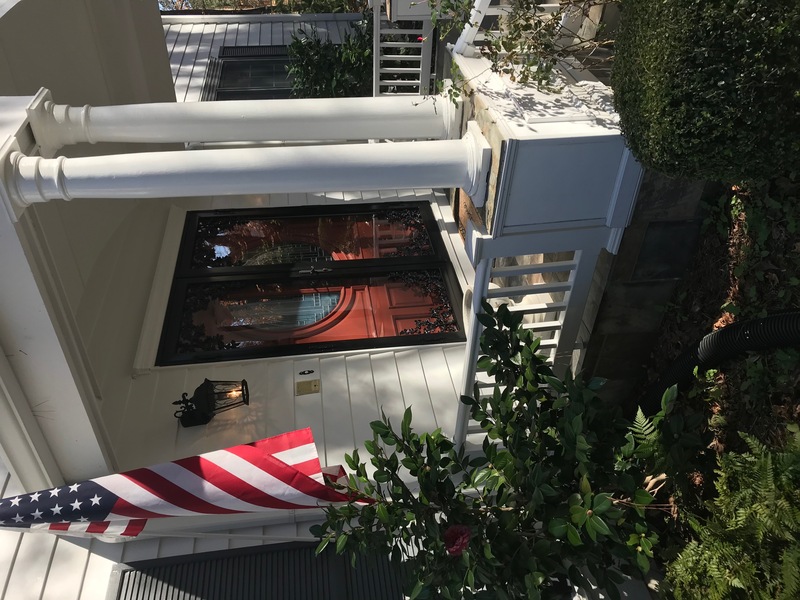 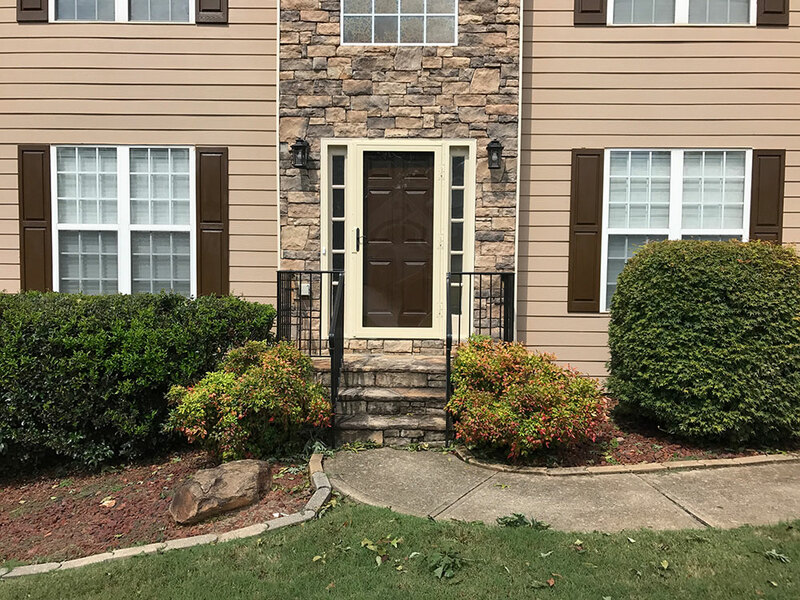 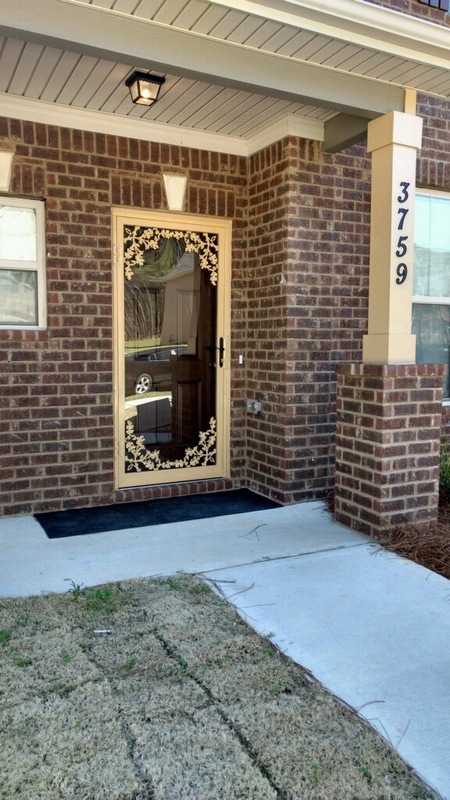 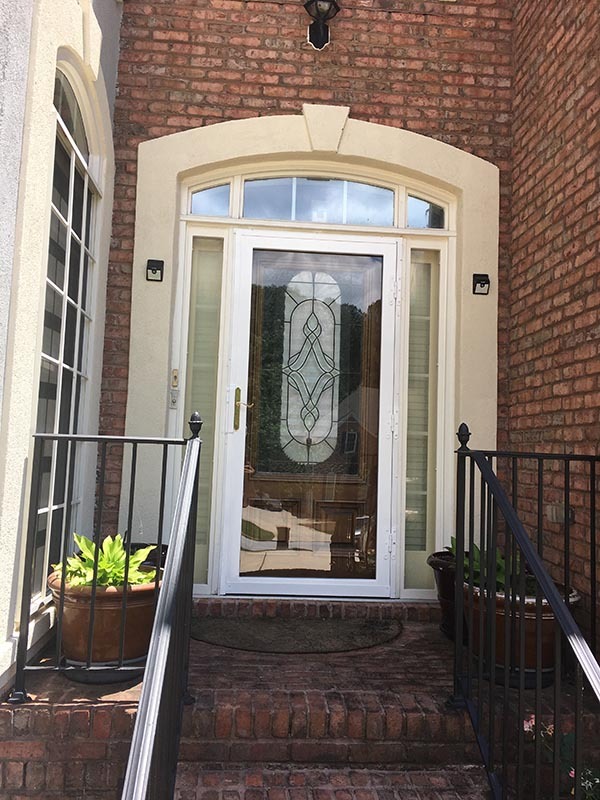 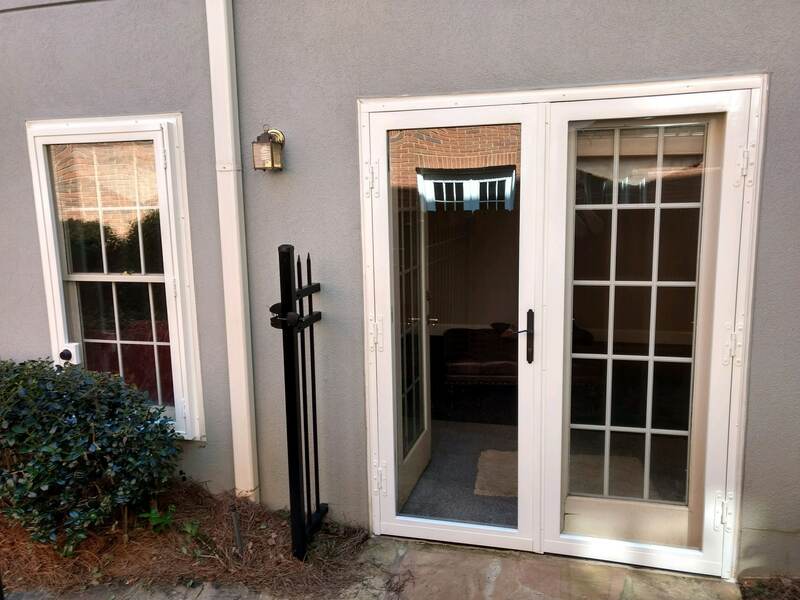 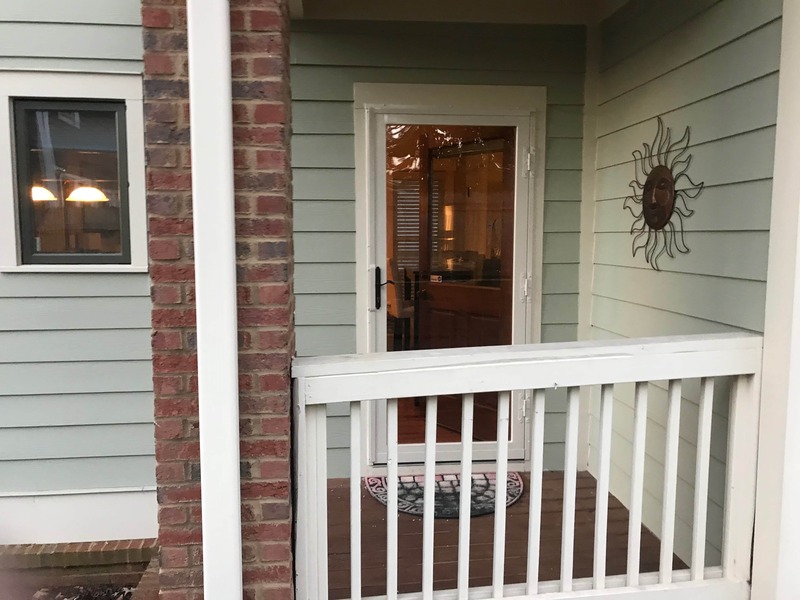 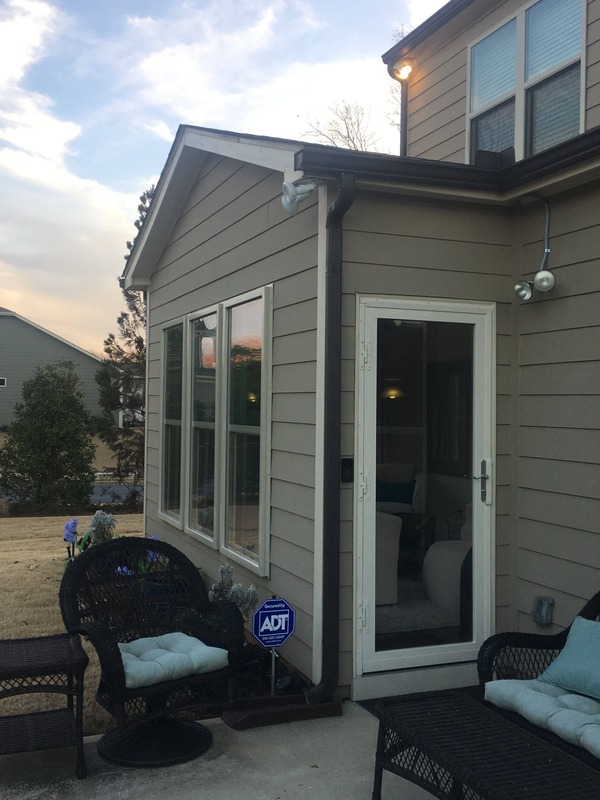 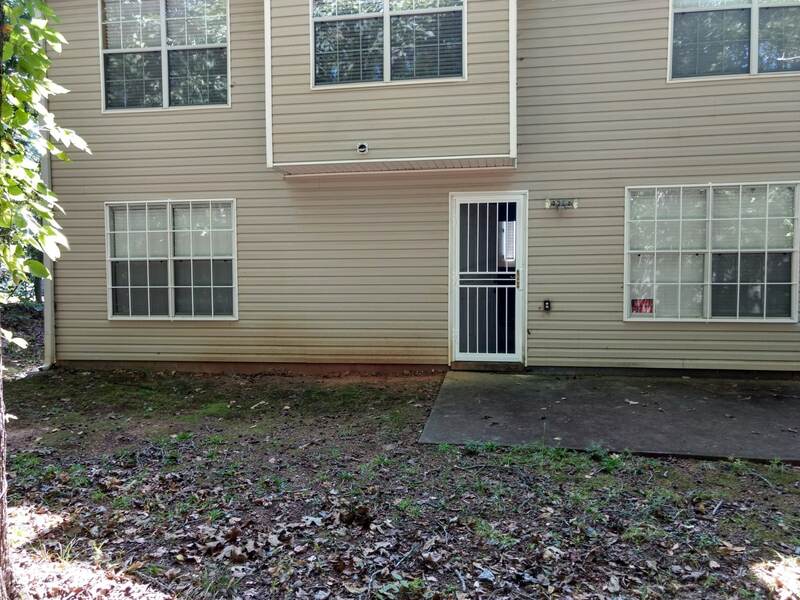 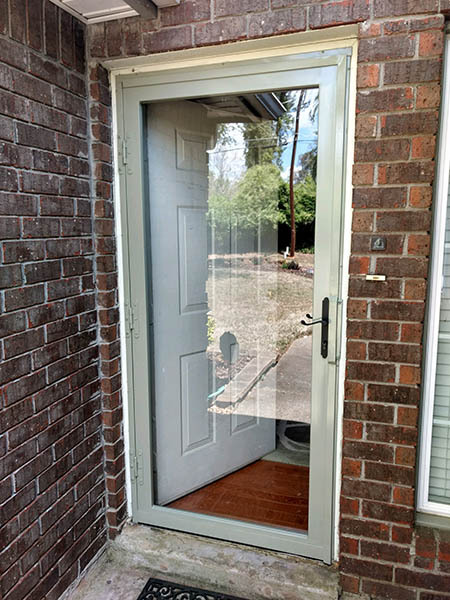 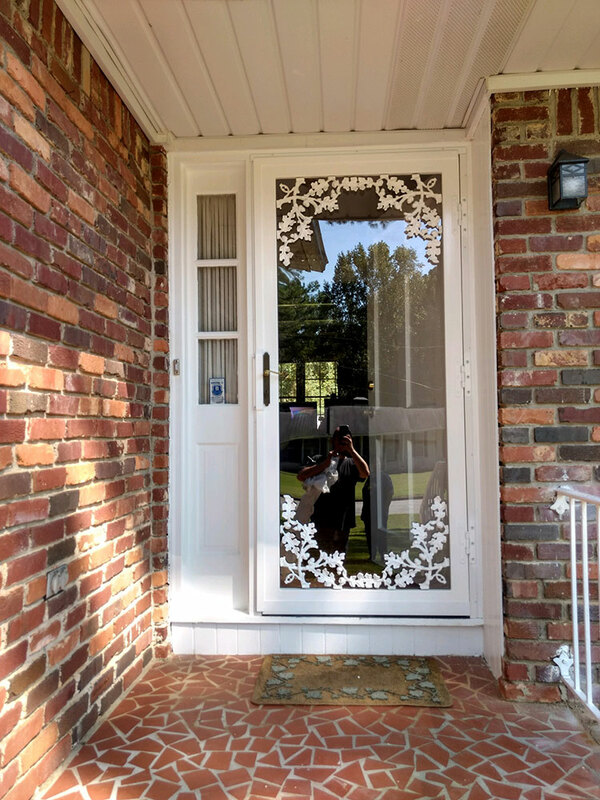 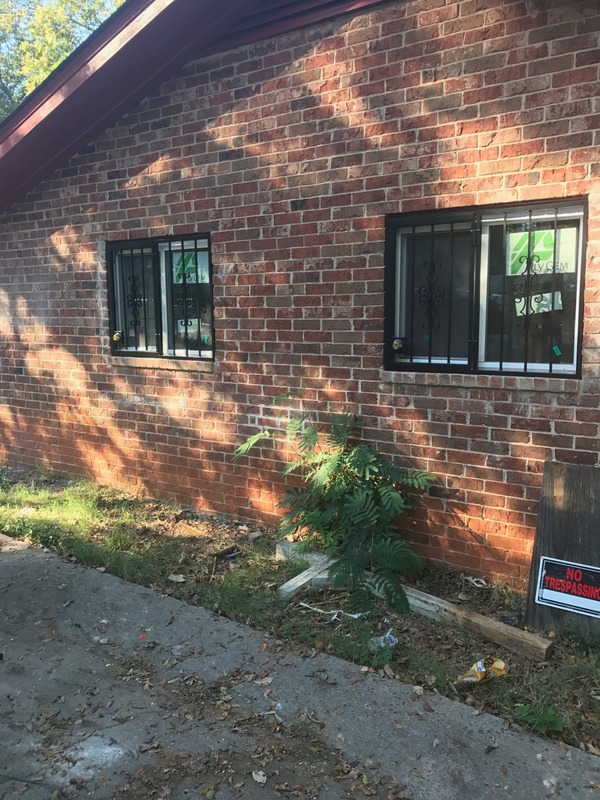 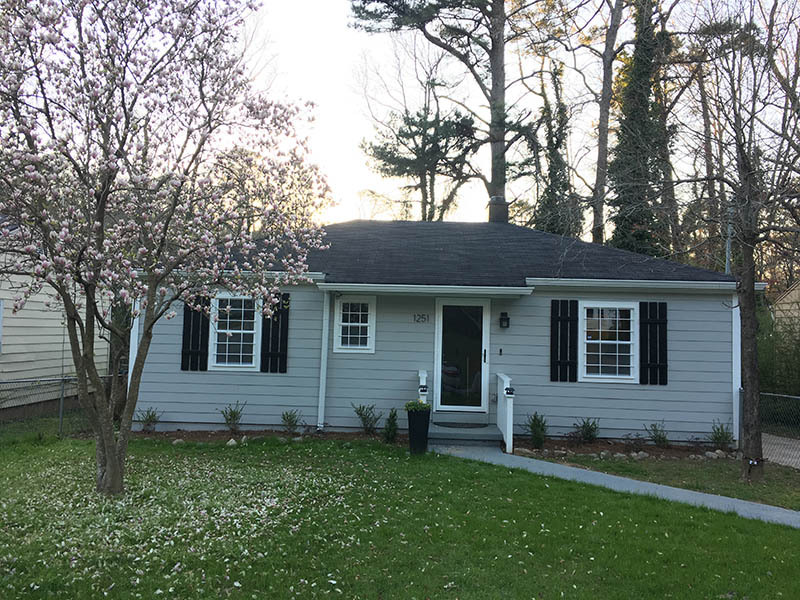 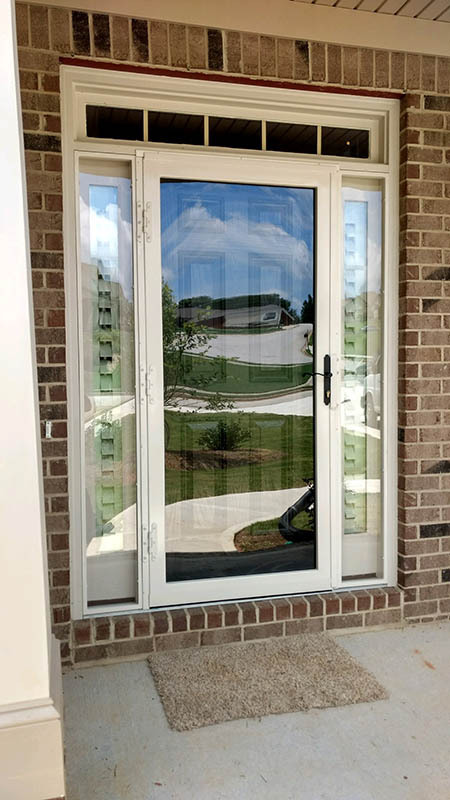 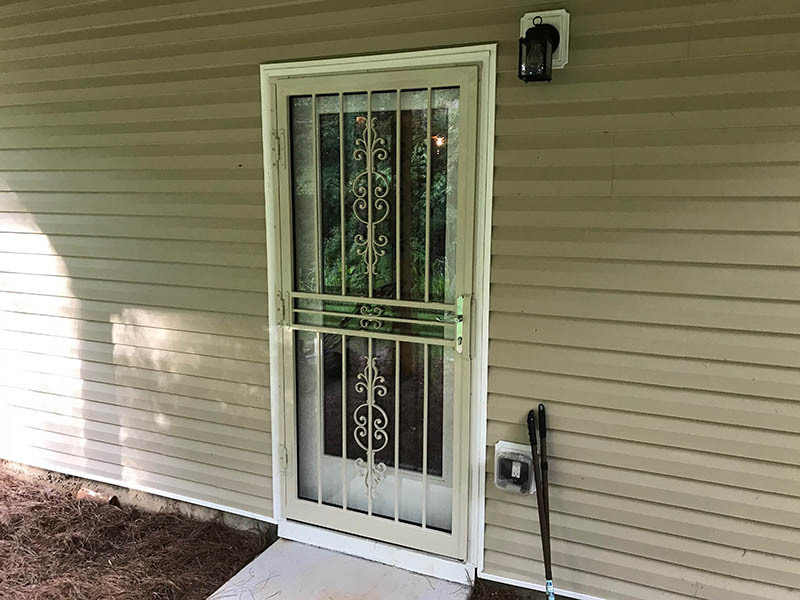 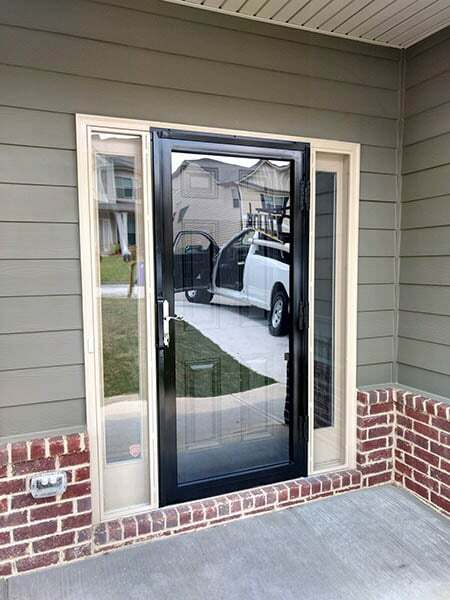 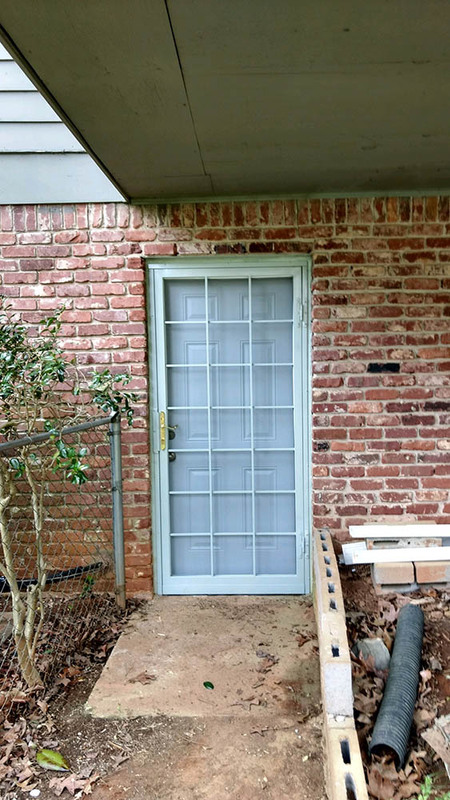 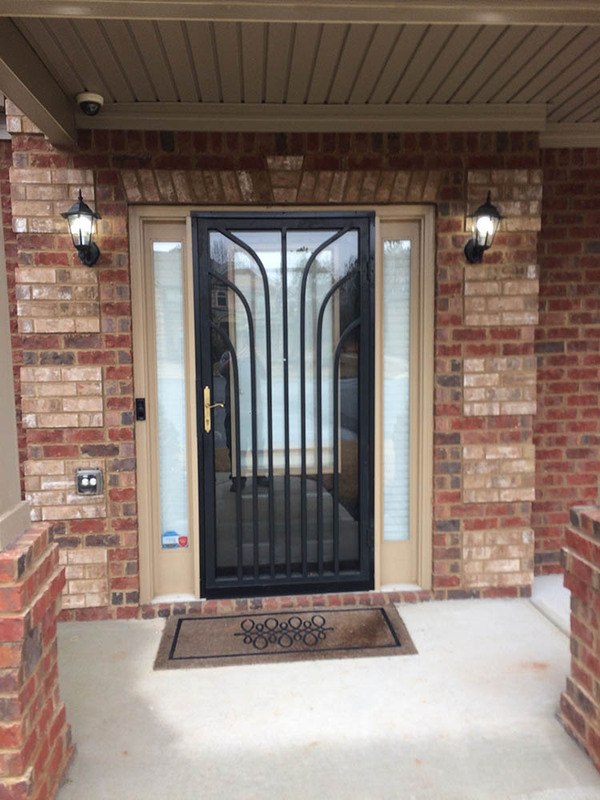 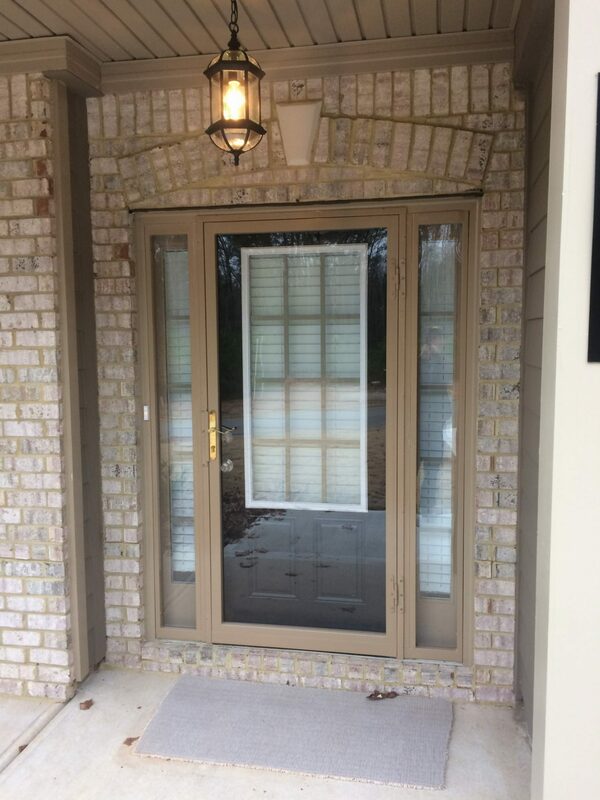 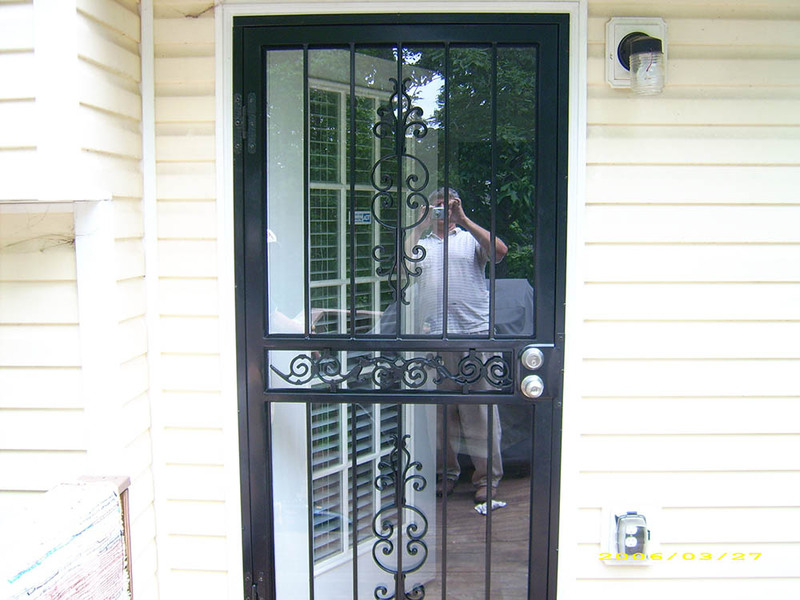 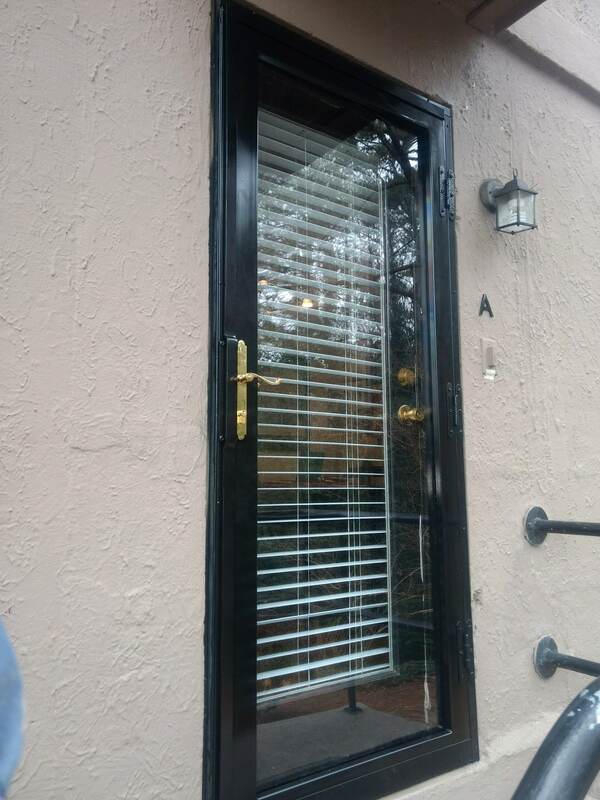 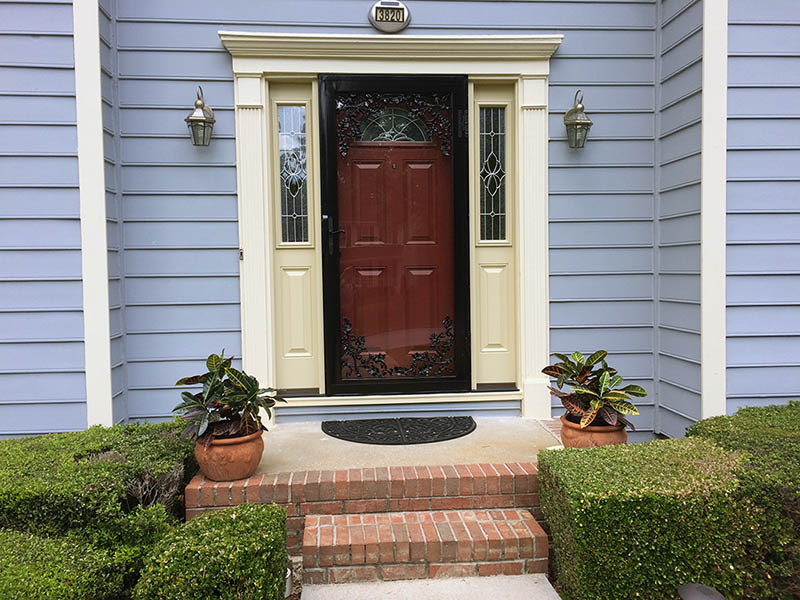 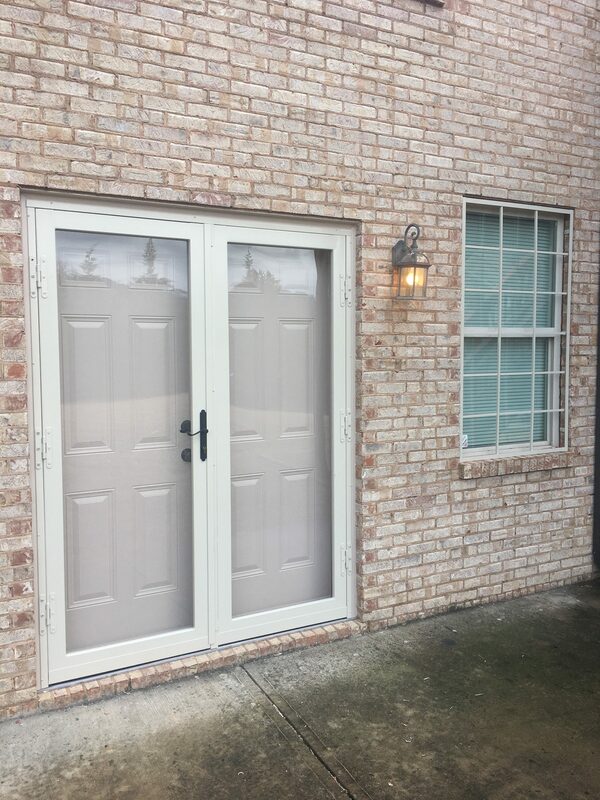 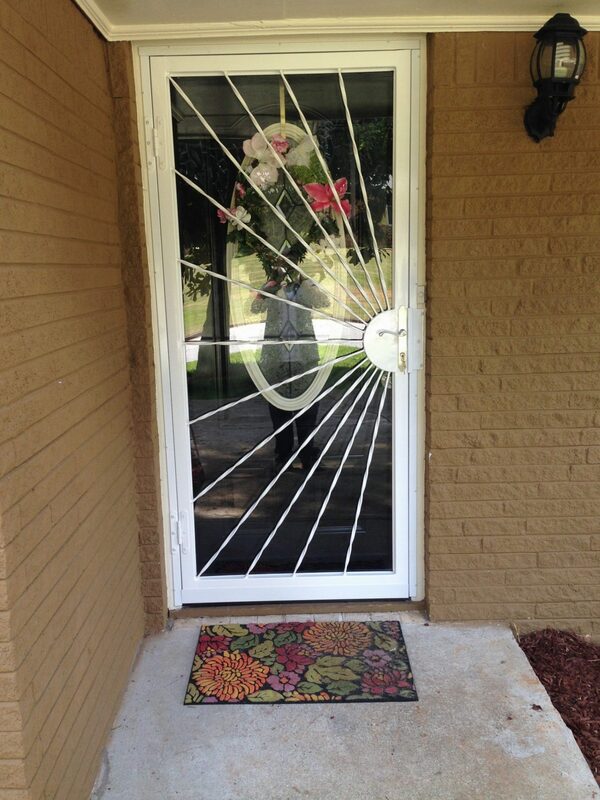 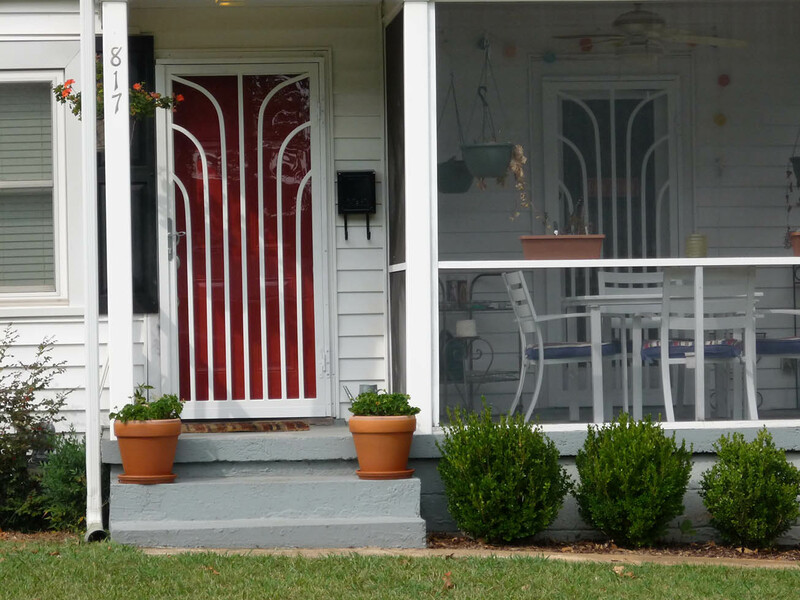 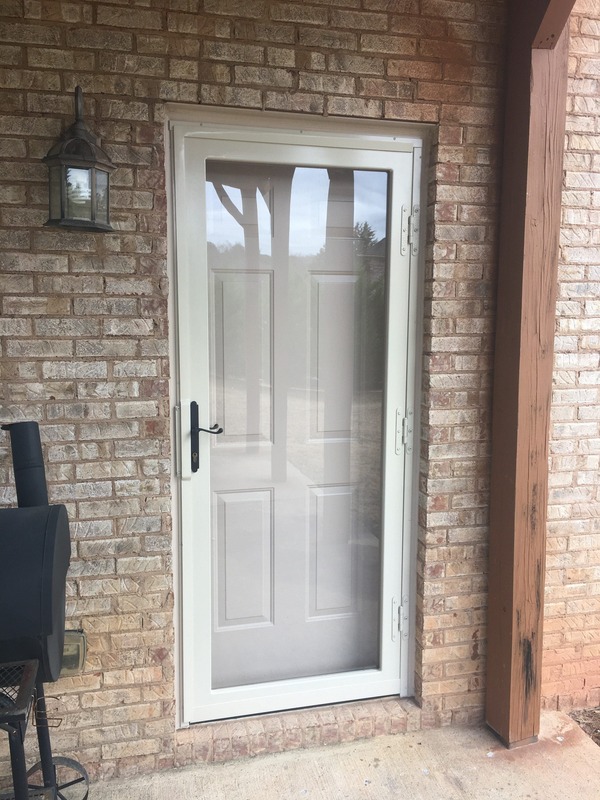 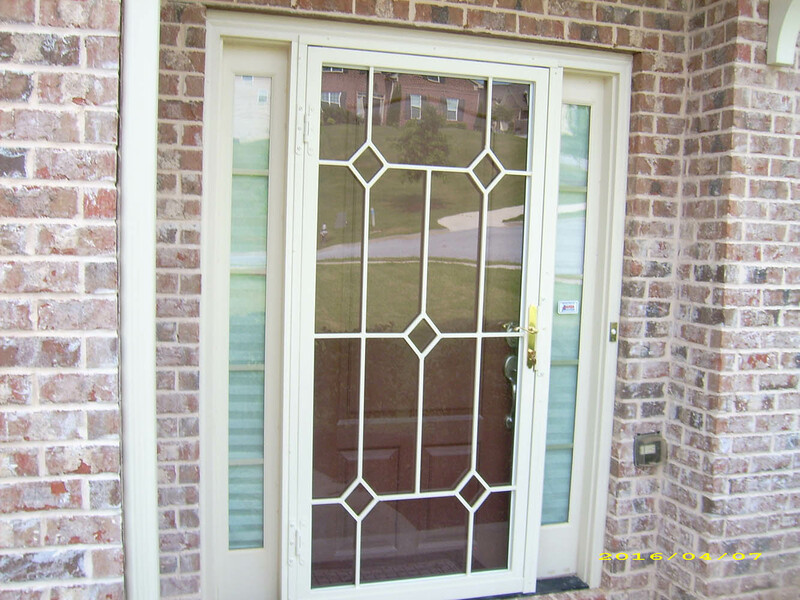 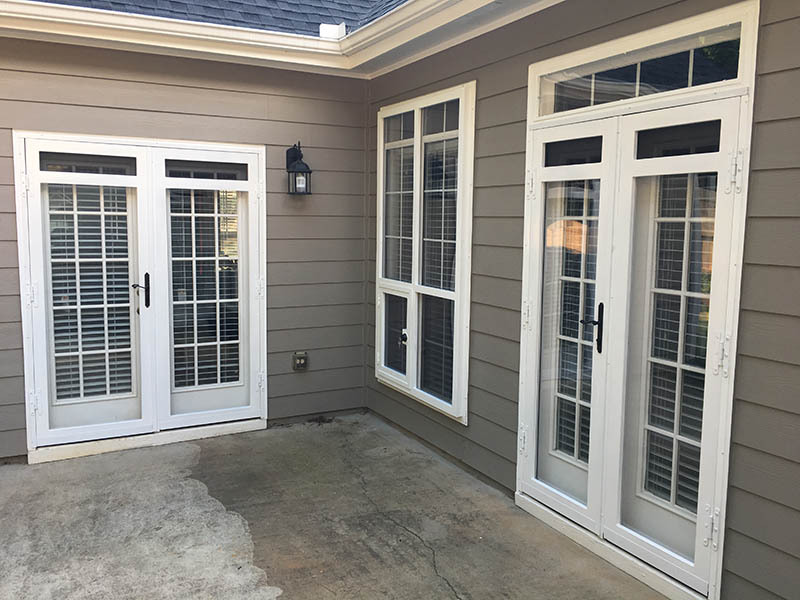 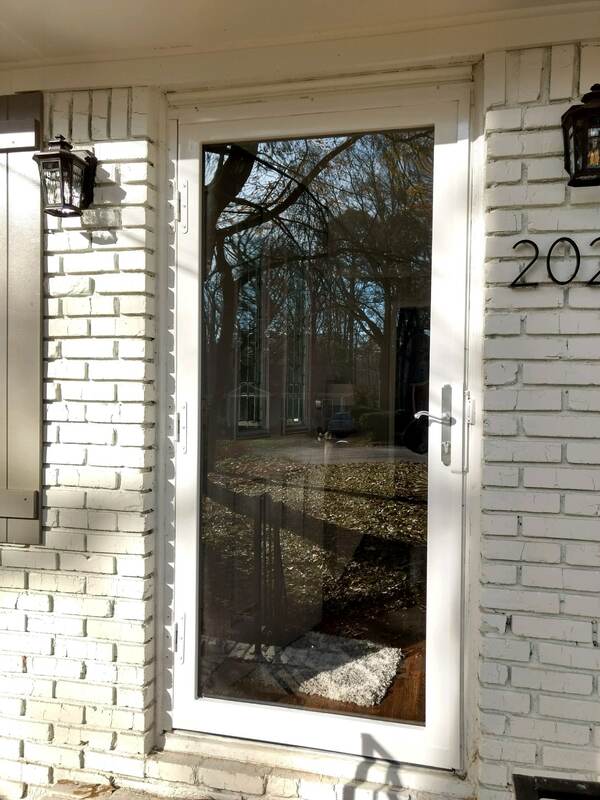 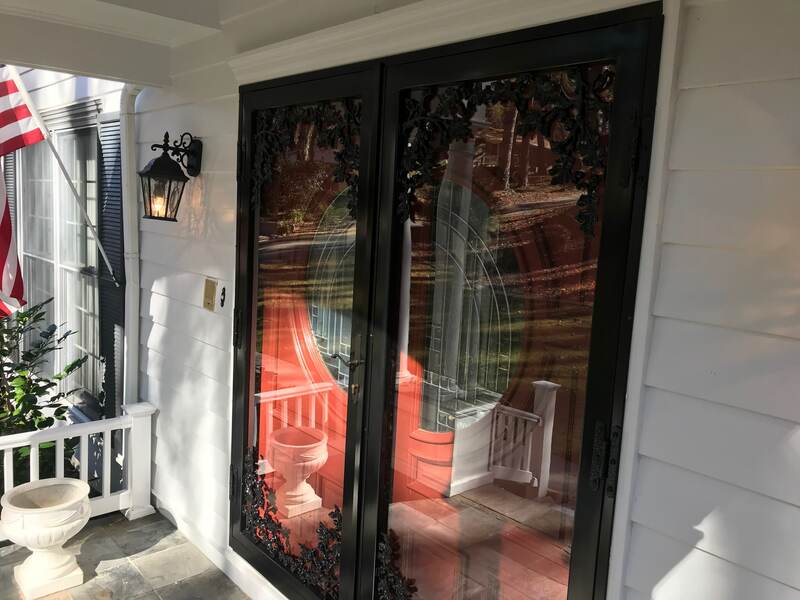 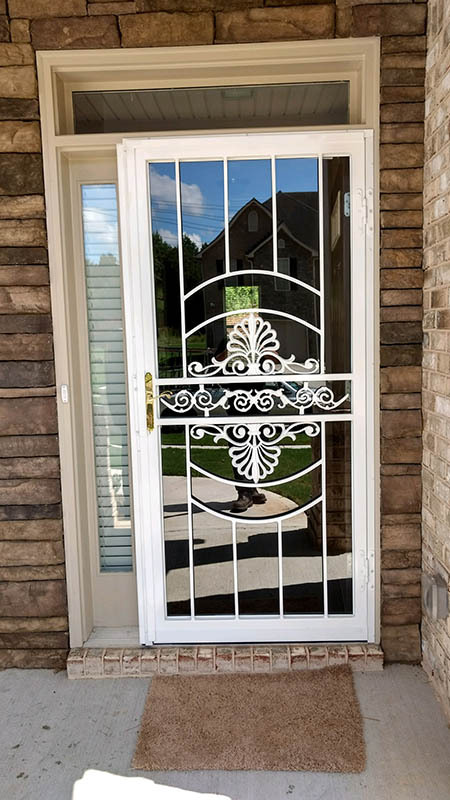 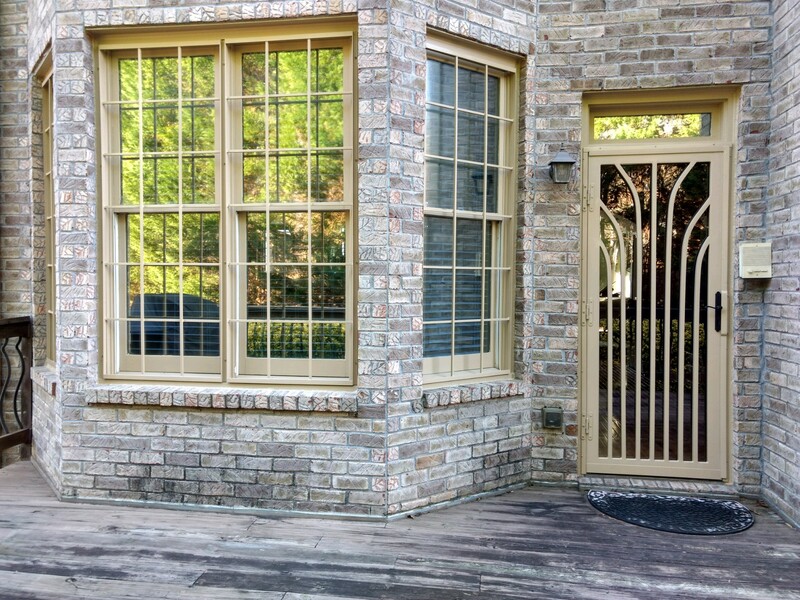 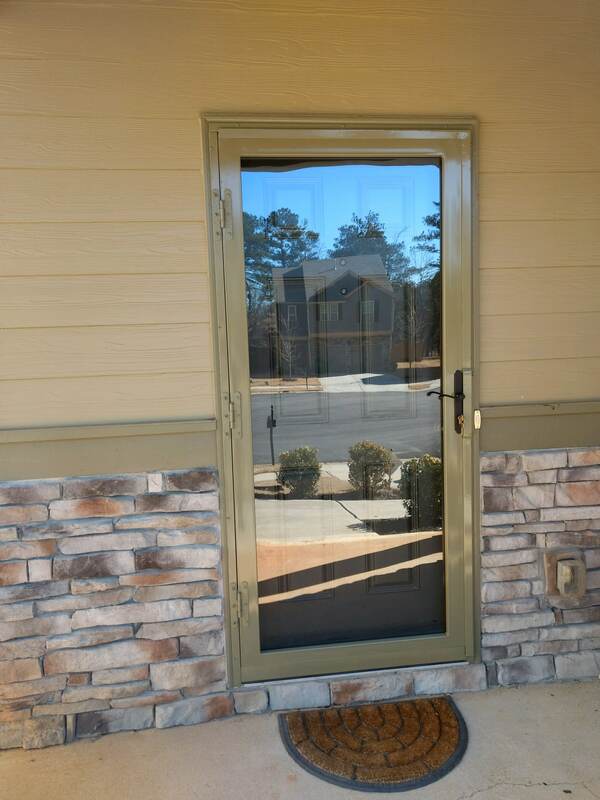 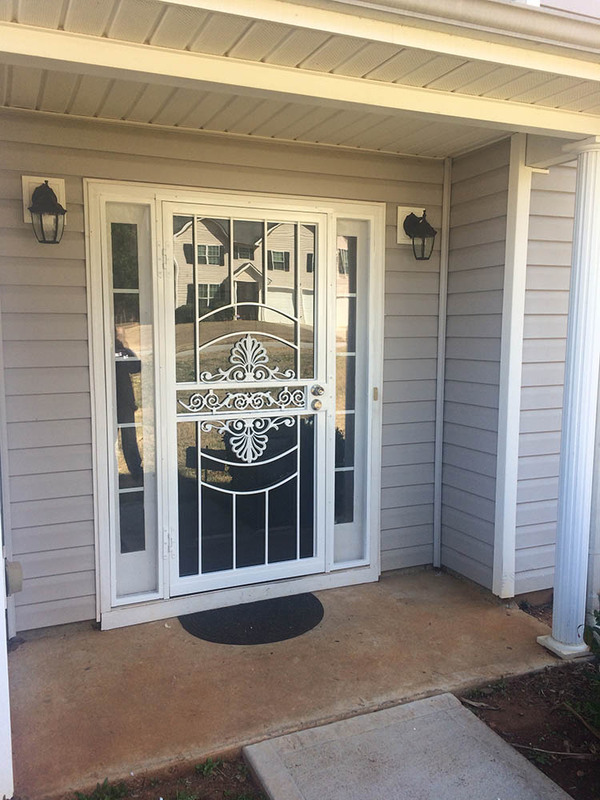 From a visually appealing entrance to utmost security, our single security doors in Atlanta offer it all. 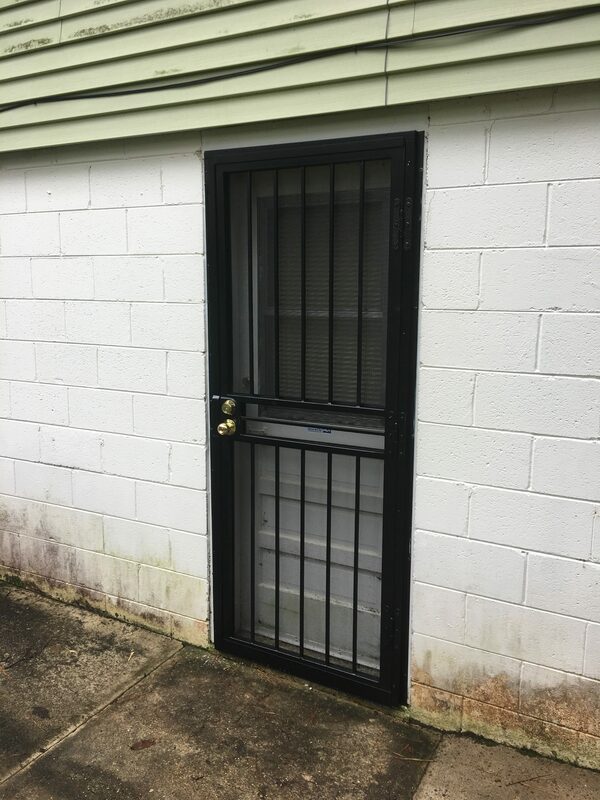 The lock area is often the prime target of intruders which is why we add a ¼ inch steel plate on the frame. 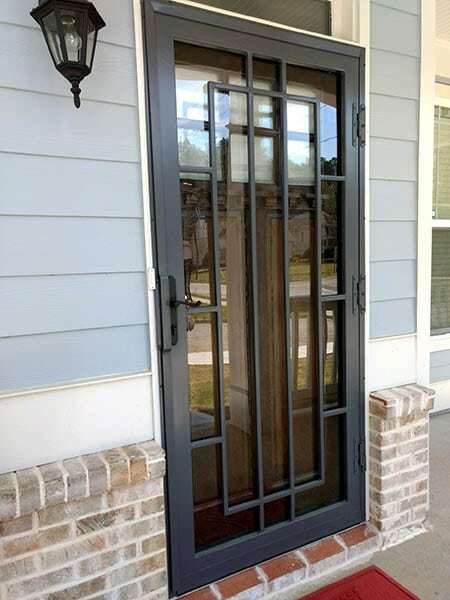 The 16-gauge steel construction offers firmness while the ½-inch solid steel bars add to the reliability of the door. 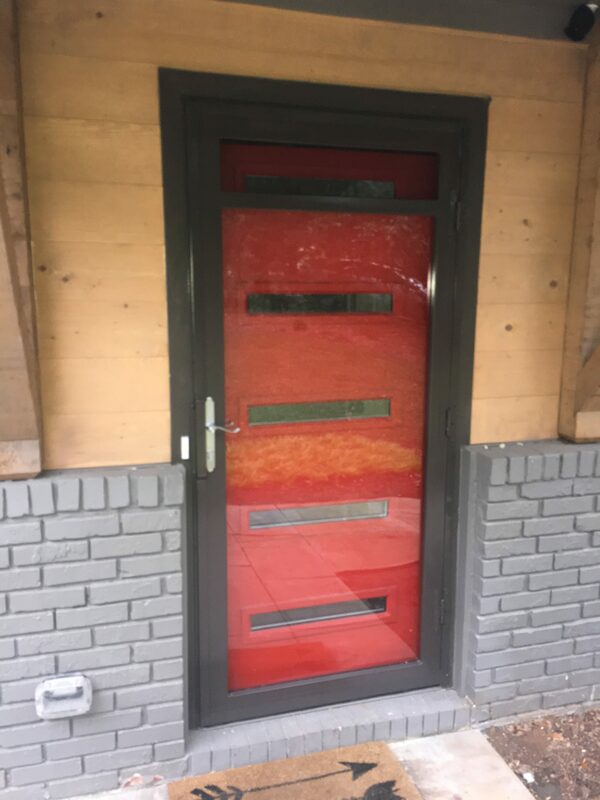 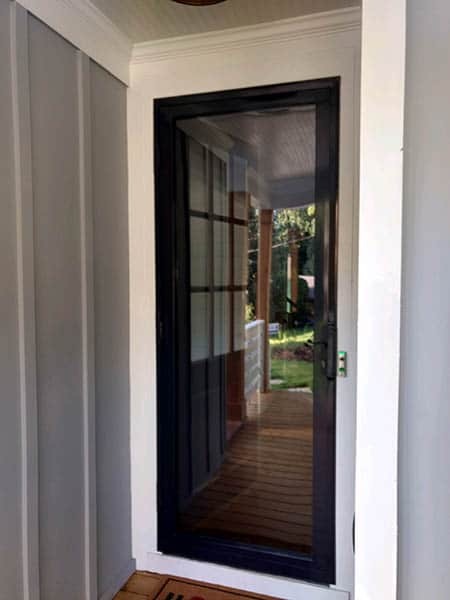 All our single doors are hand crafted to fit perfectly into the openings. 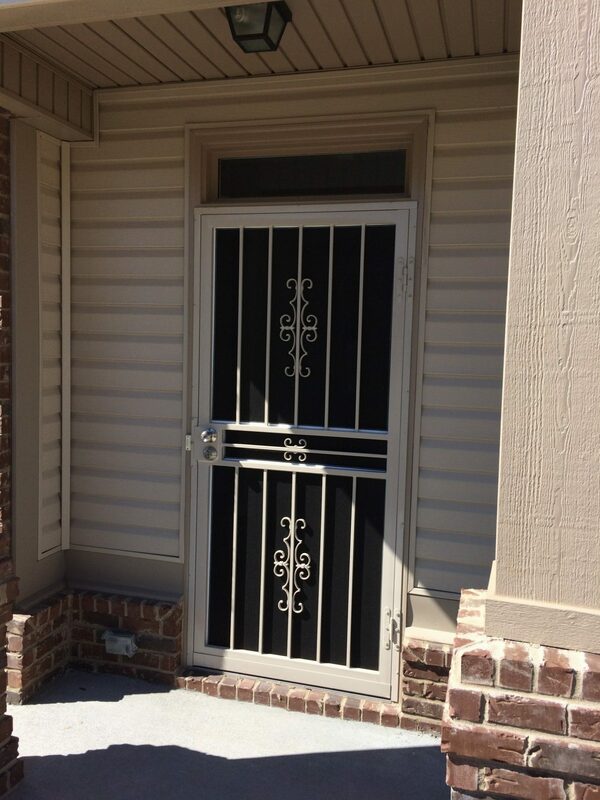 To further elevate security, we use screws and hinges that are resistant to tampering. 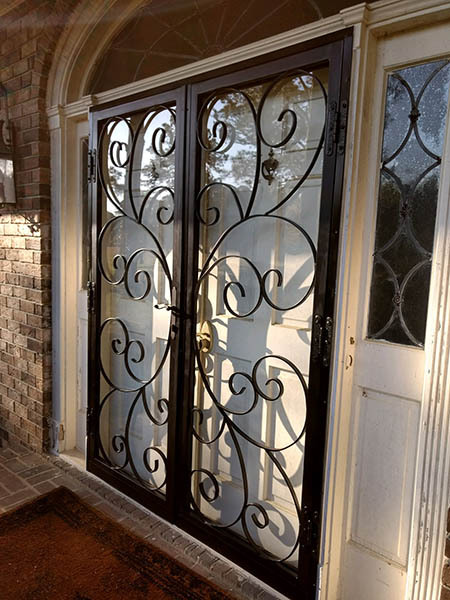 To add to the aesthetic appeal, our doors come in several different lock hardware. 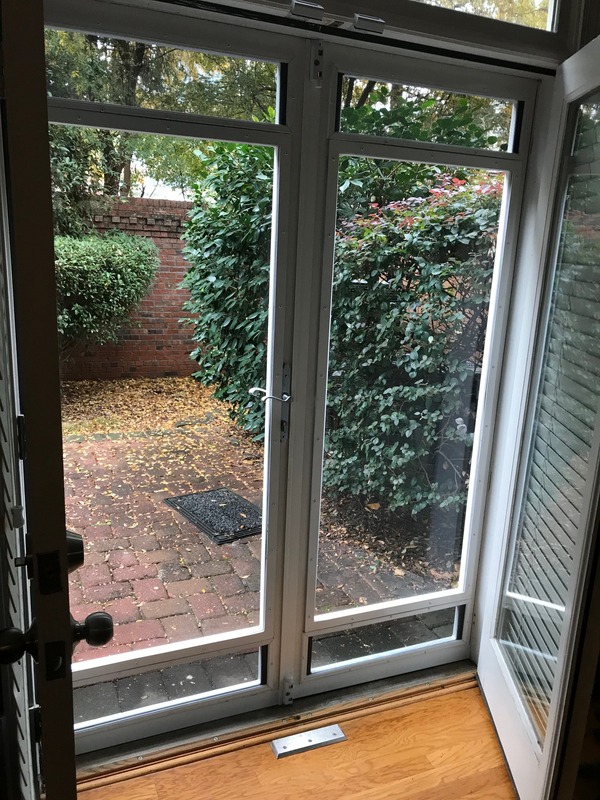 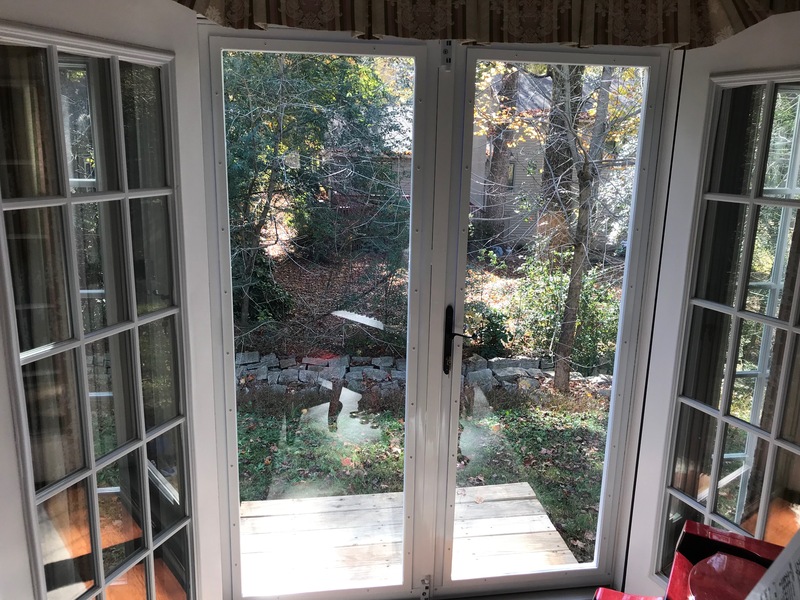 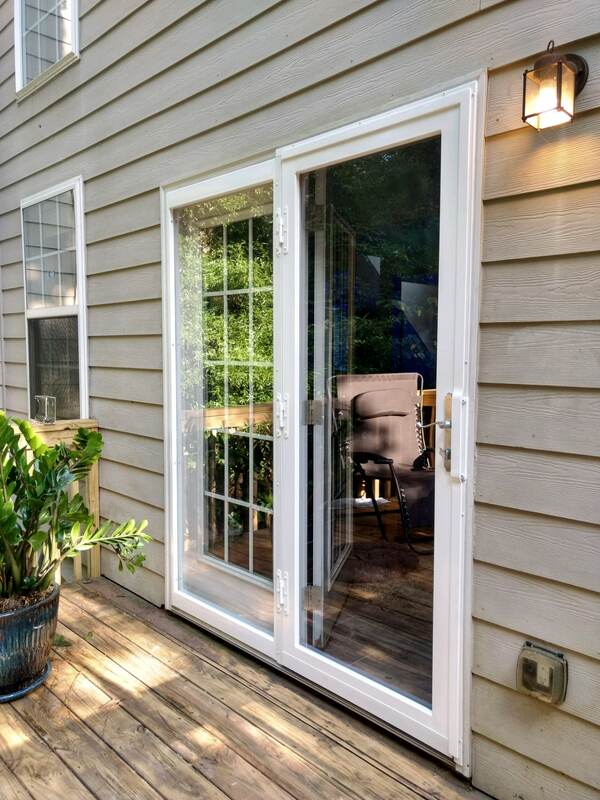 Patio doors are often an easy entrance into your house. 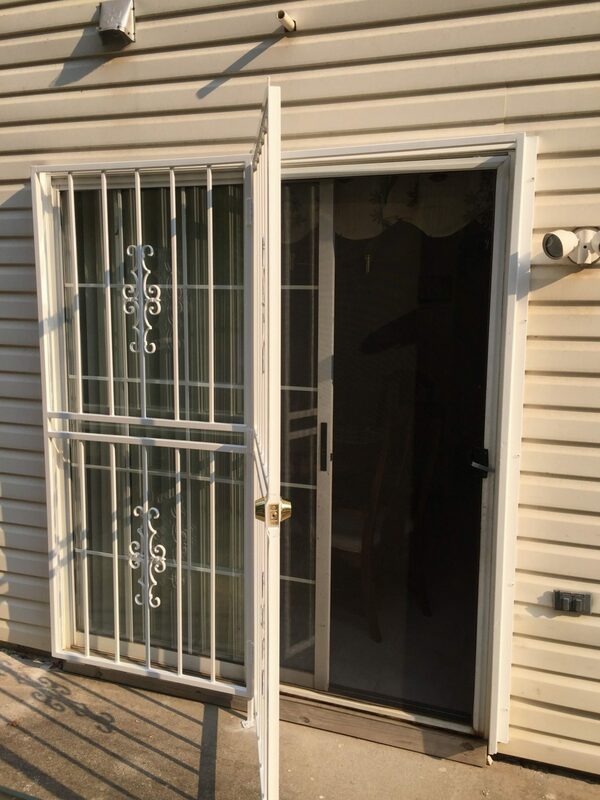 This is why we offer optimum safety features with them. 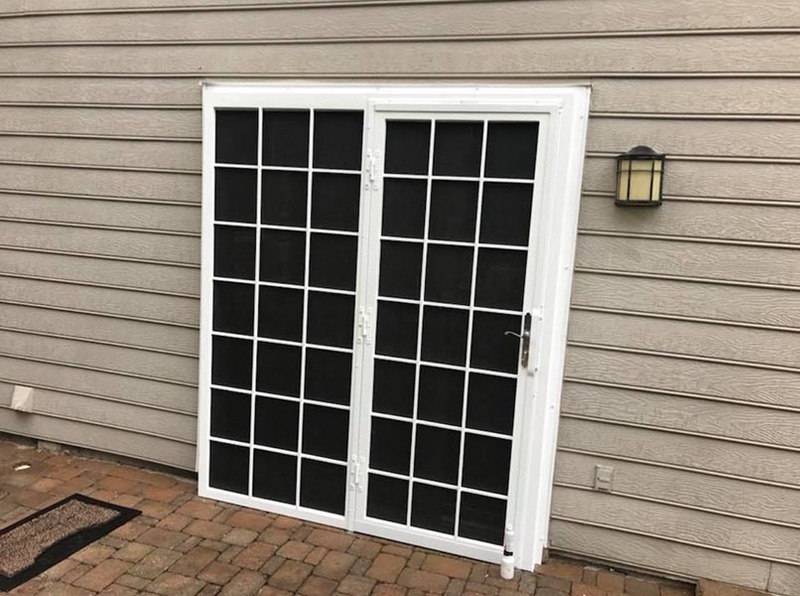 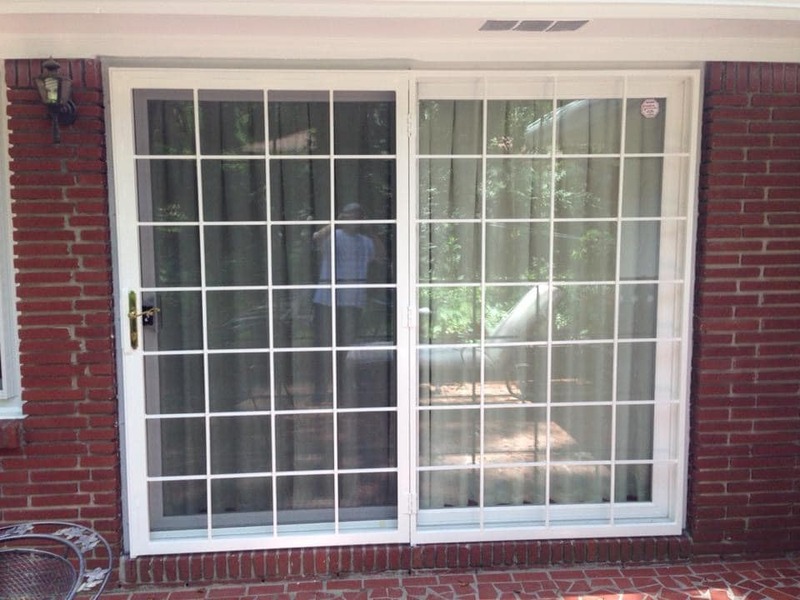 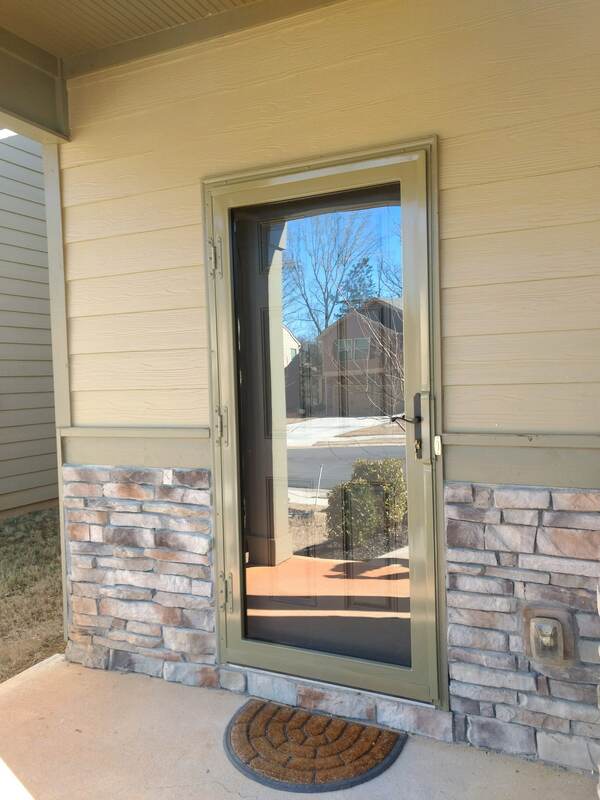 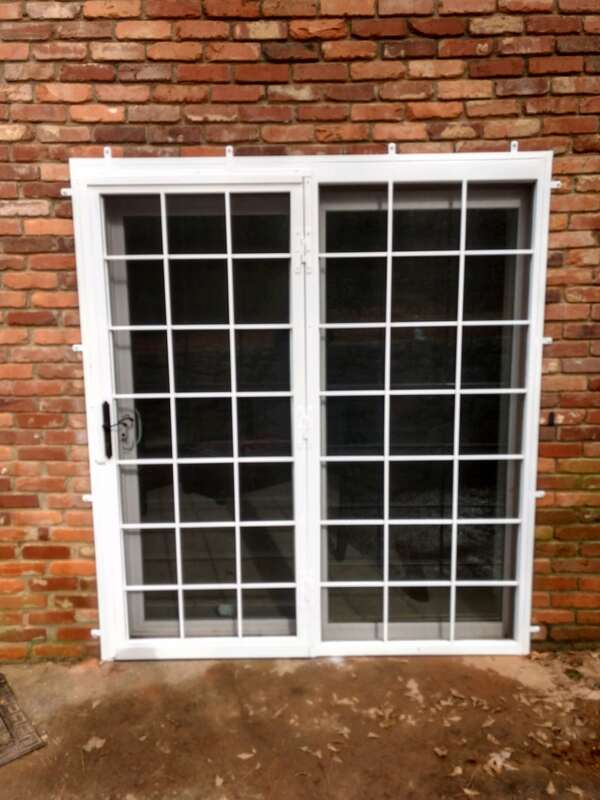 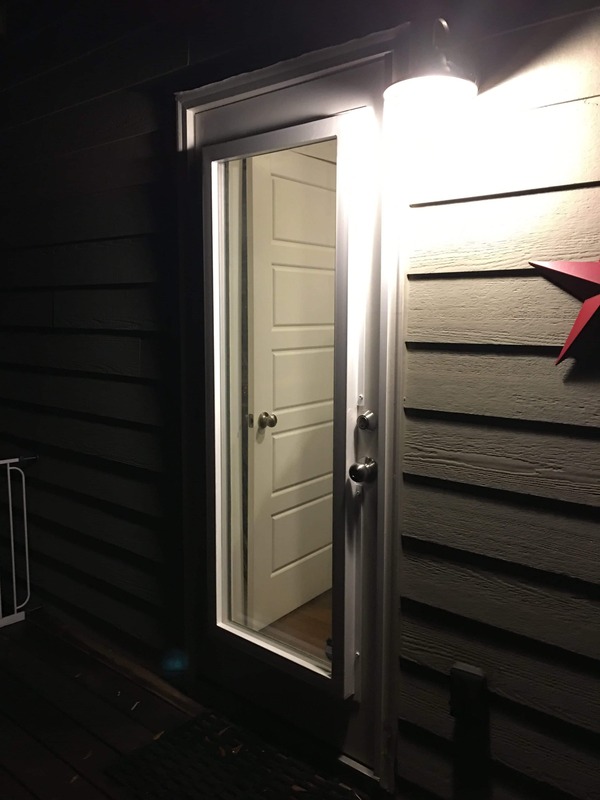 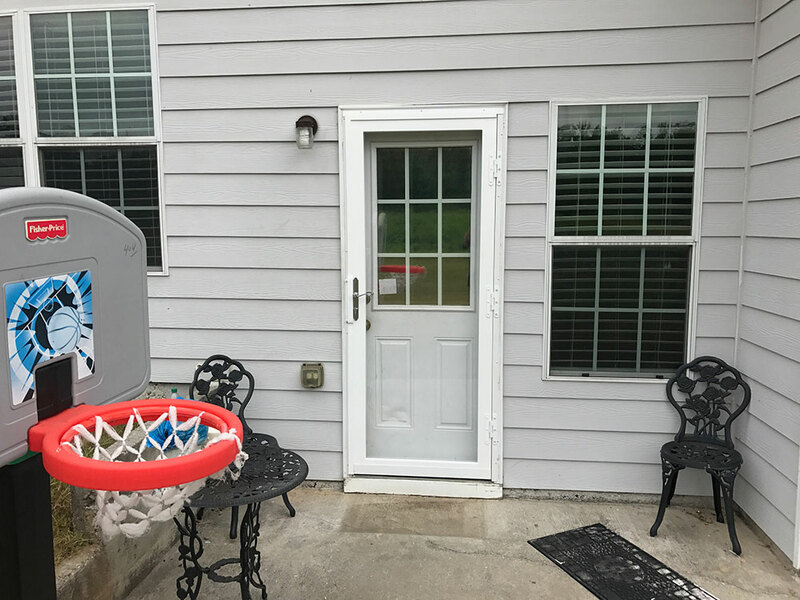 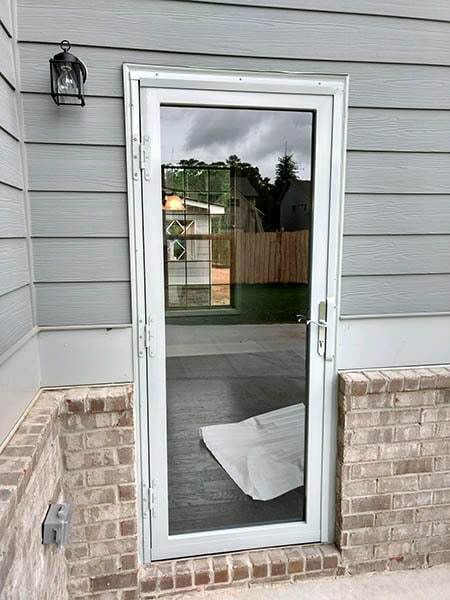 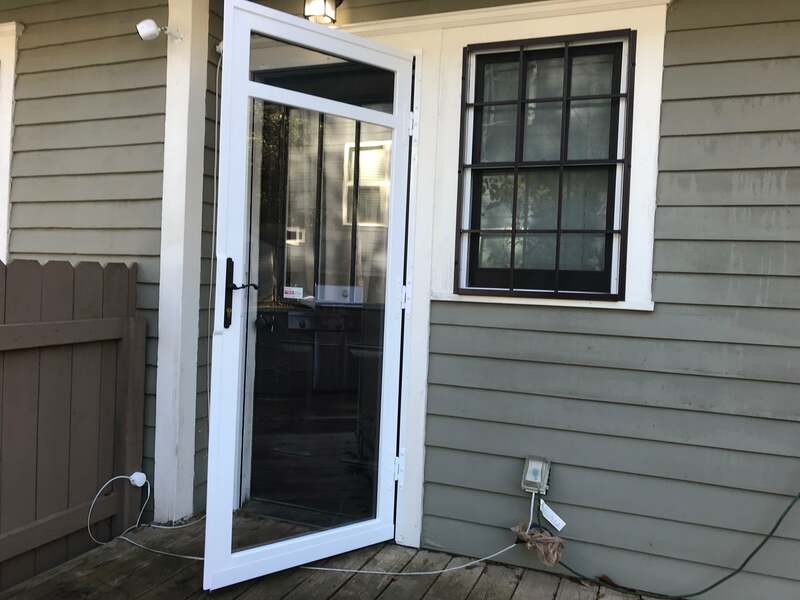 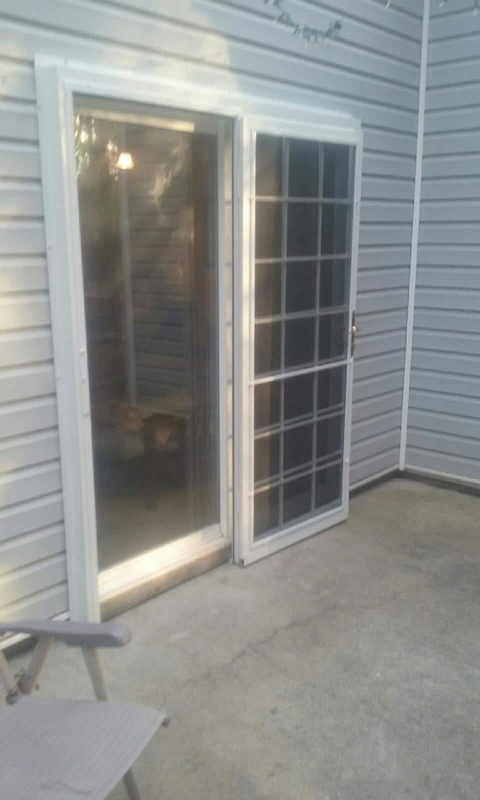 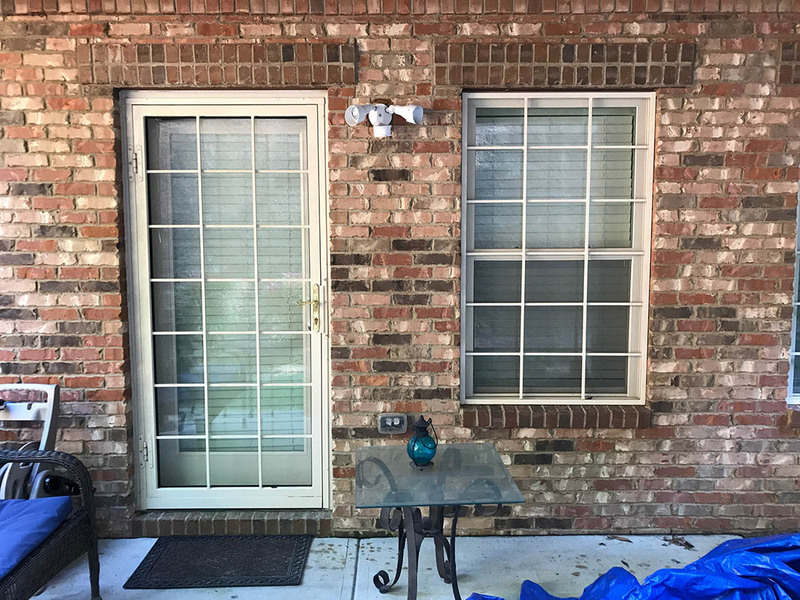 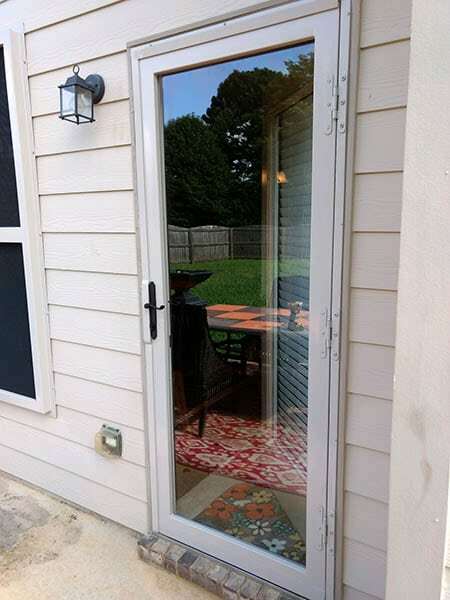 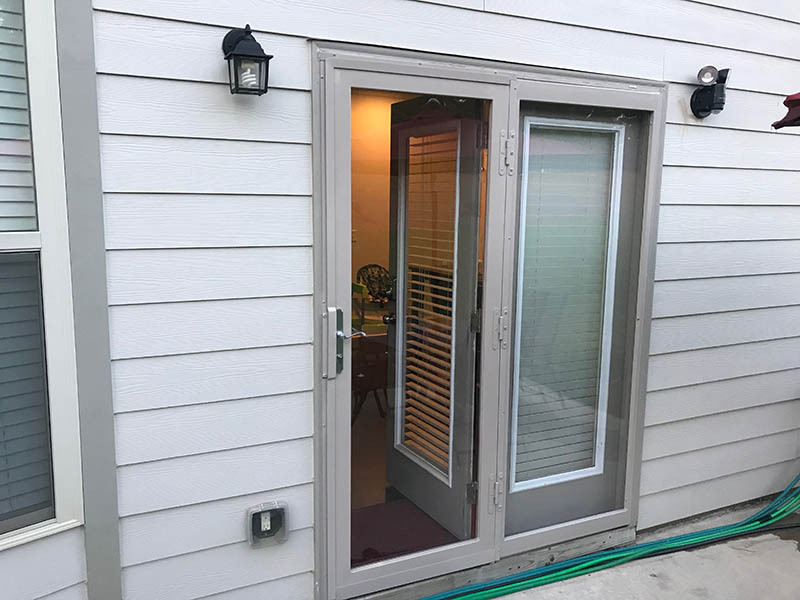 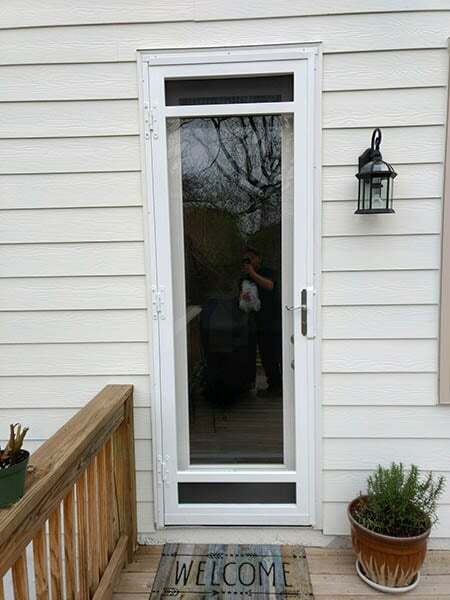 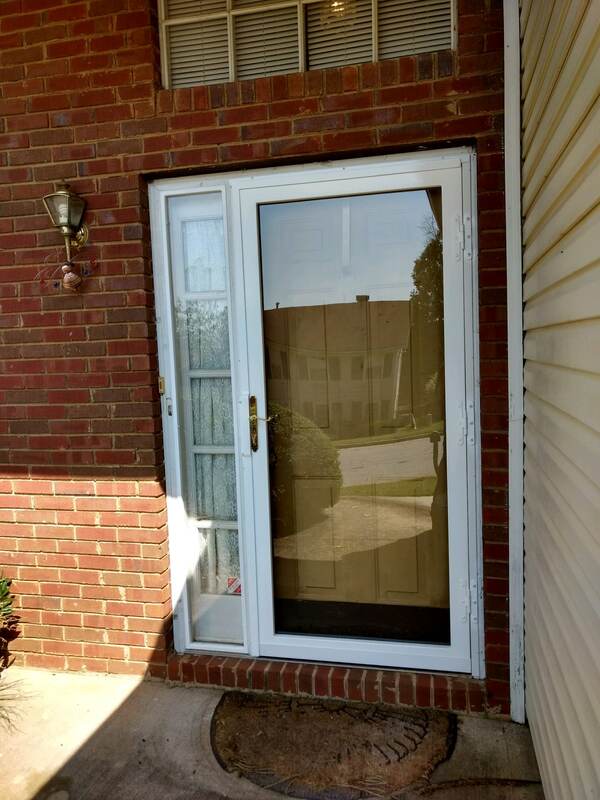 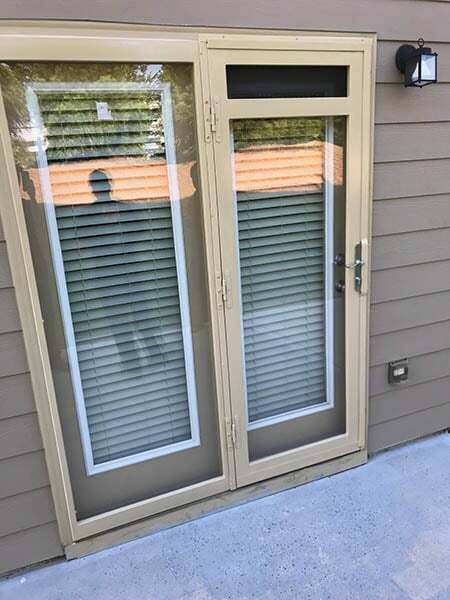 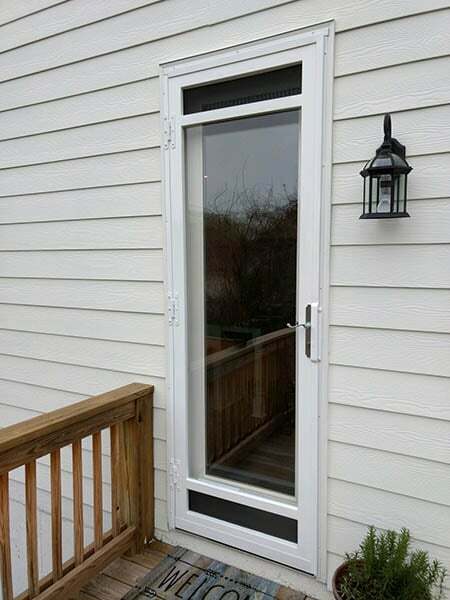 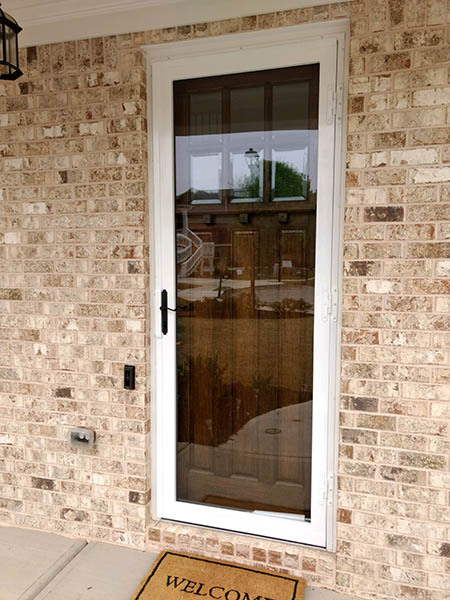 Our patio doors are equipped with a ¼-inch steel pry guard to prevent break-ins. 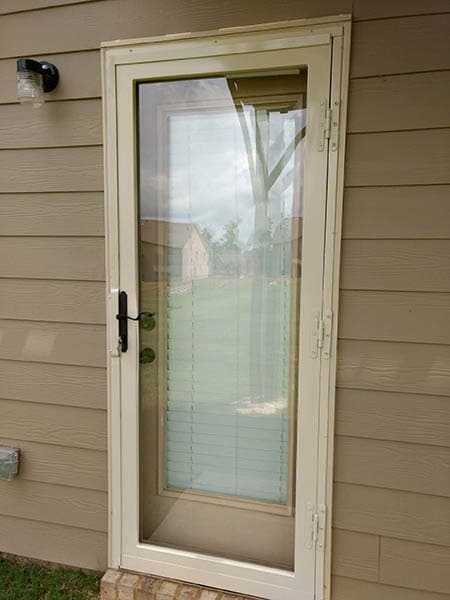 From the top to the entire lock side, this pry guard helps in keeping the patio door safe. 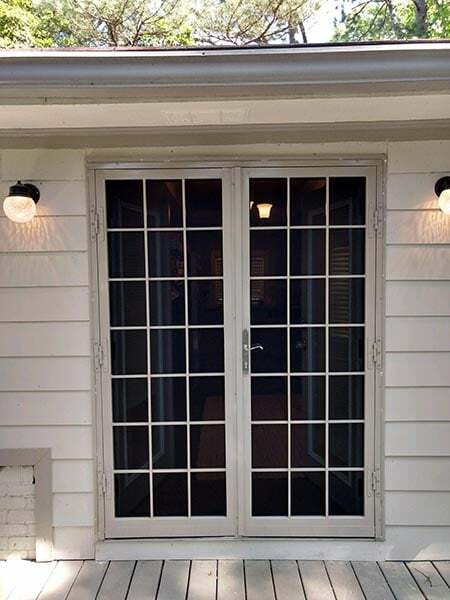 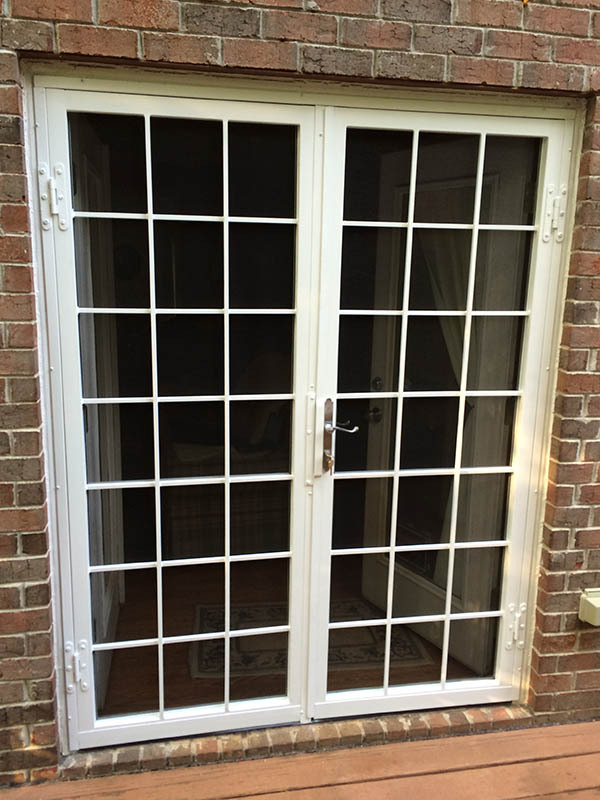 French doors add a touch of class to your home. 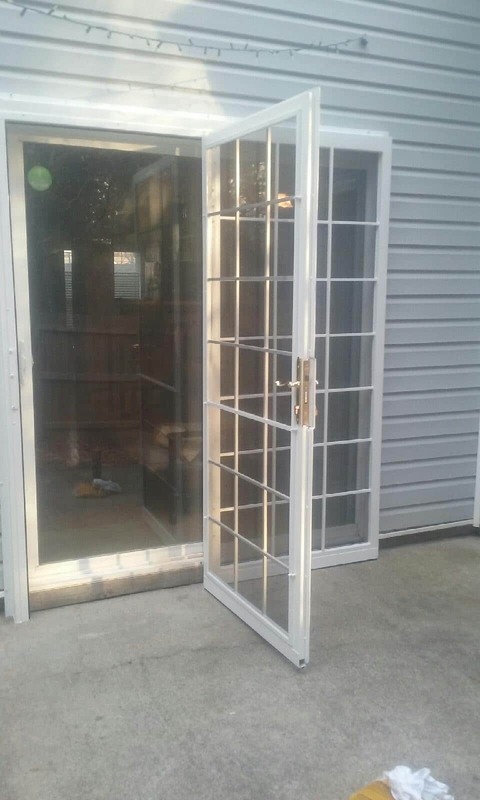 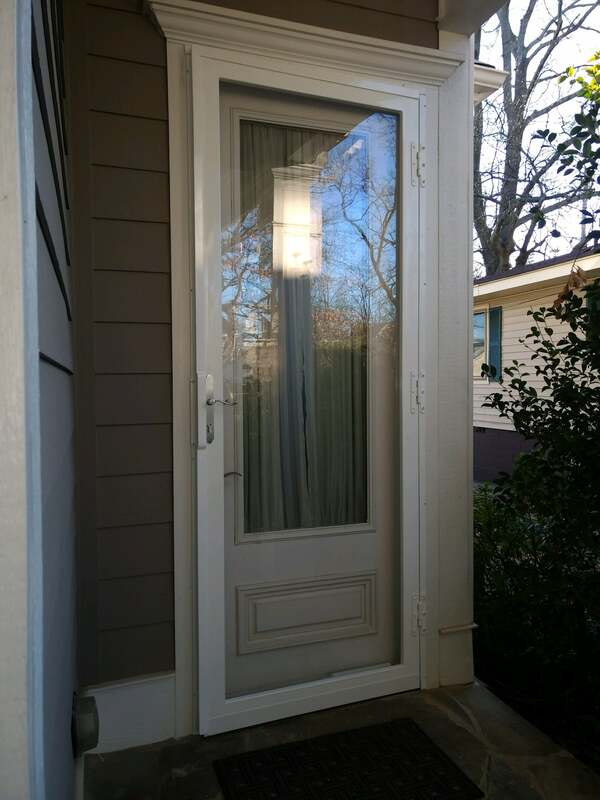 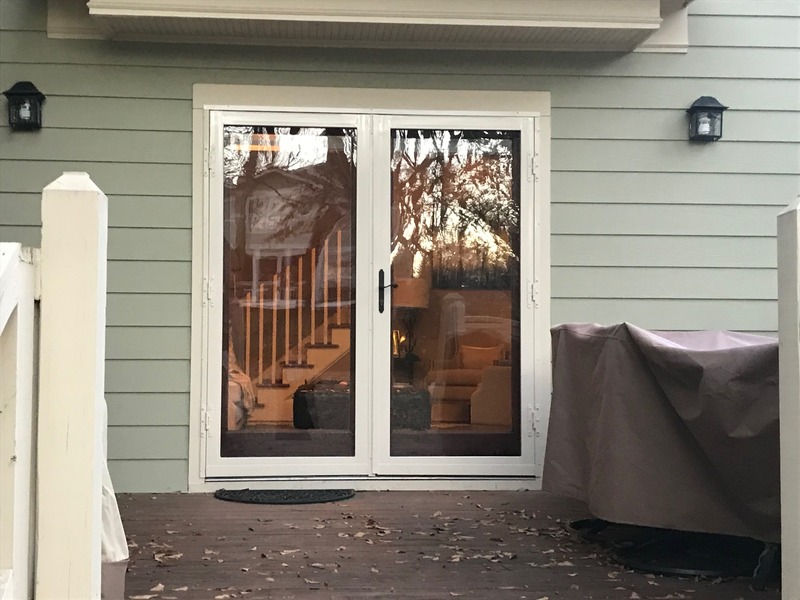 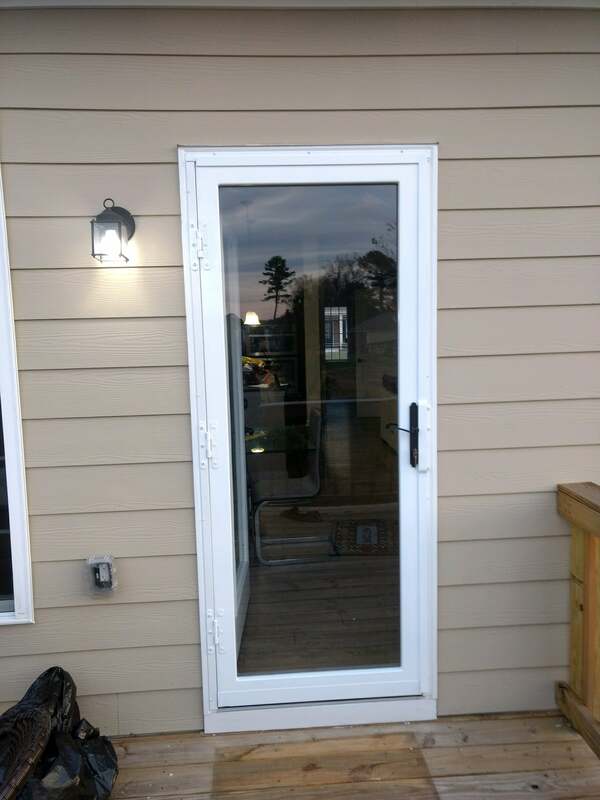 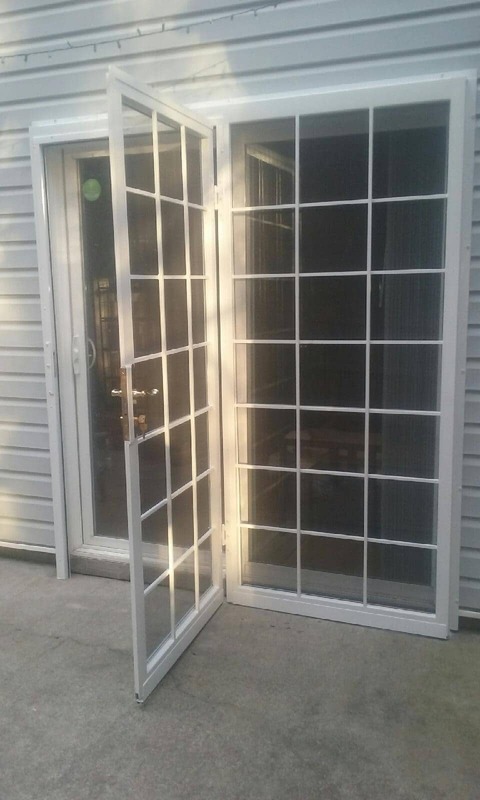 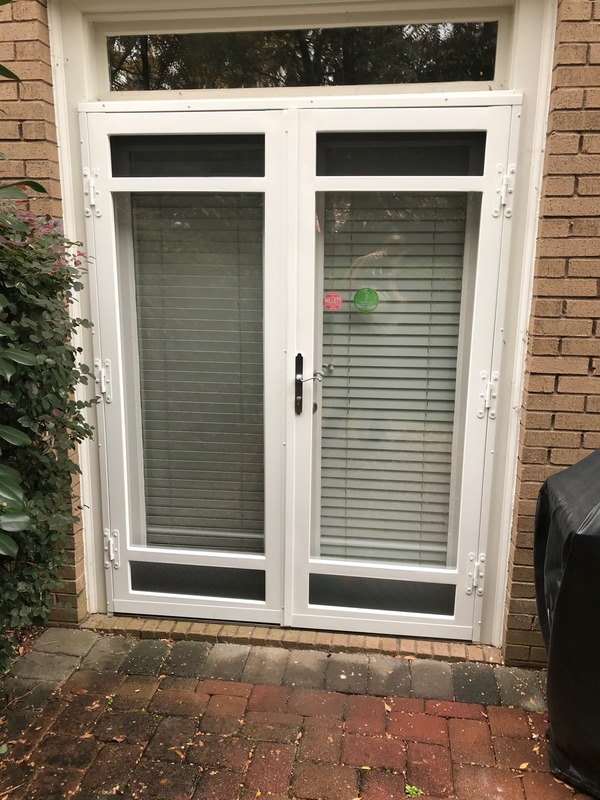 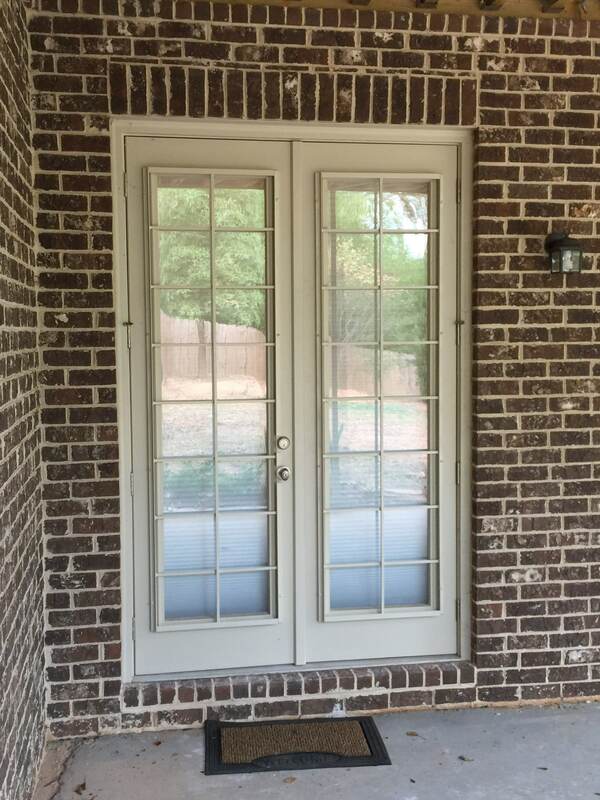 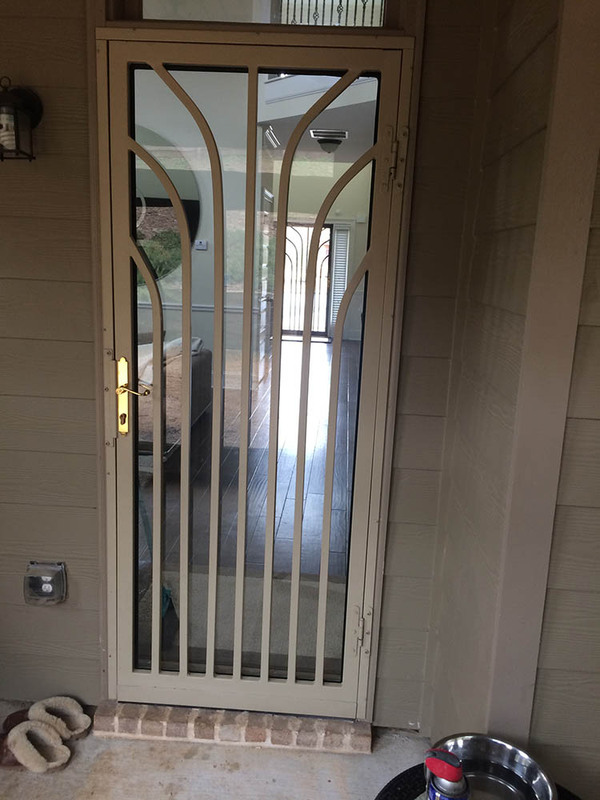 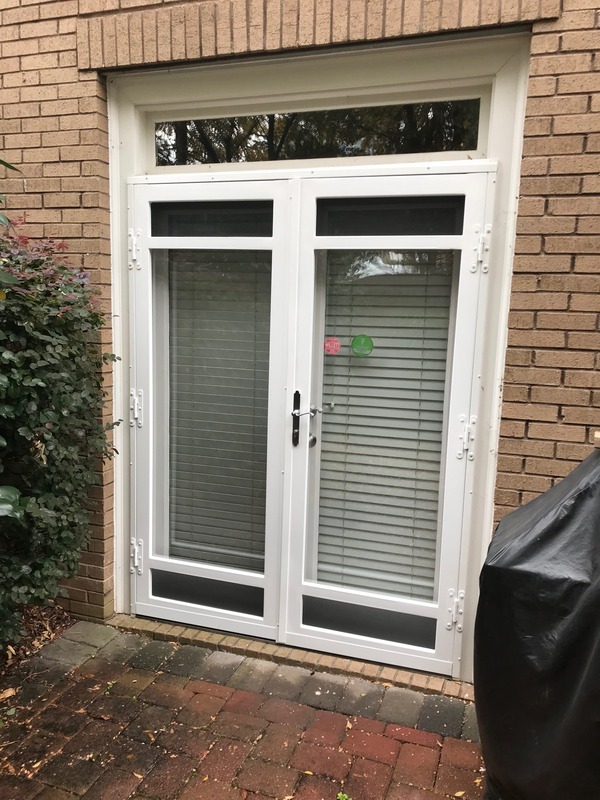 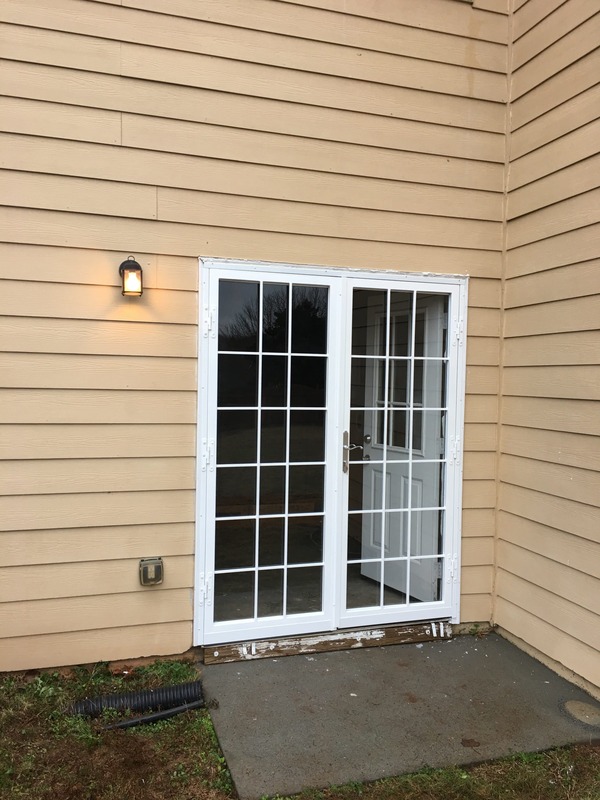 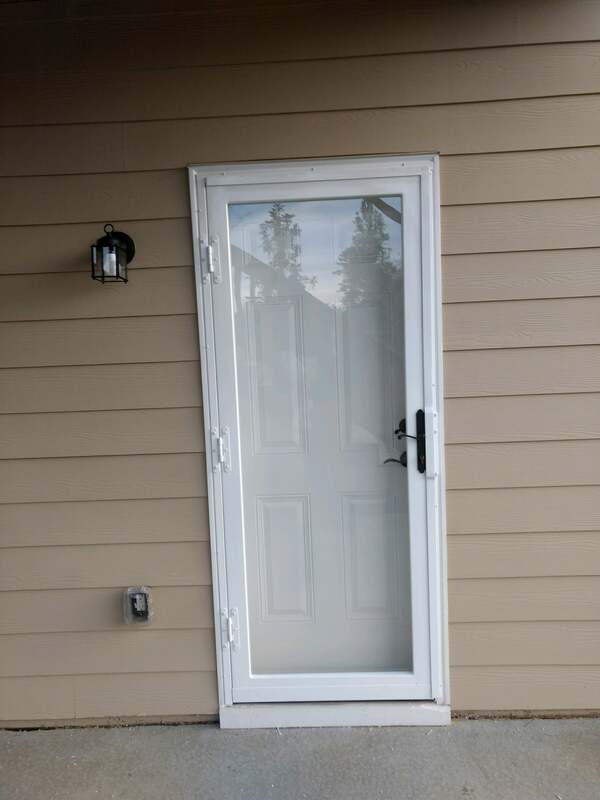 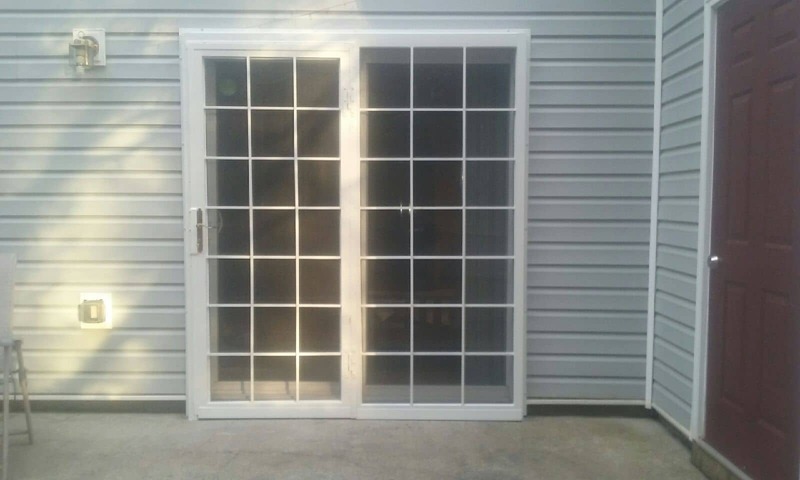 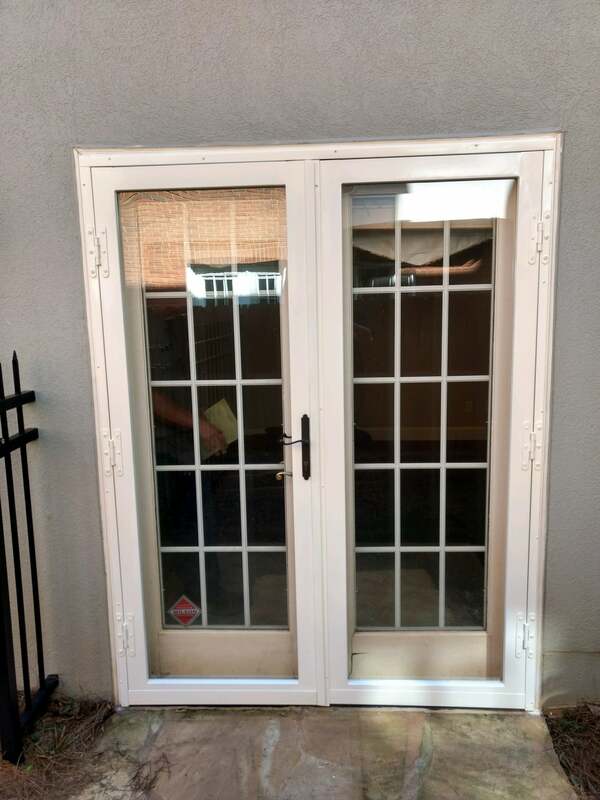 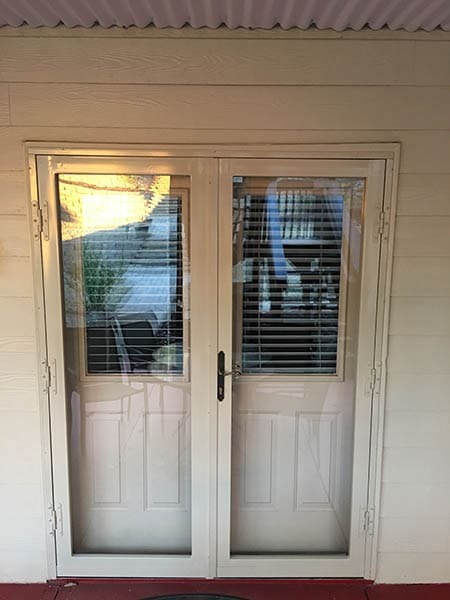 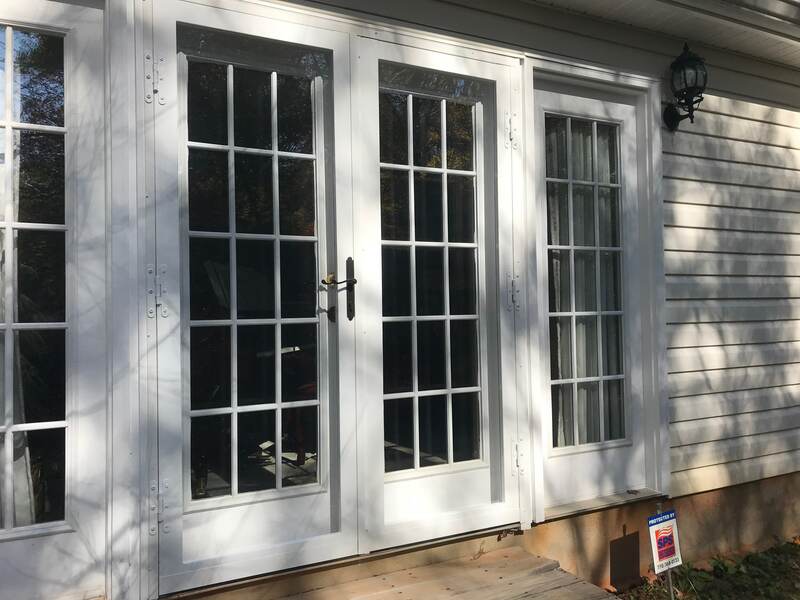 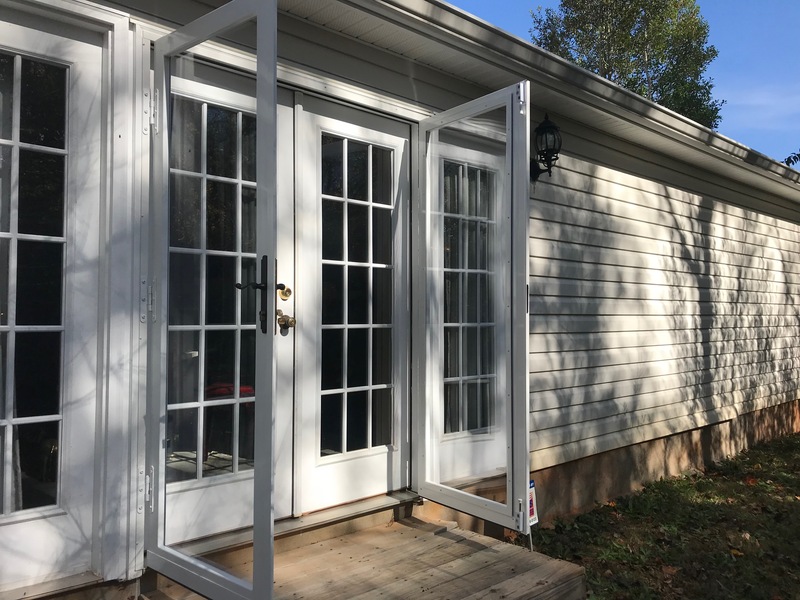 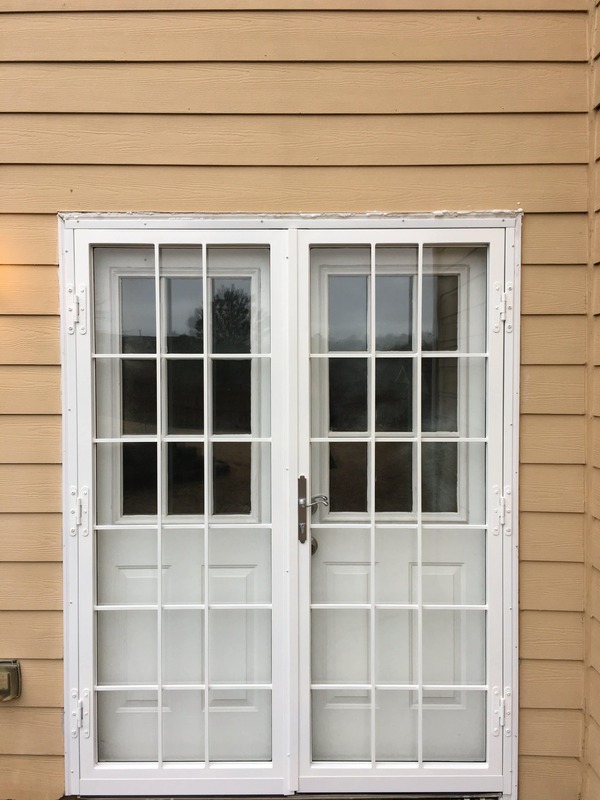 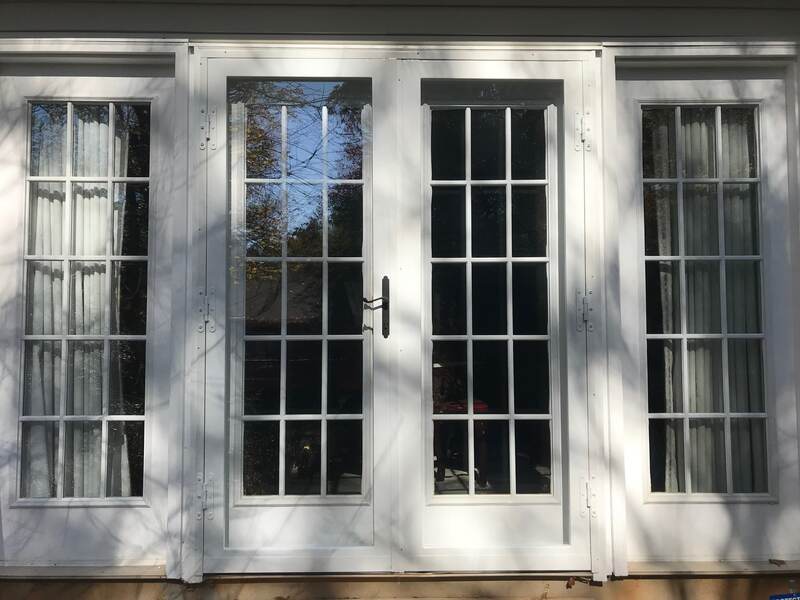 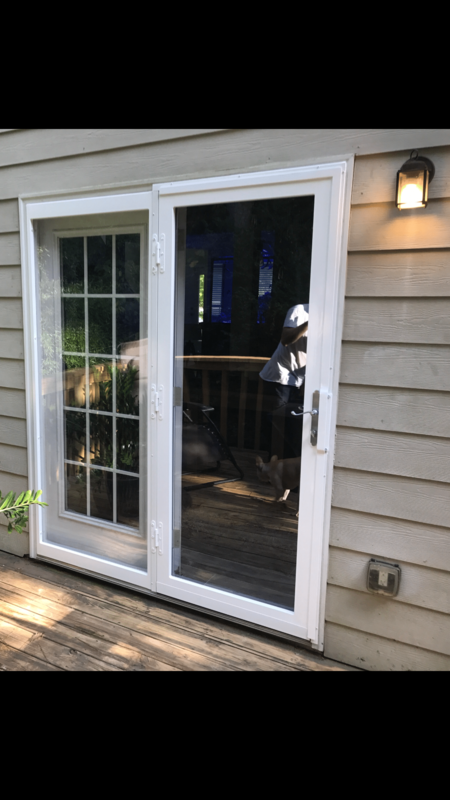 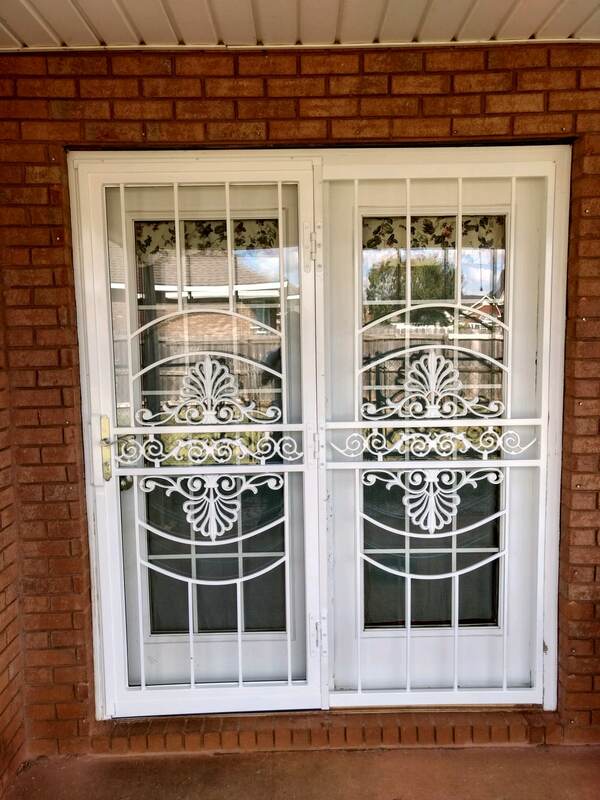 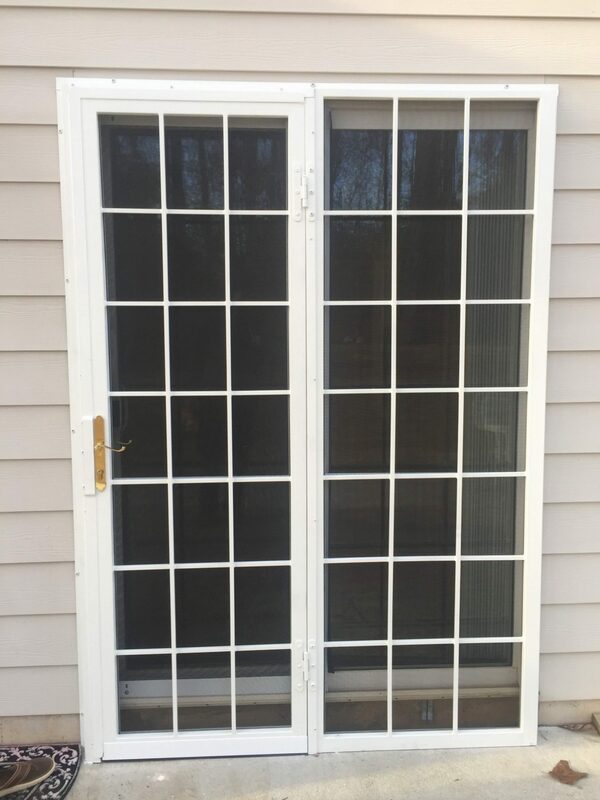 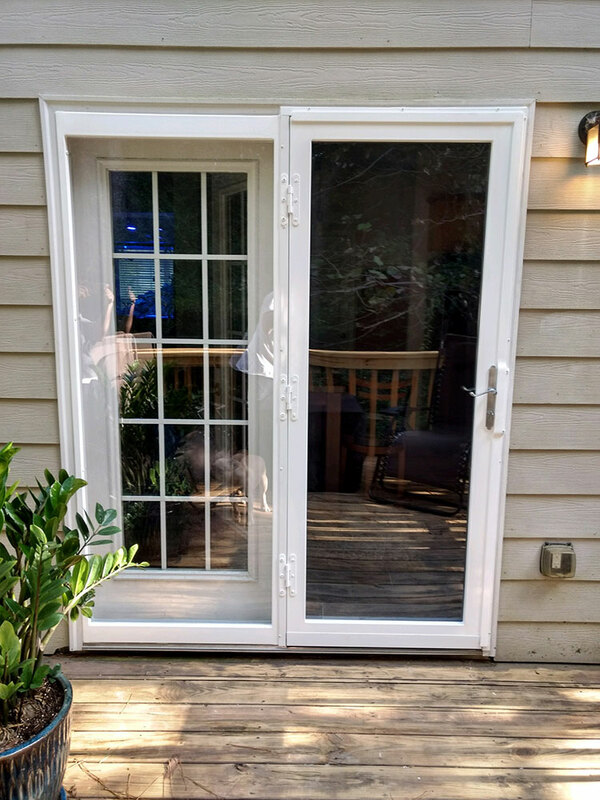 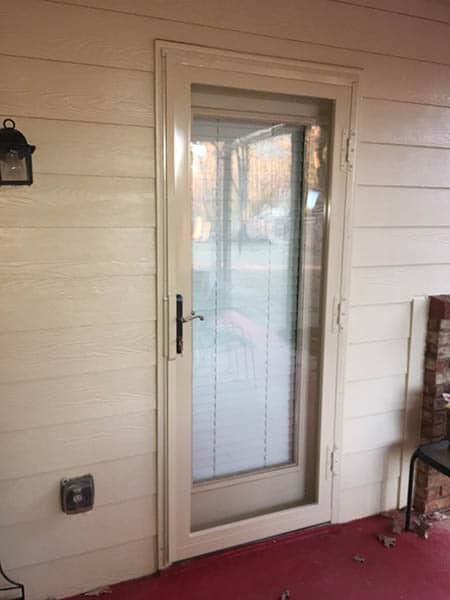 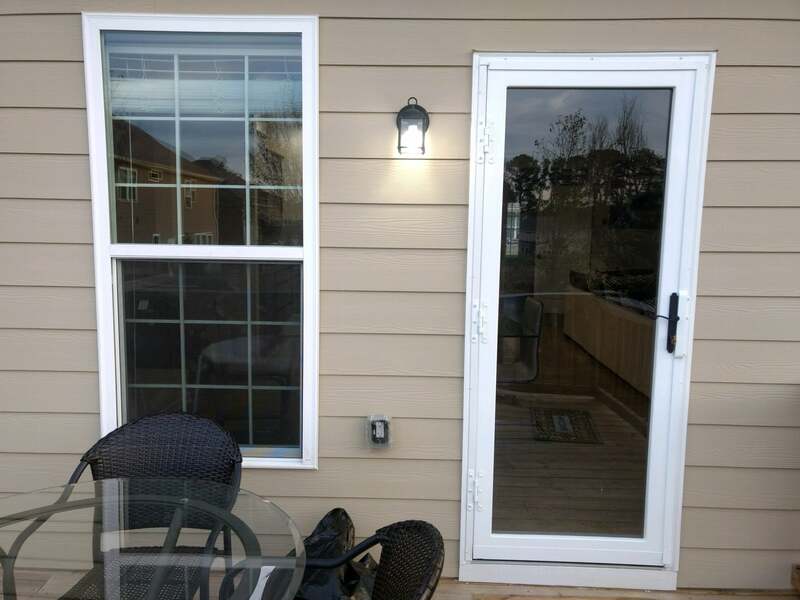 We further add certain security features to it that make our French doors complete. 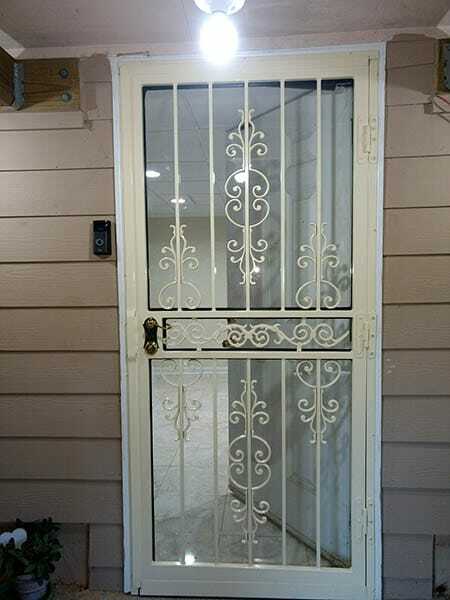 We install heavy duty security side bolts on the stationary door so breaking in, simply doesn’t remain a possibility. 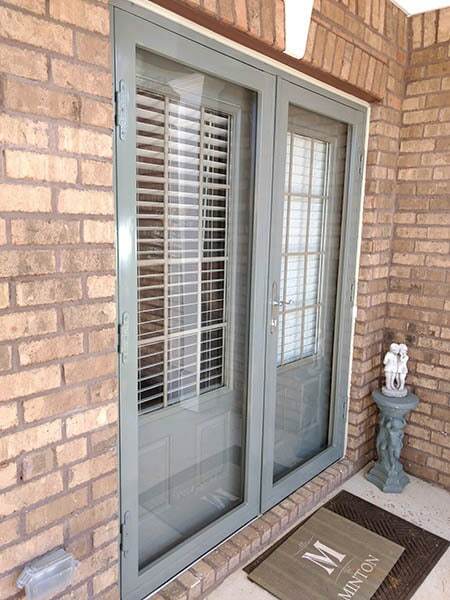 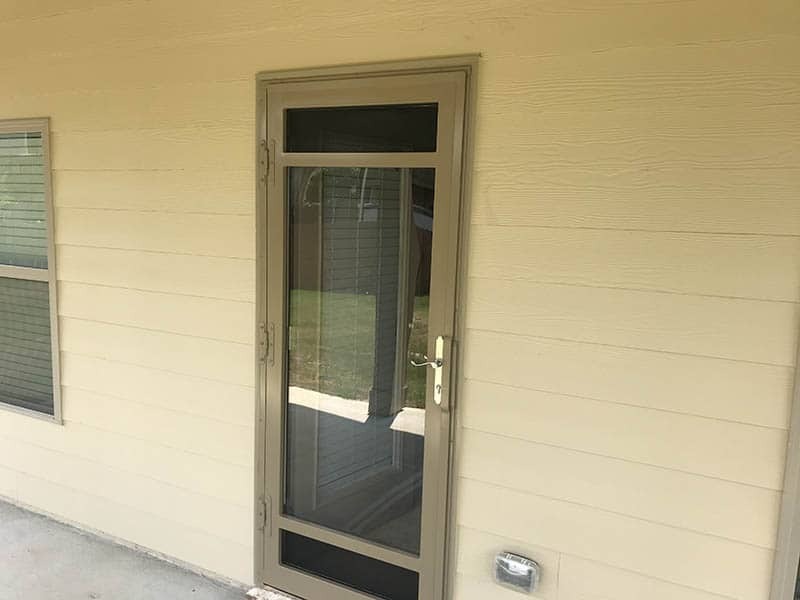 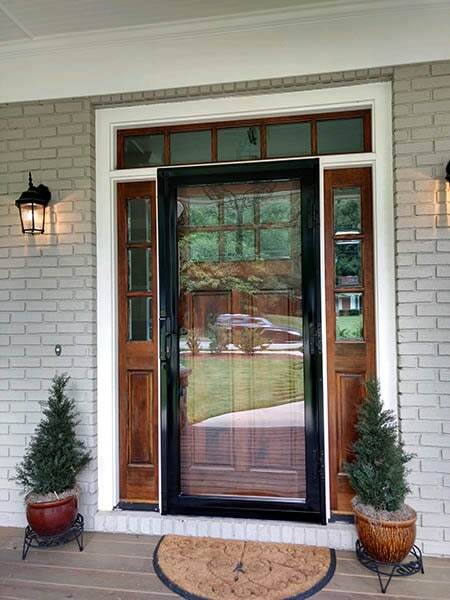 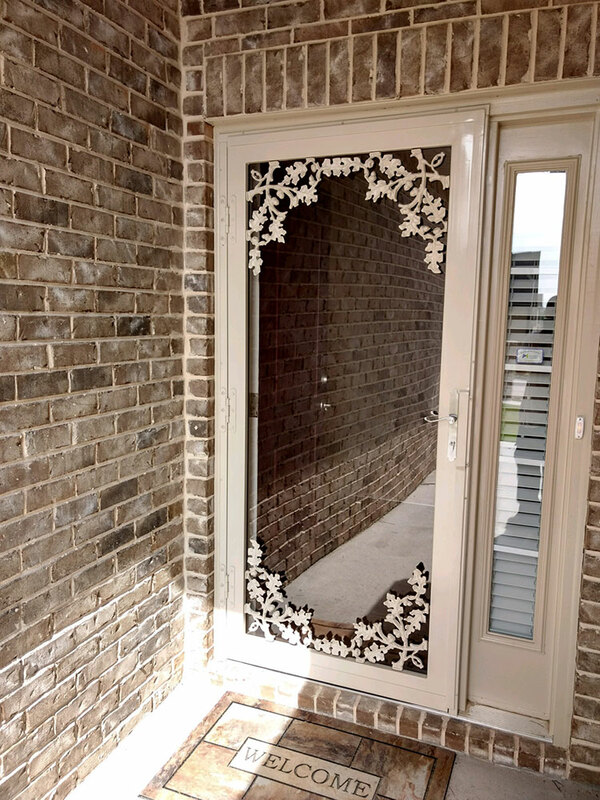 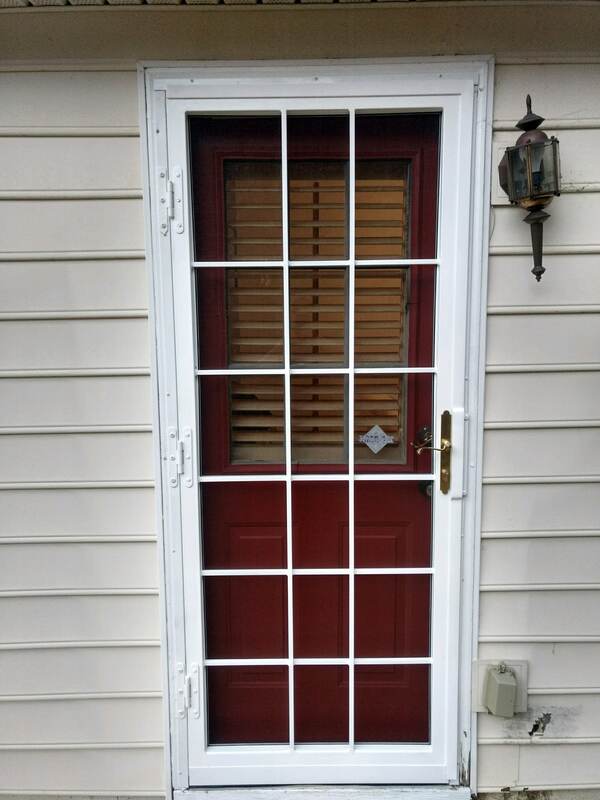 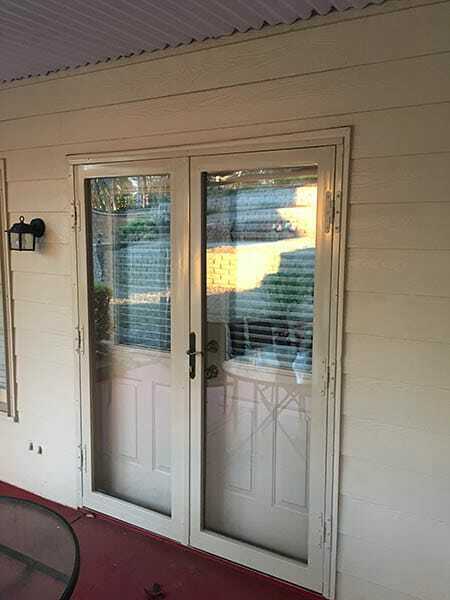 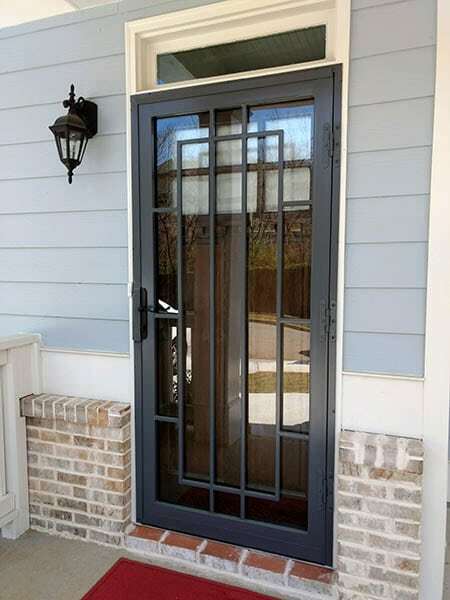 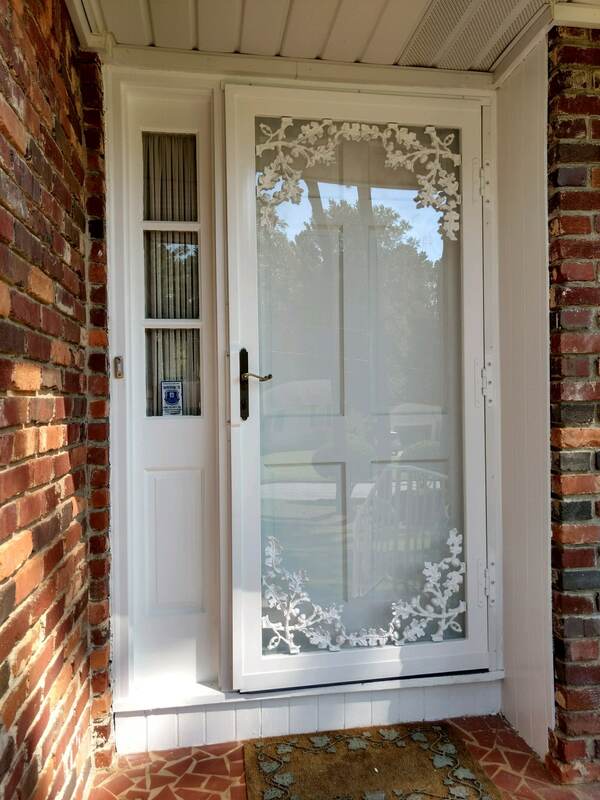 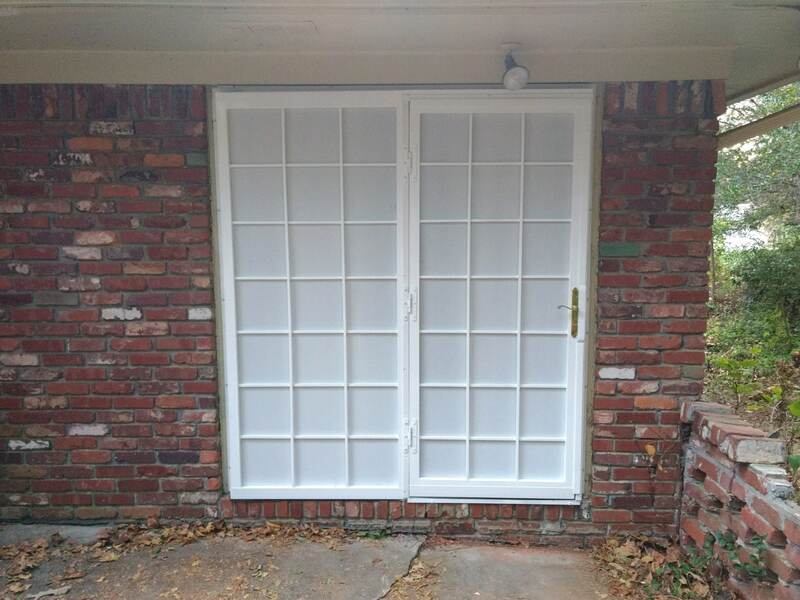 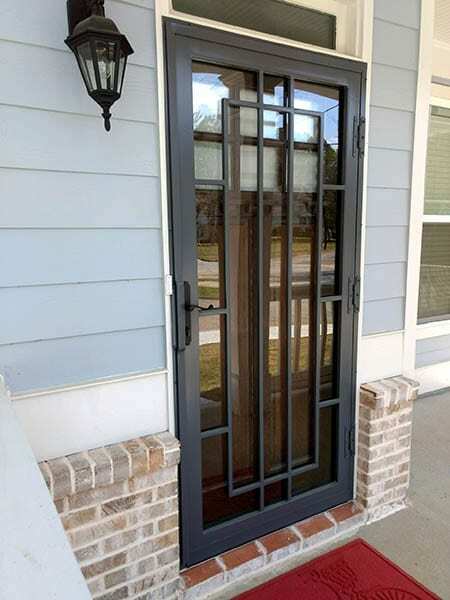 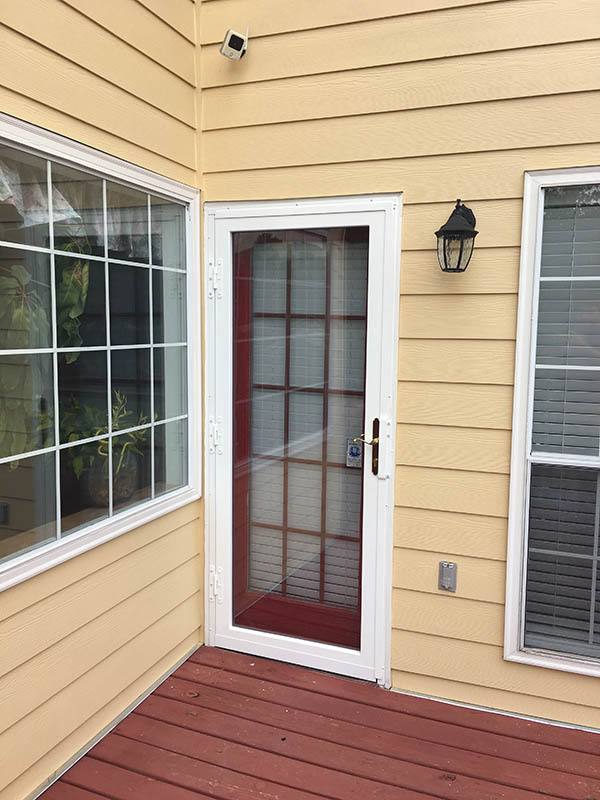 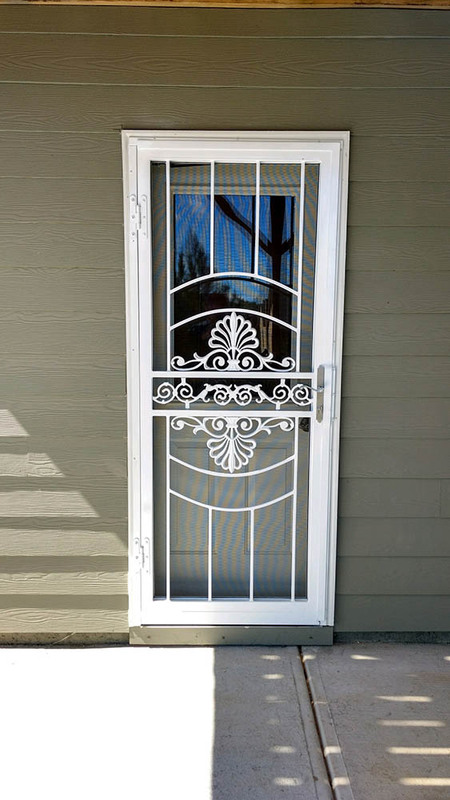 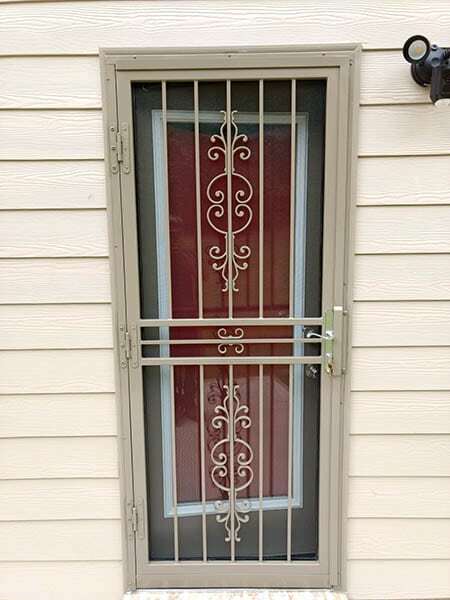 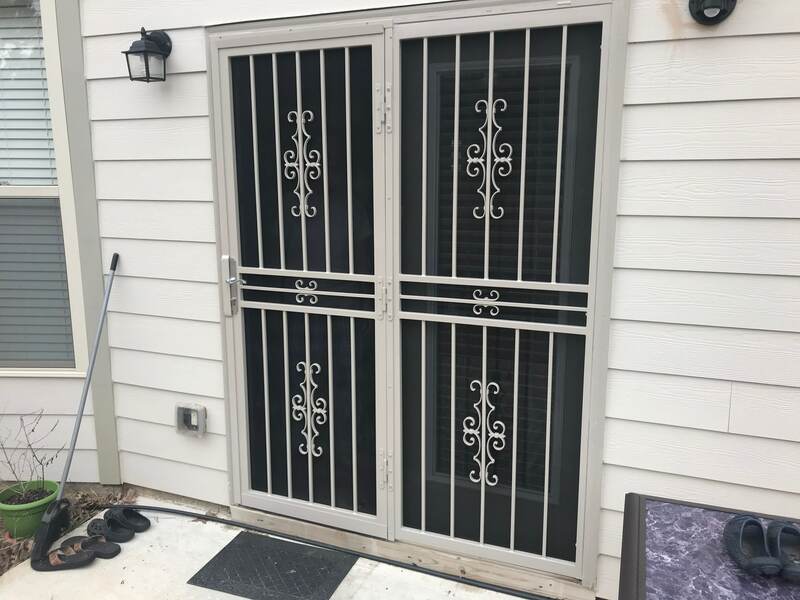 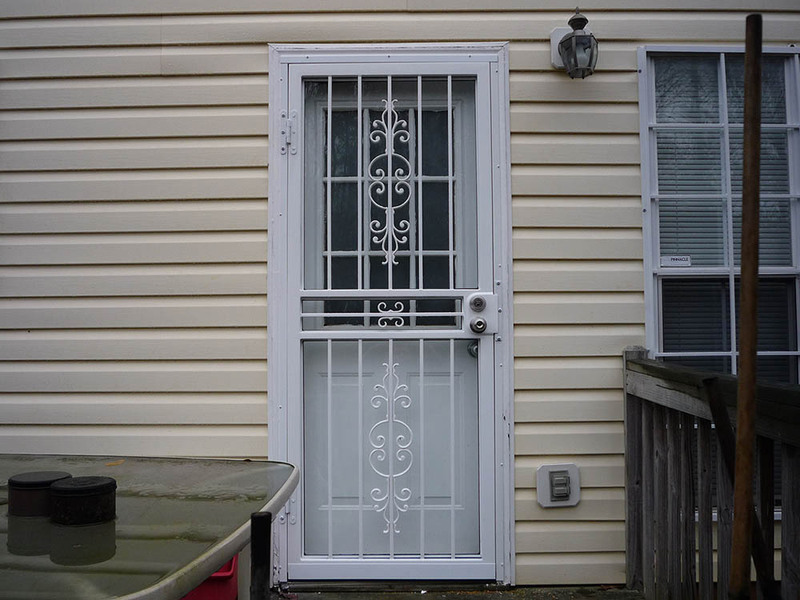 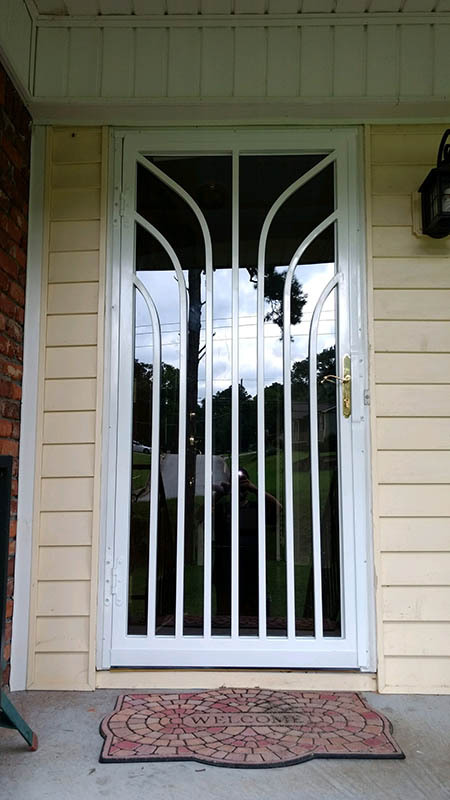 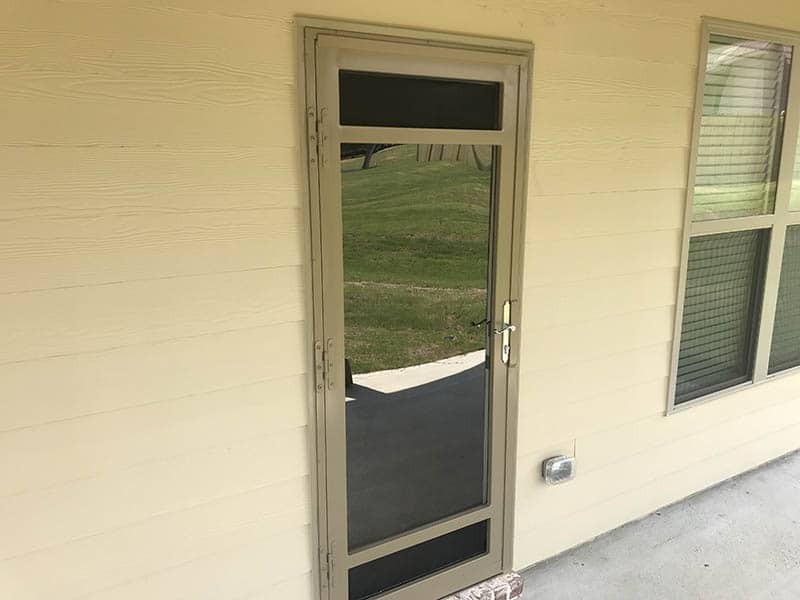 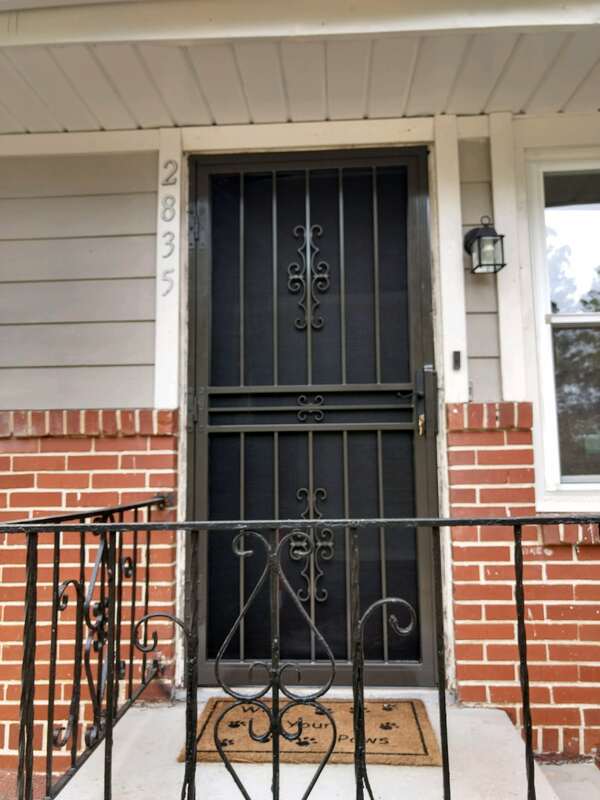 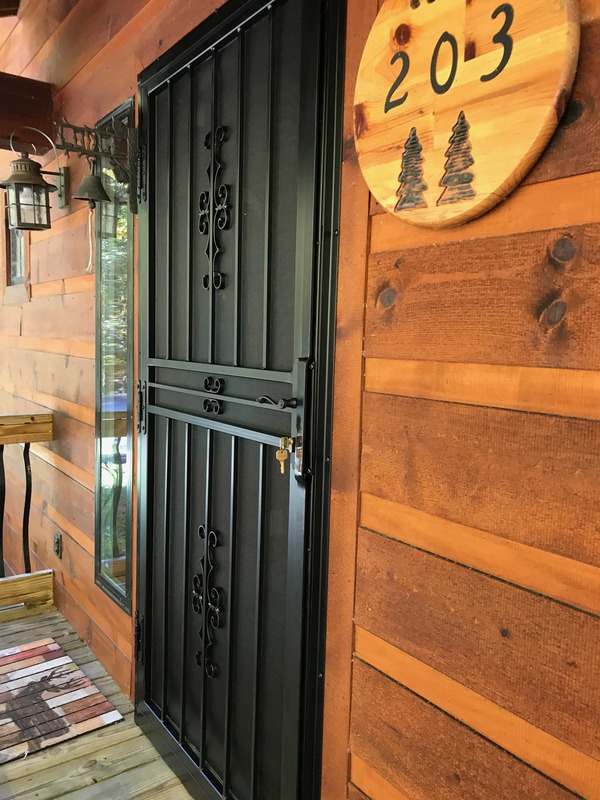 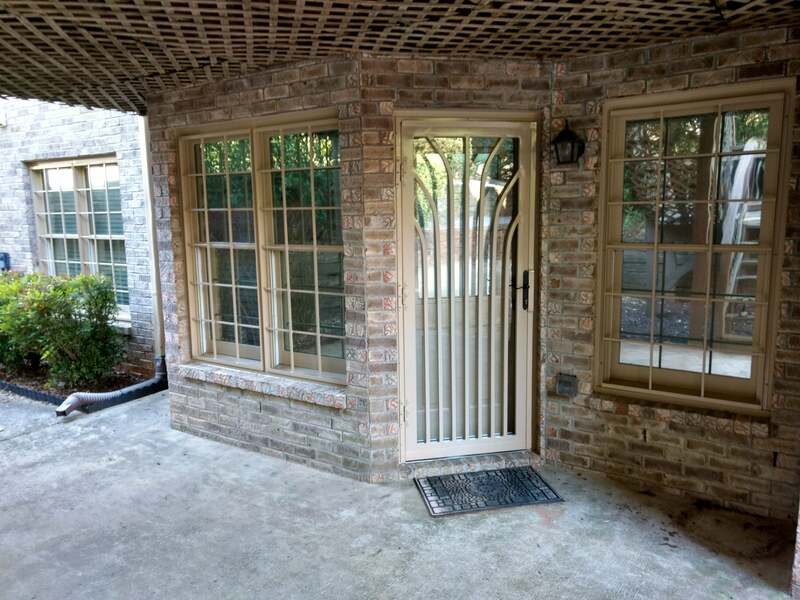 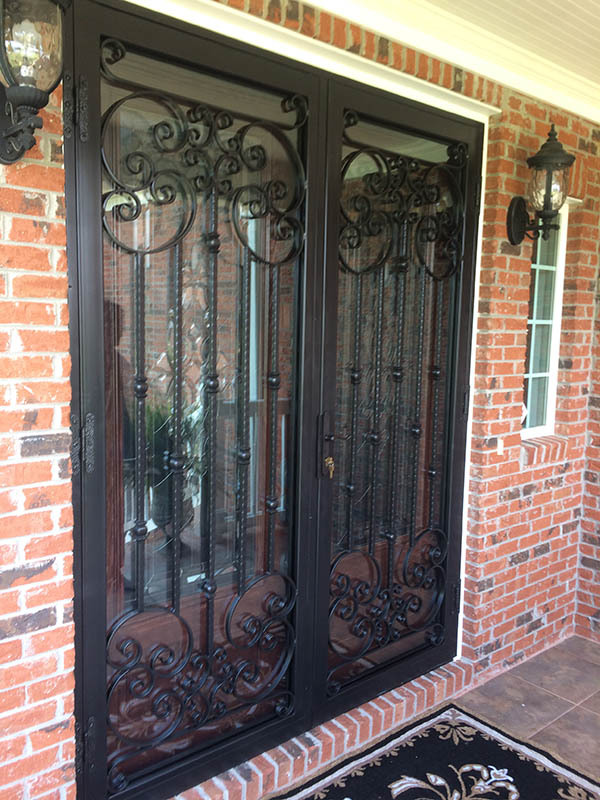 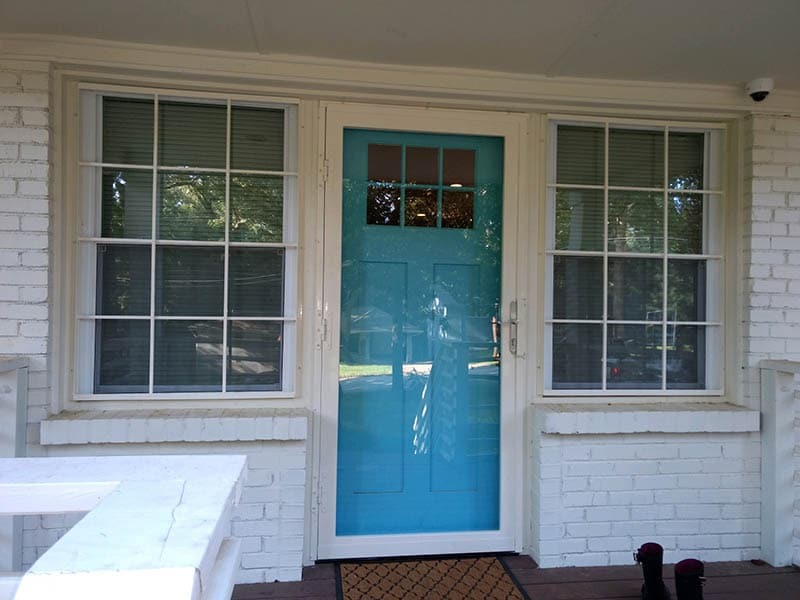 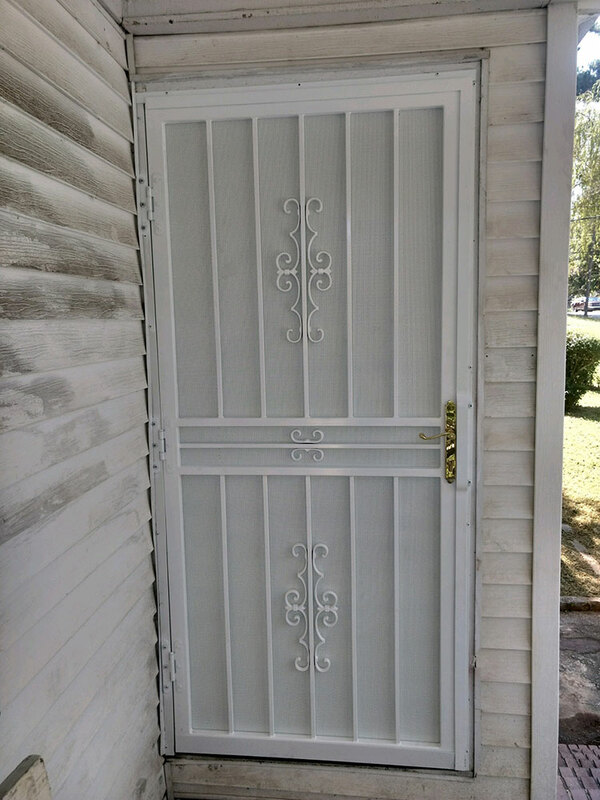 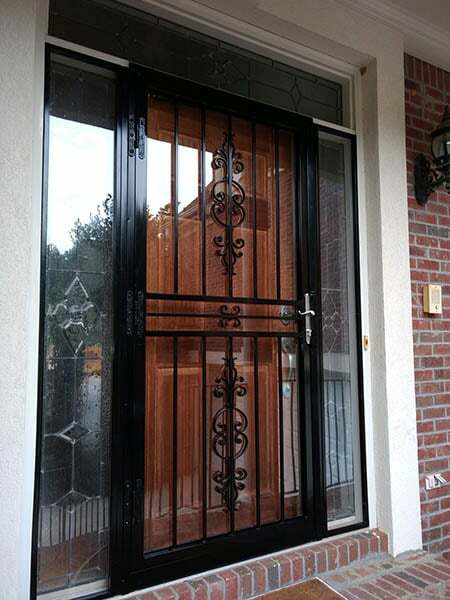 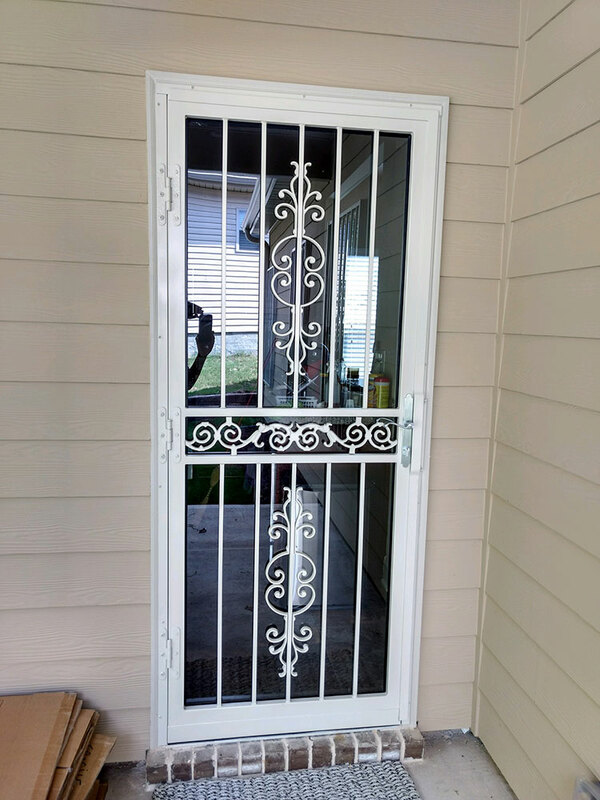 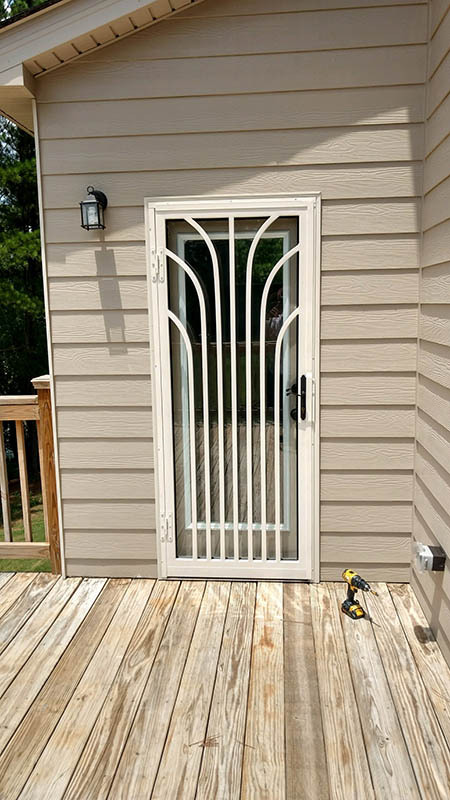 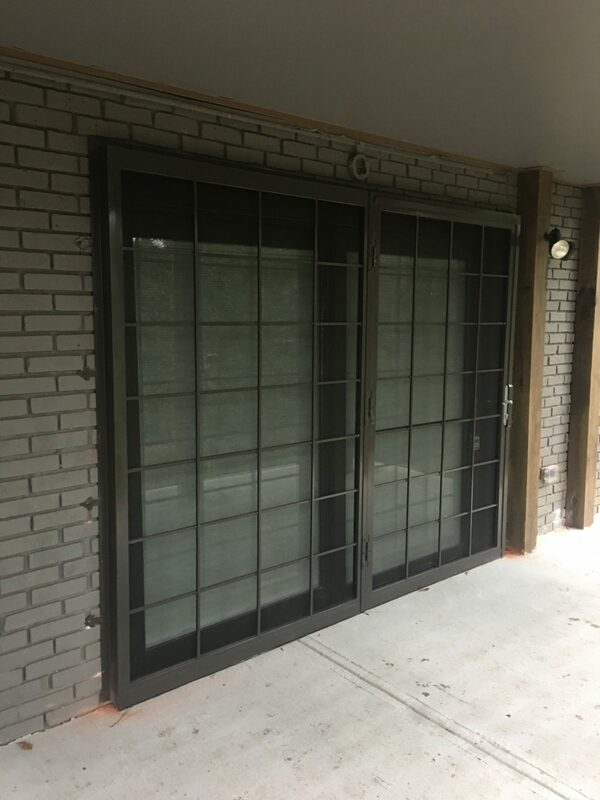 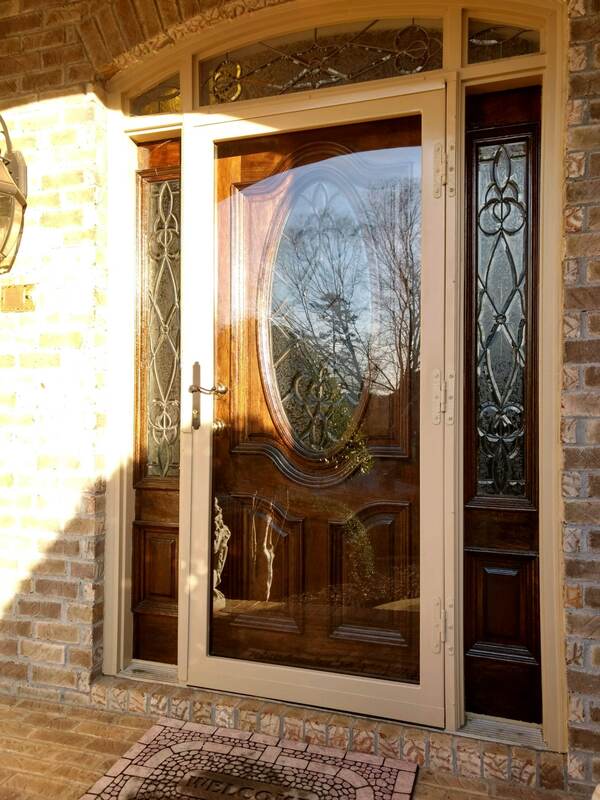 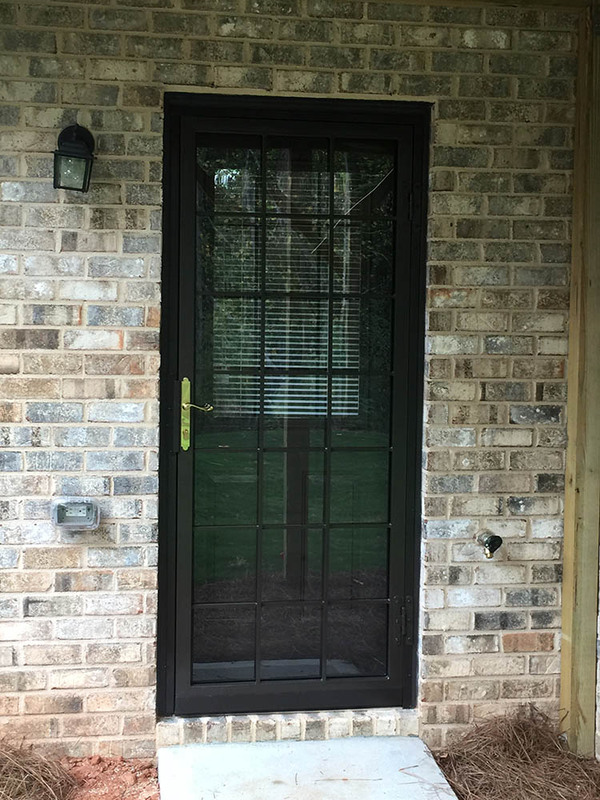 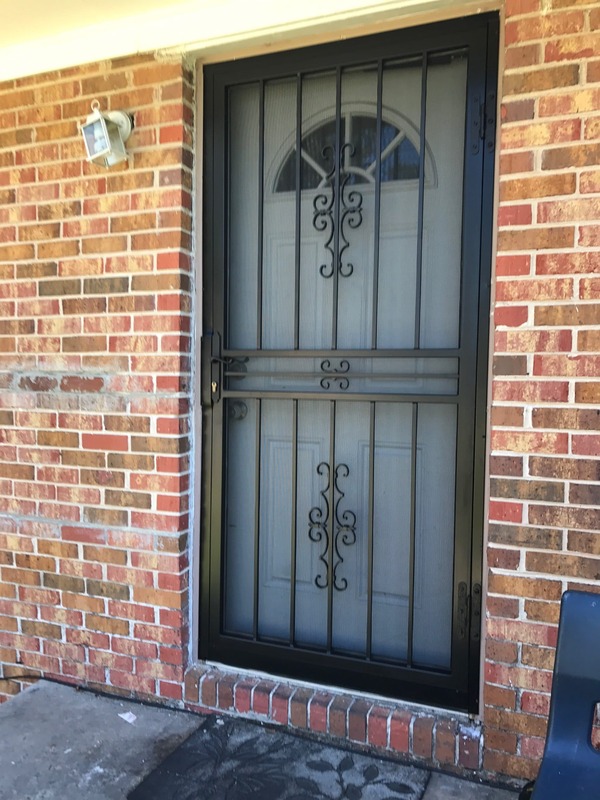 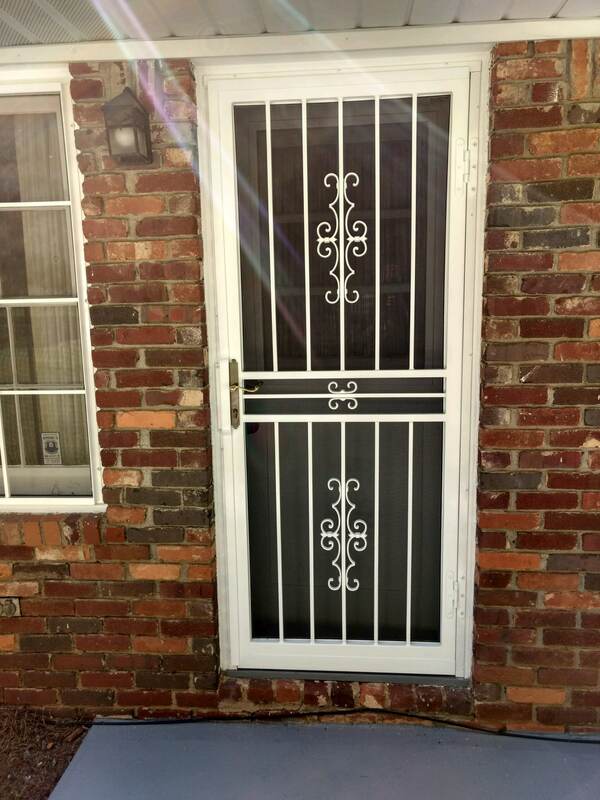 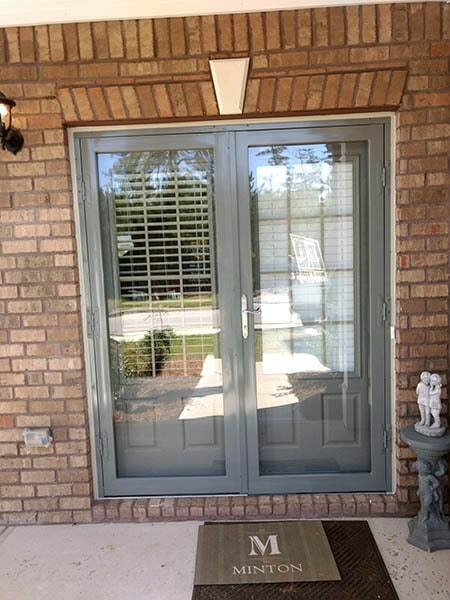 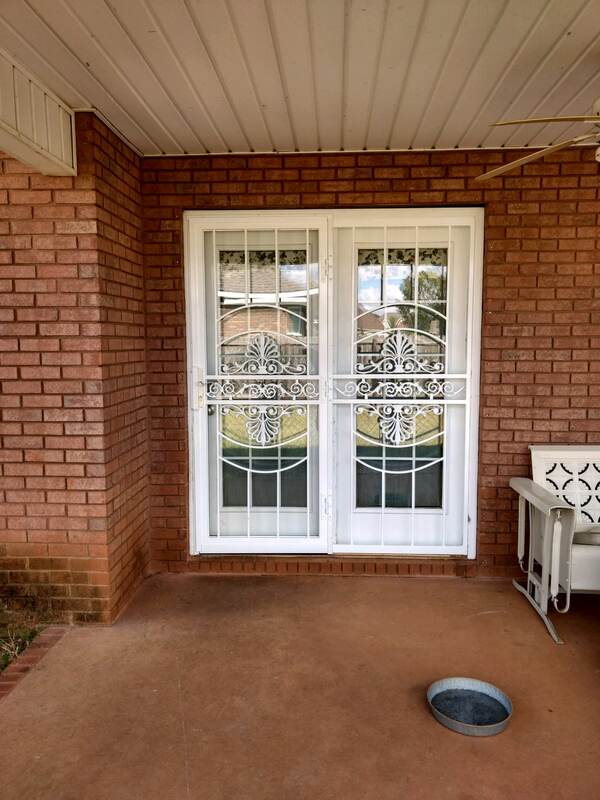 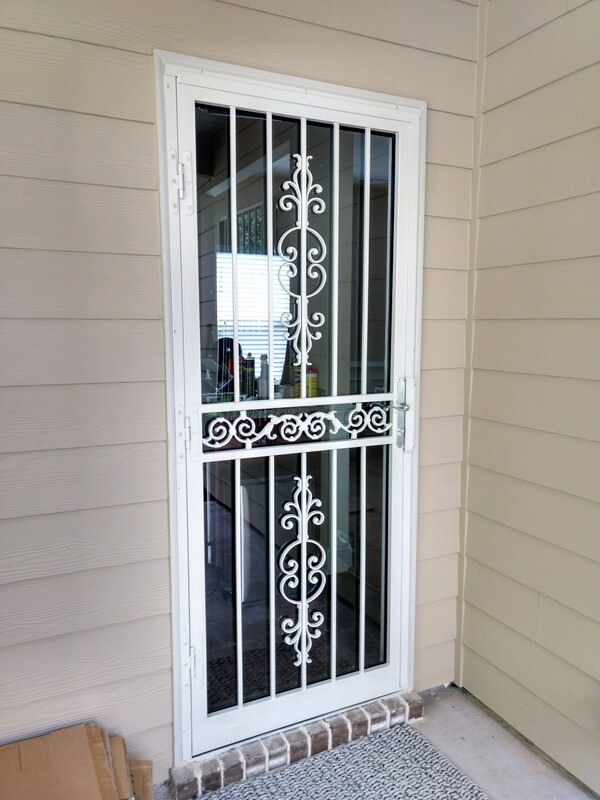 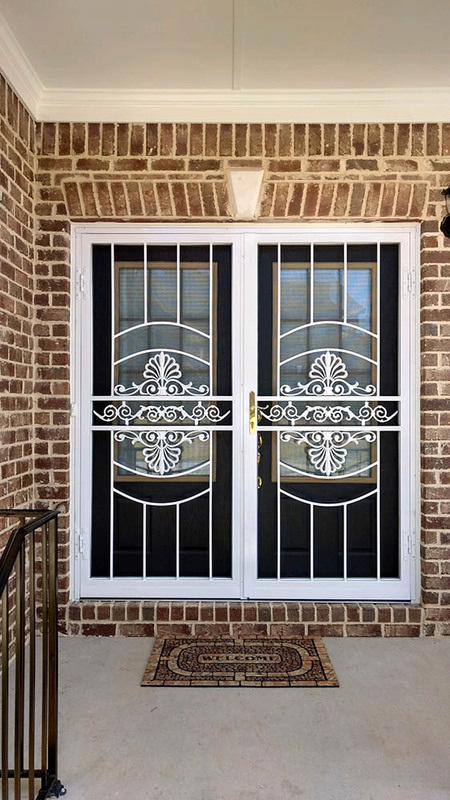 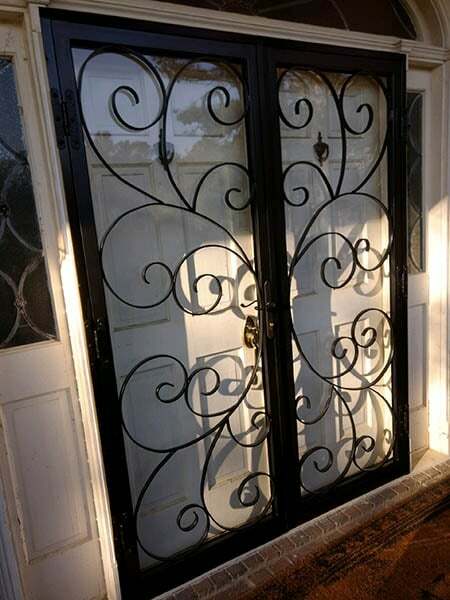 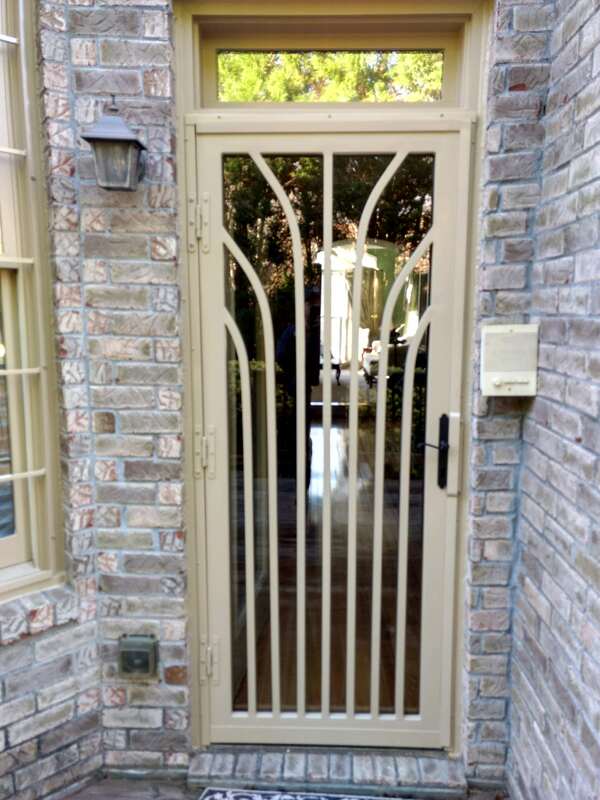 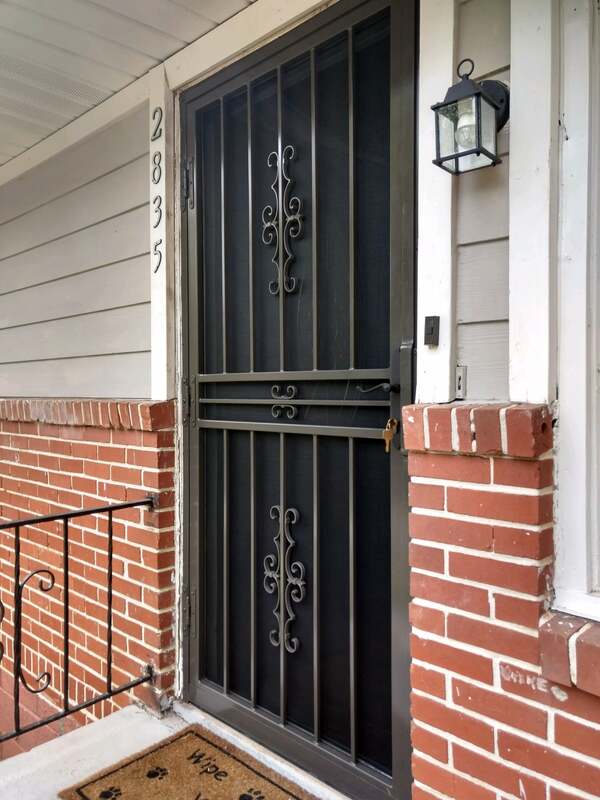 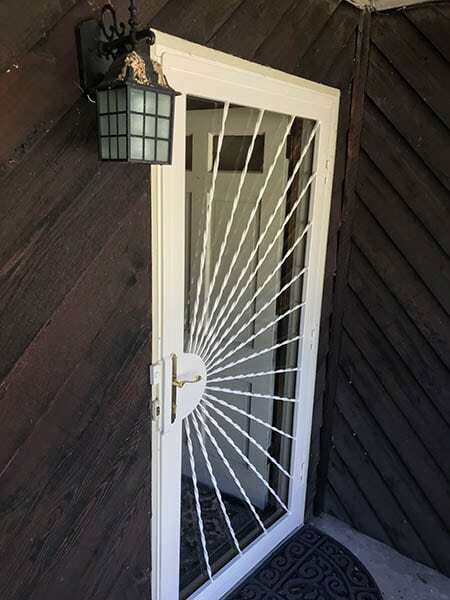 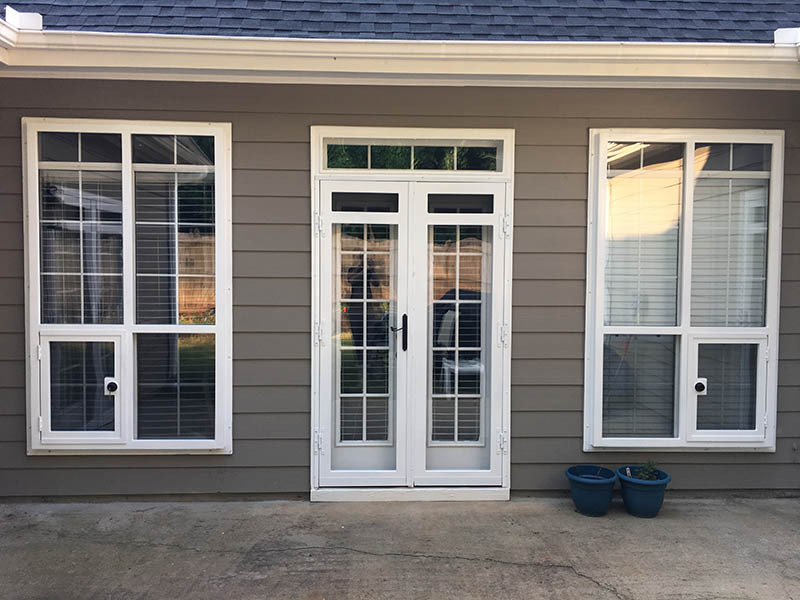 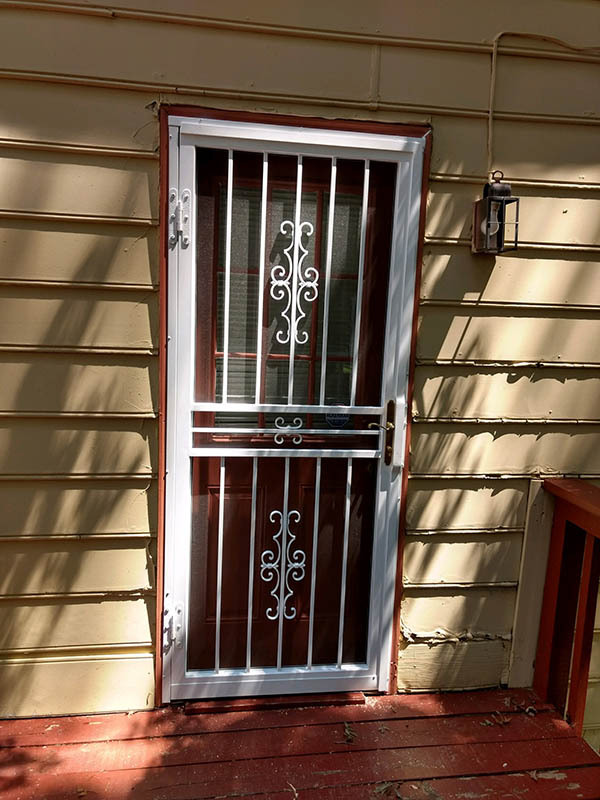 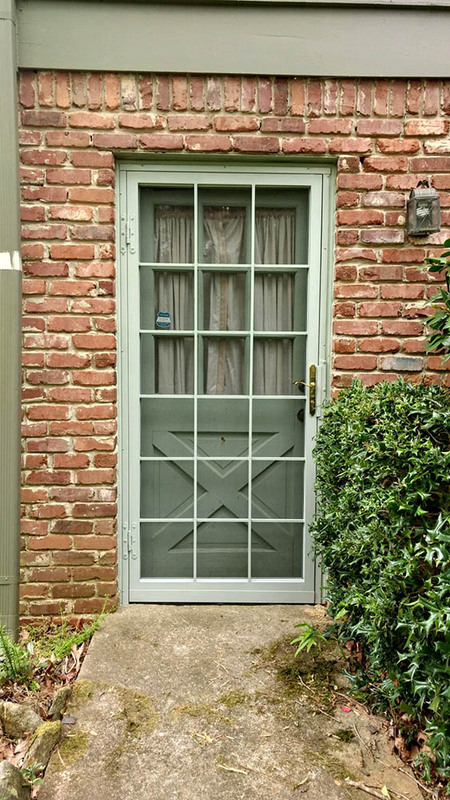 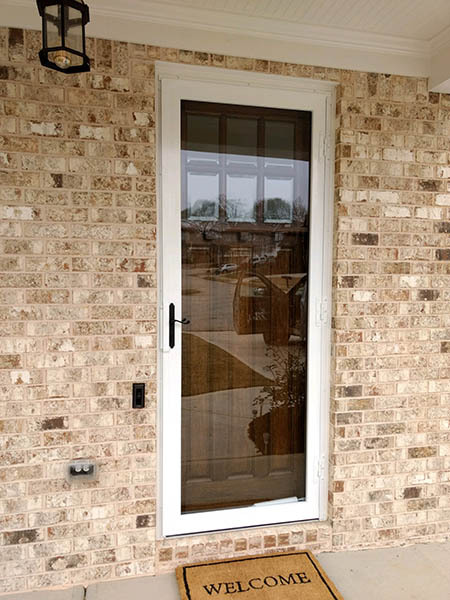 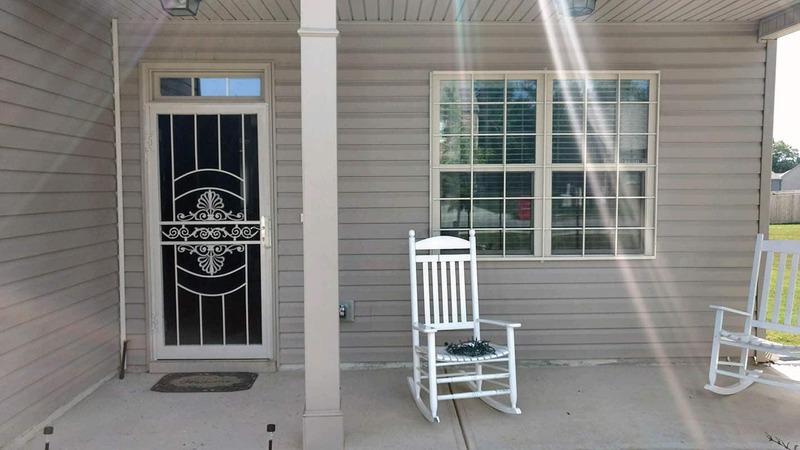 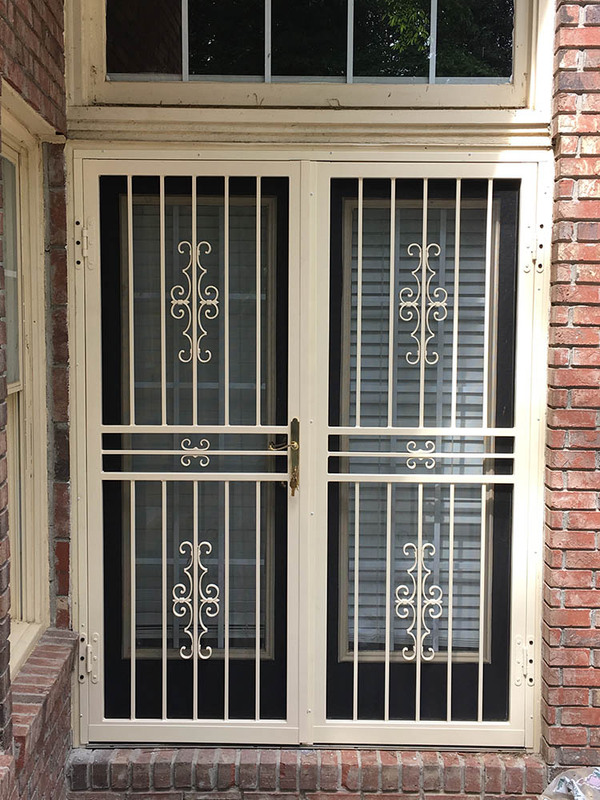 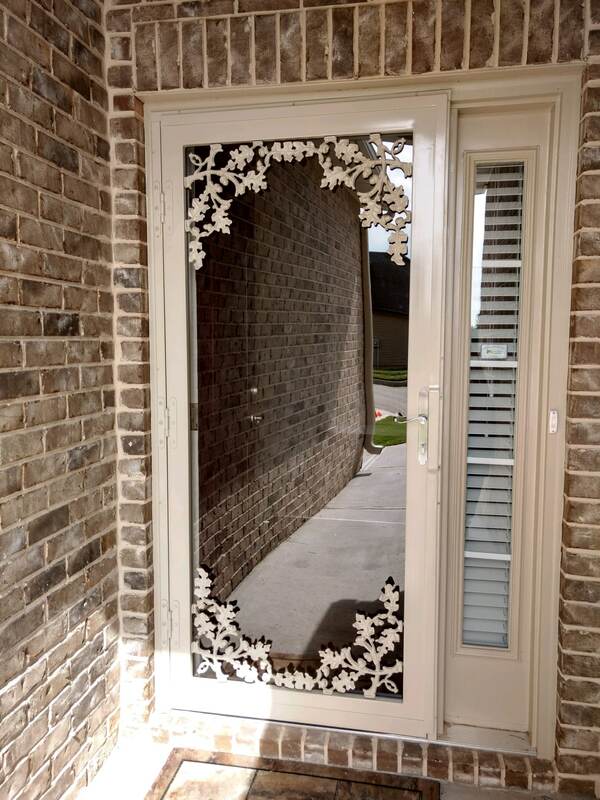 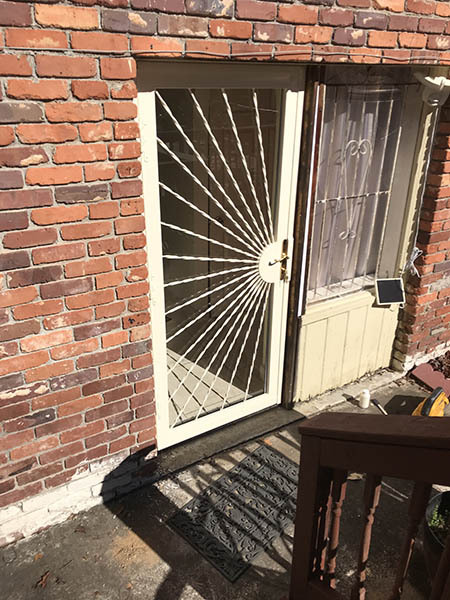 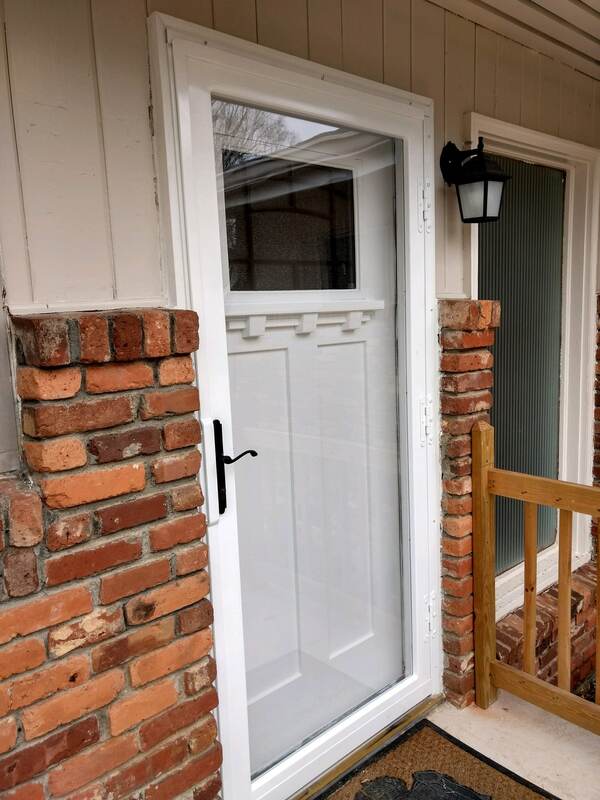 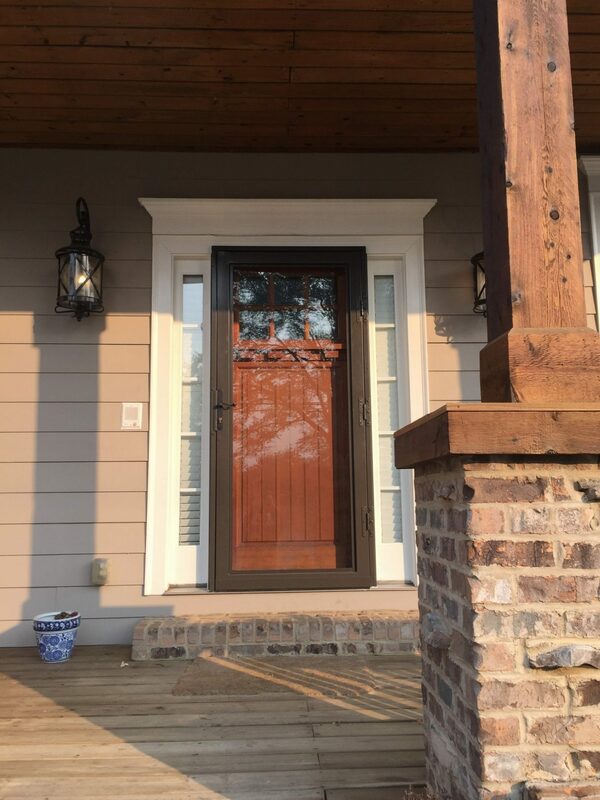 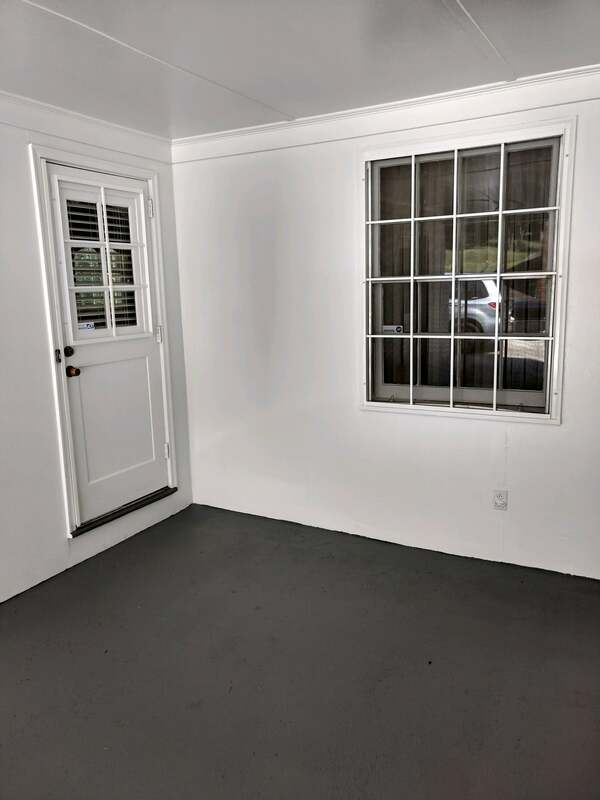 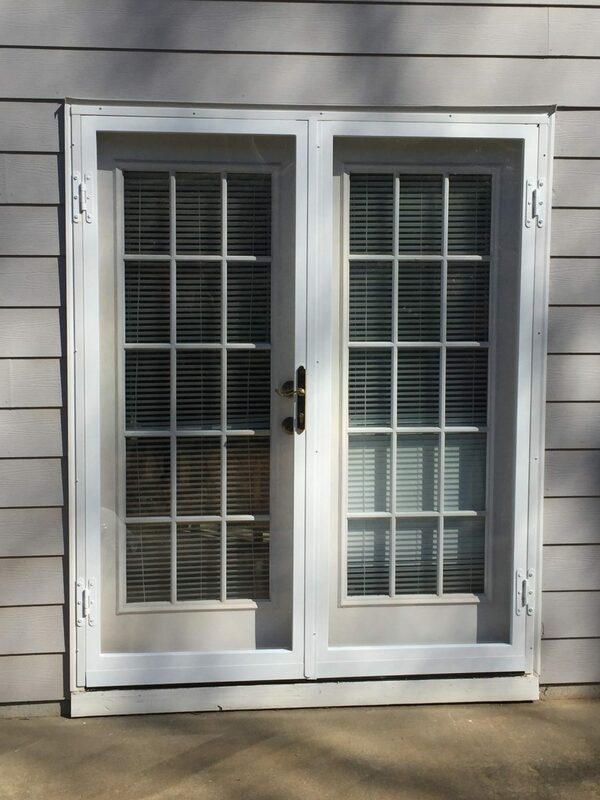 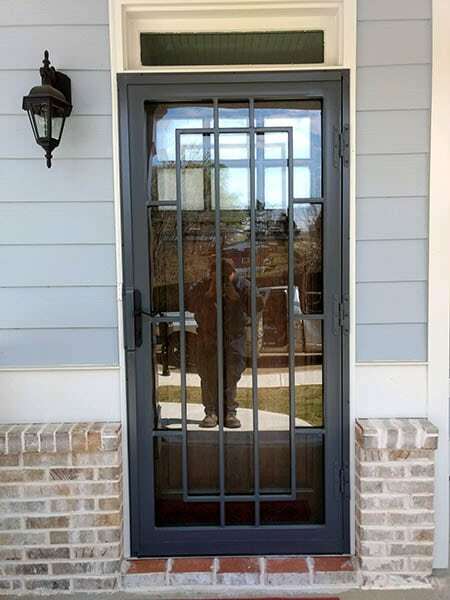 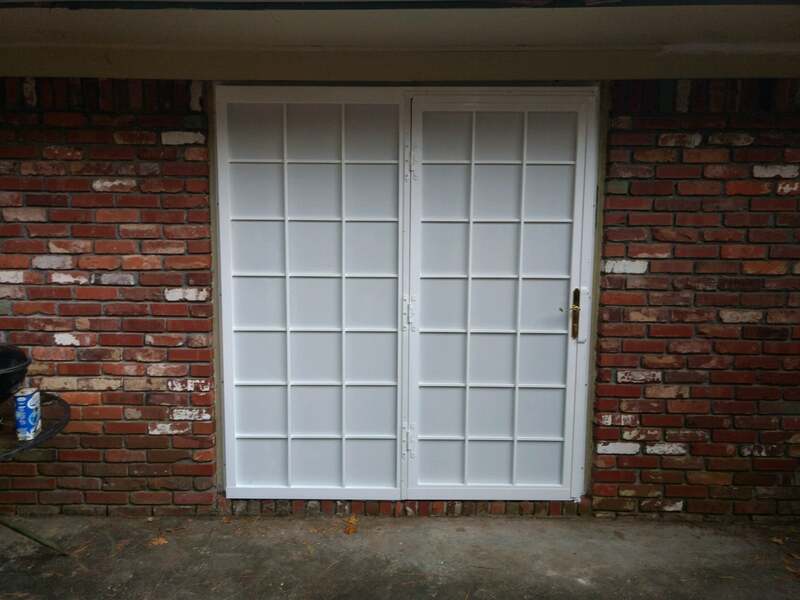 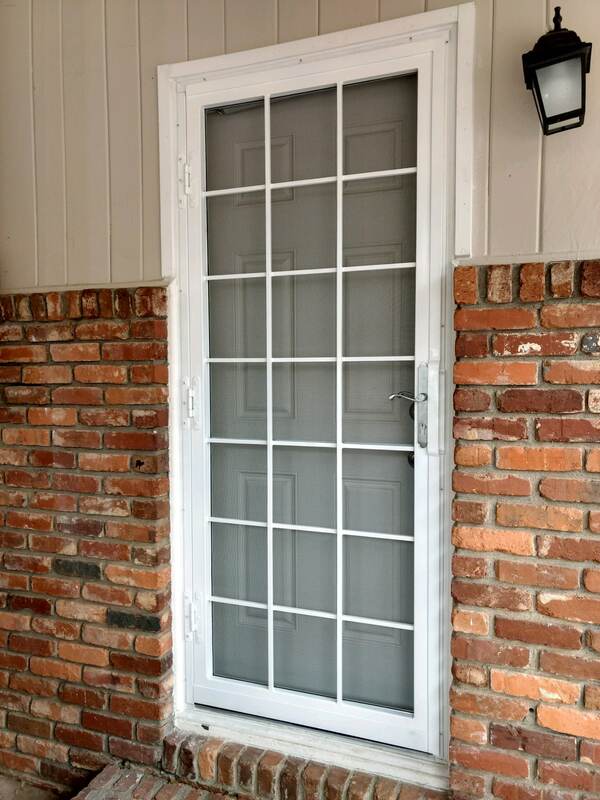 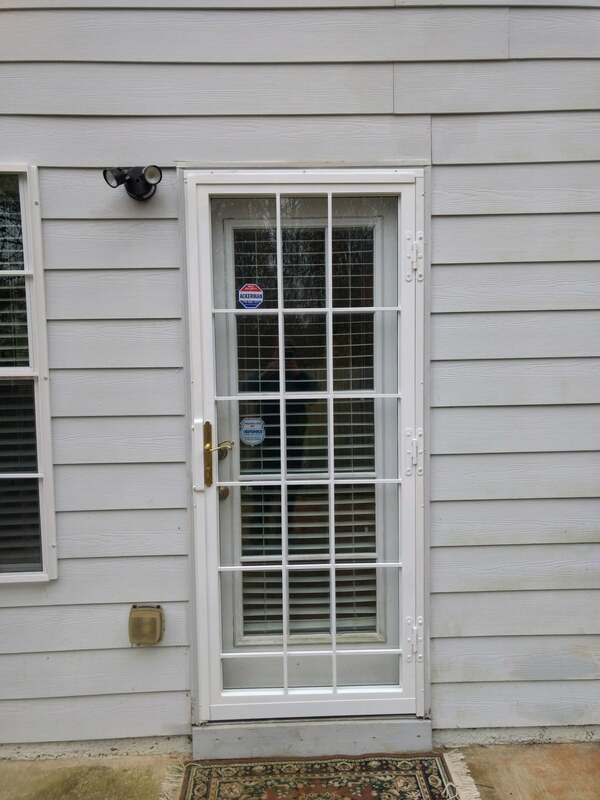 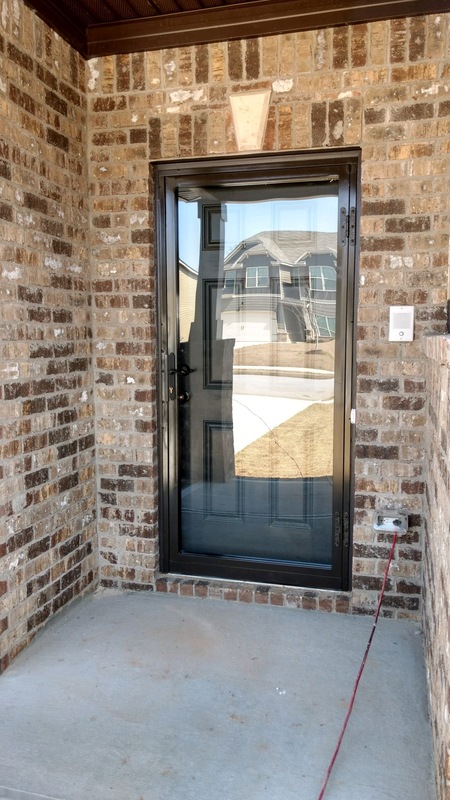 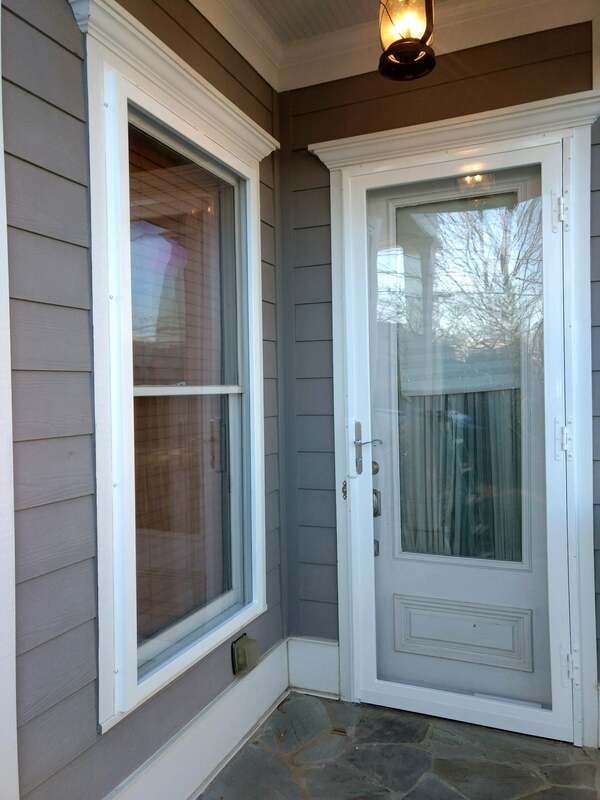 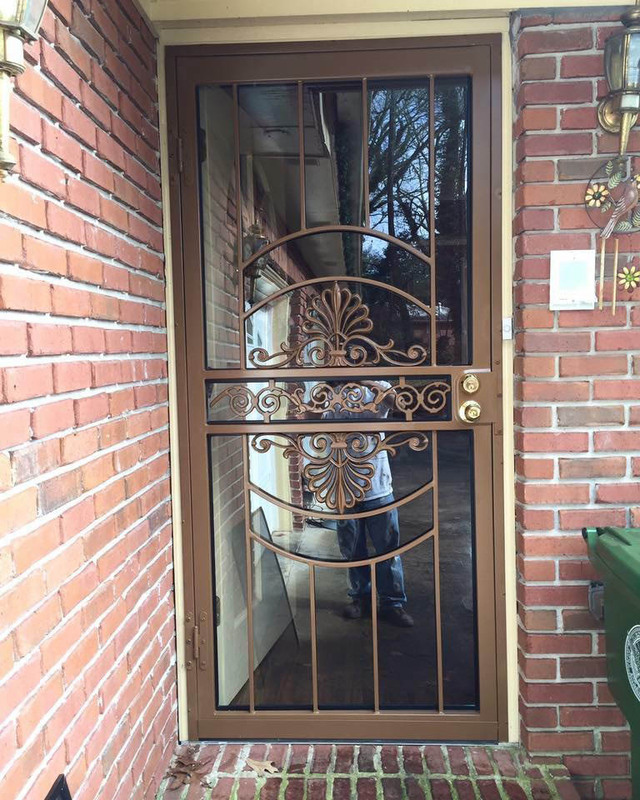 16-gauge steel tubing is used to build these doors, making them even more secure for you and your family.